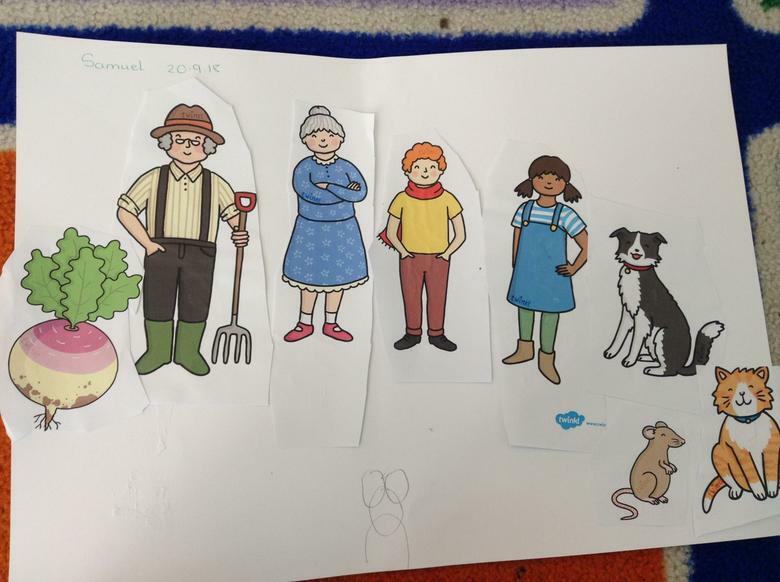 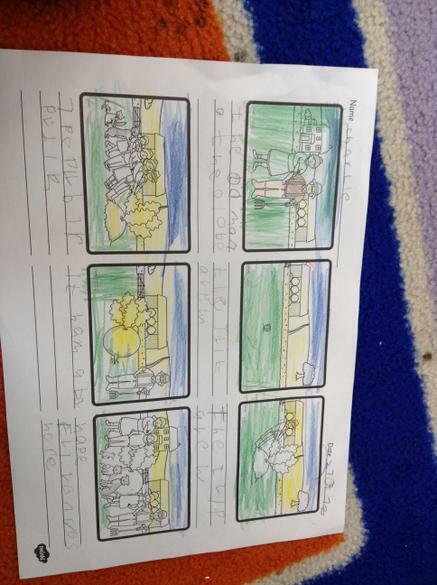 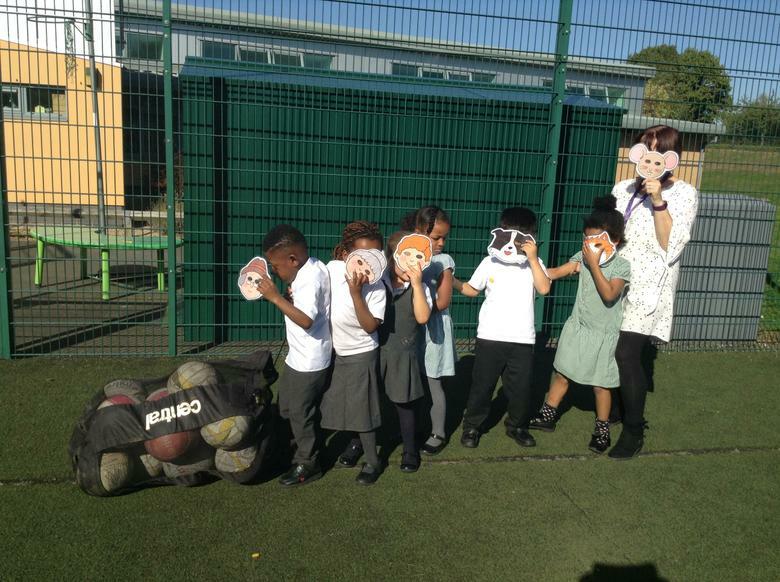 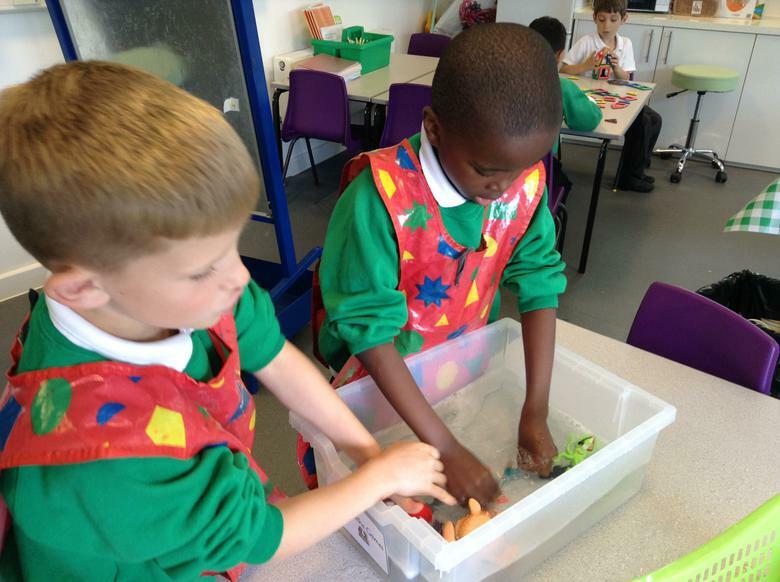 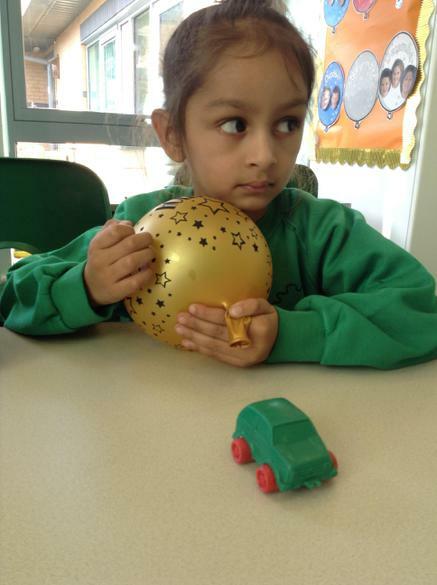 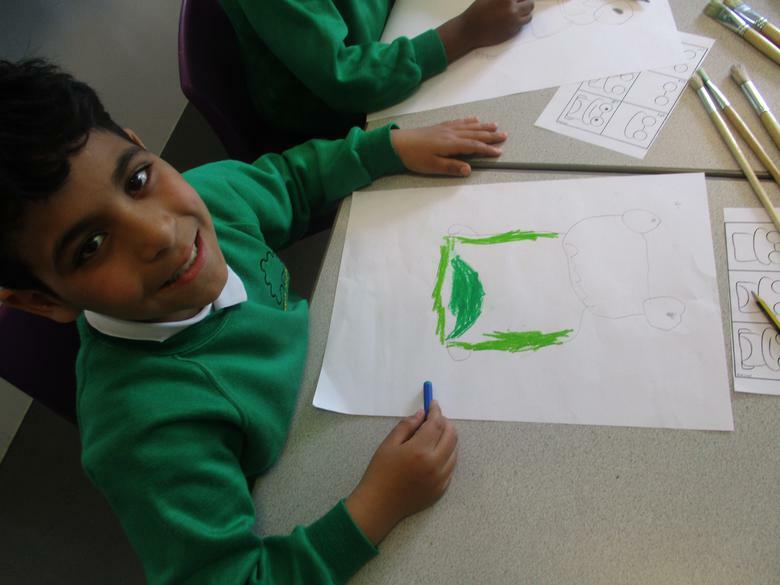 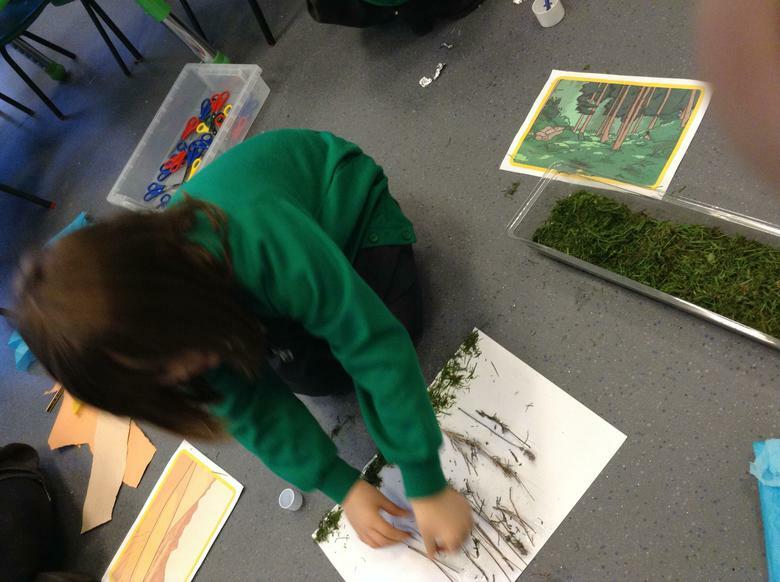 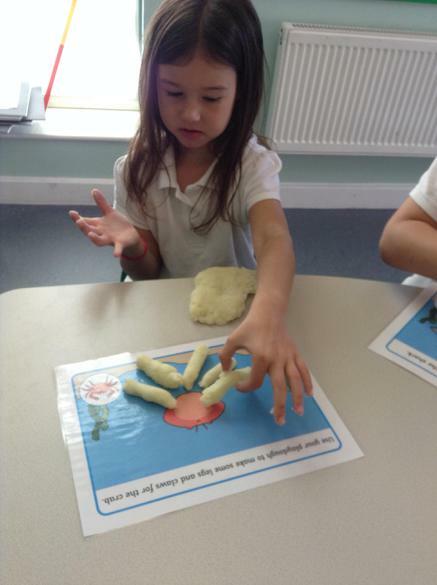 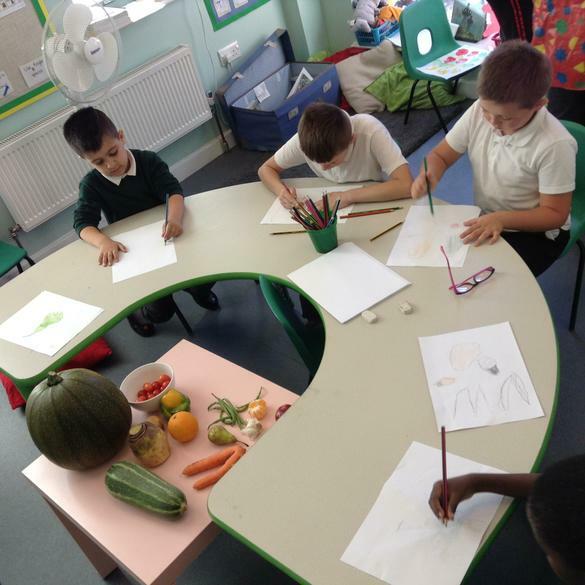 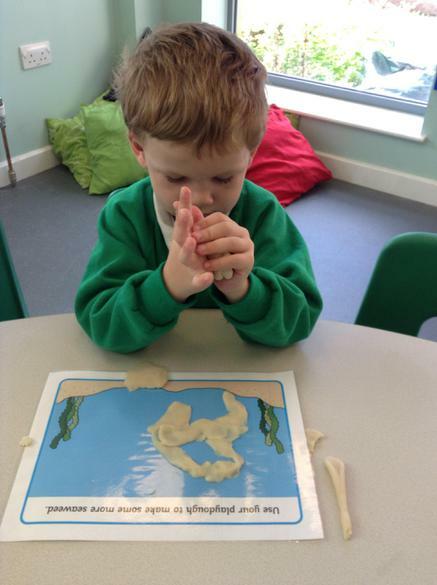 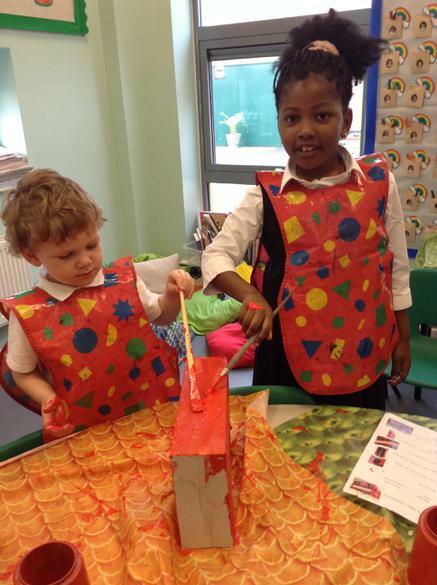 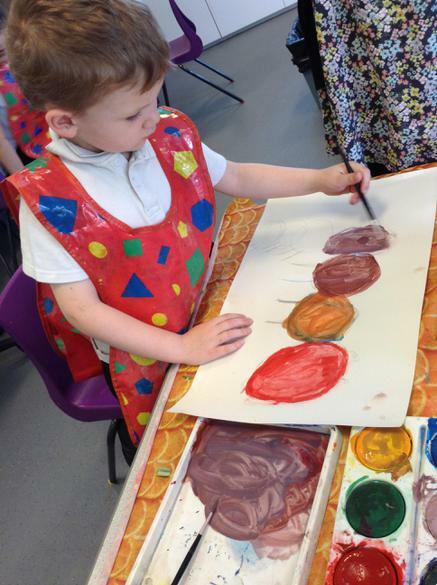 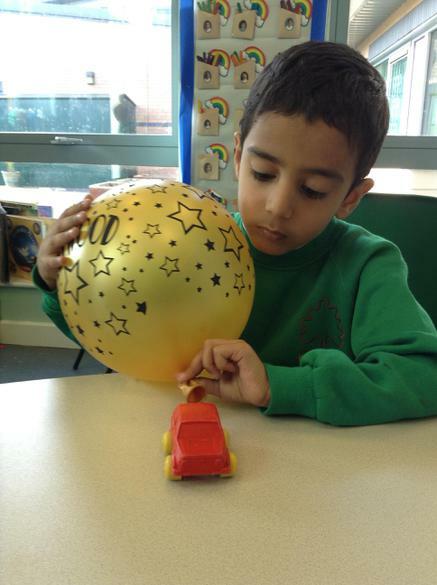 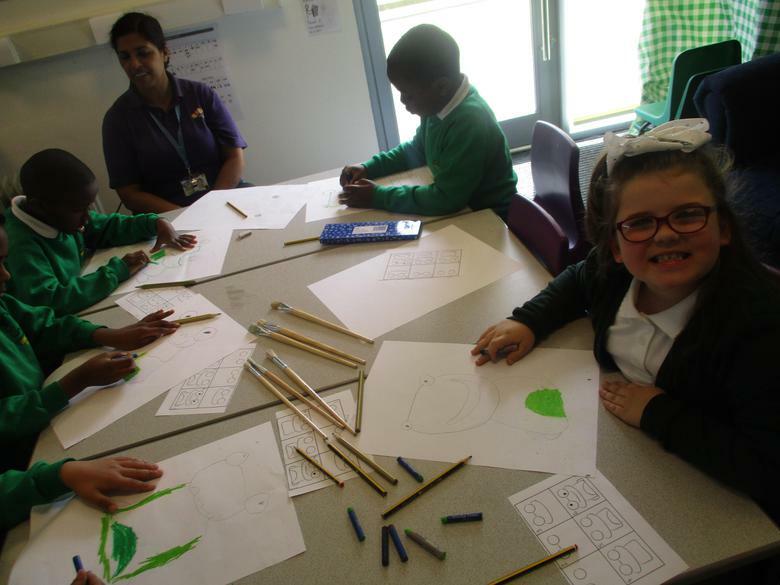 Autumn 1 - The Enormous Turnip.We have been sharing and retelling the story of 'The Enormous Turnip'. 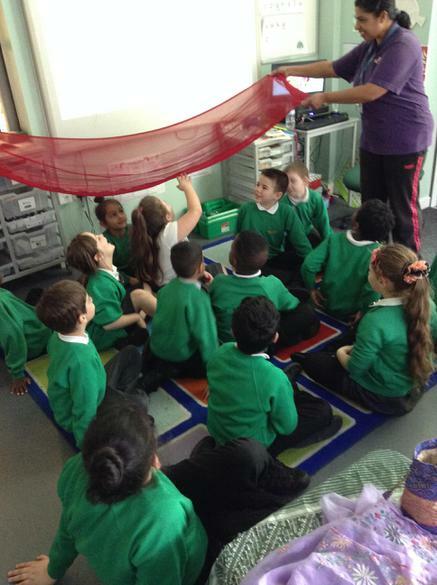 We have role-played the story and listened to alternative versions as well. 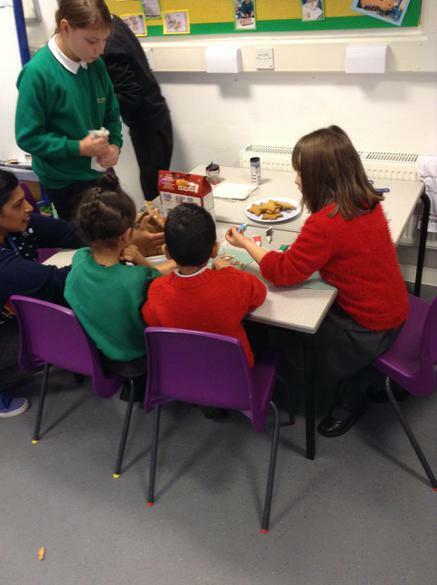 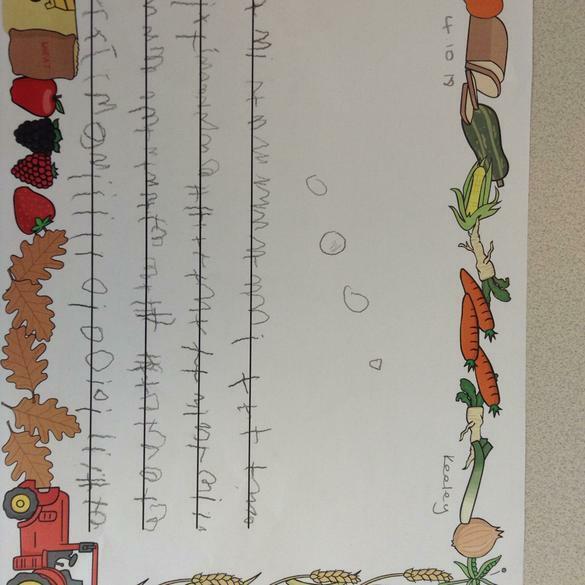 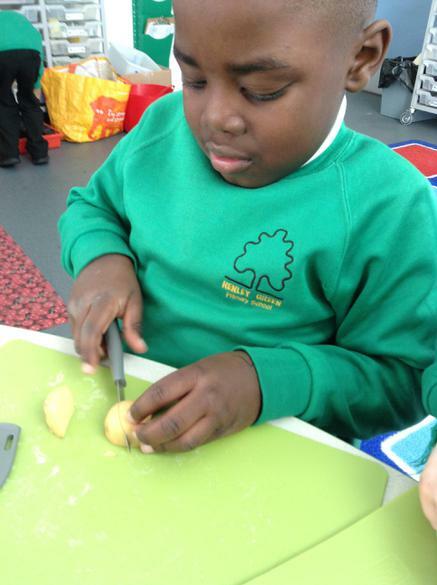 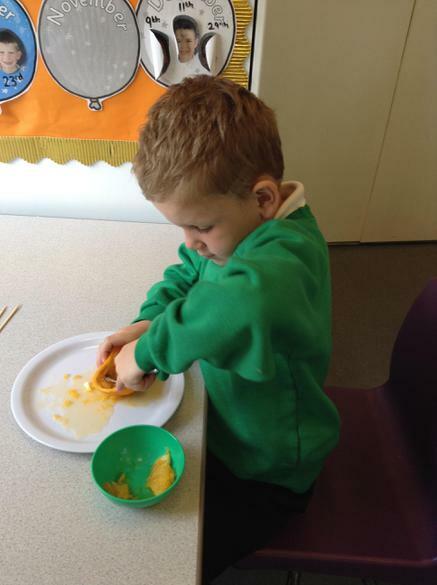 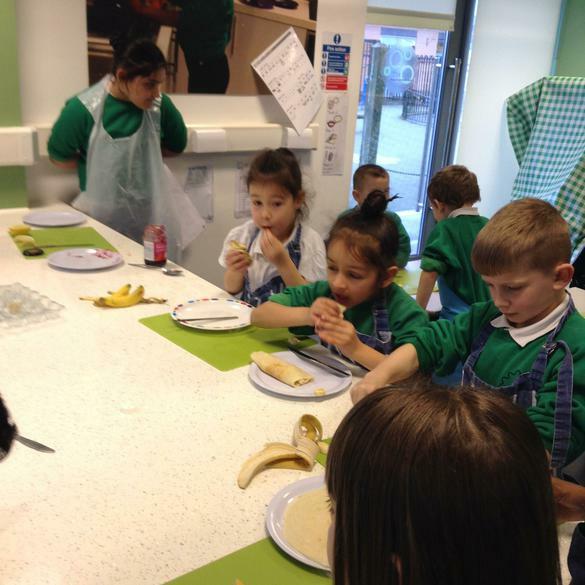 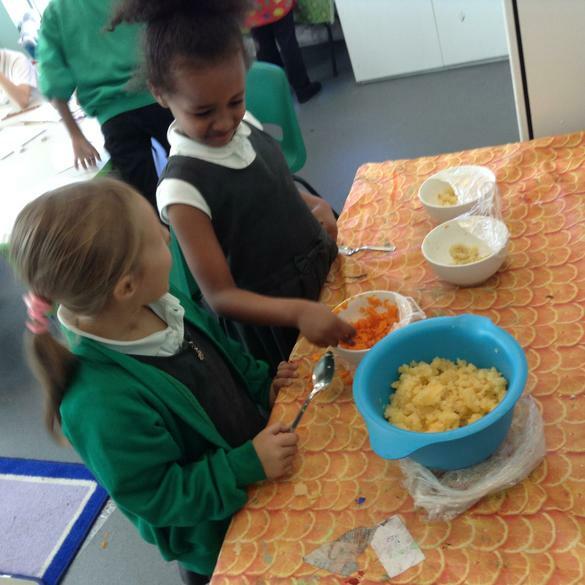 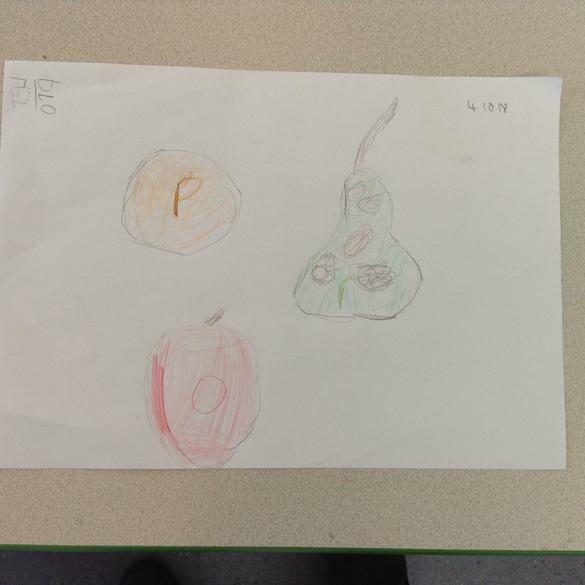 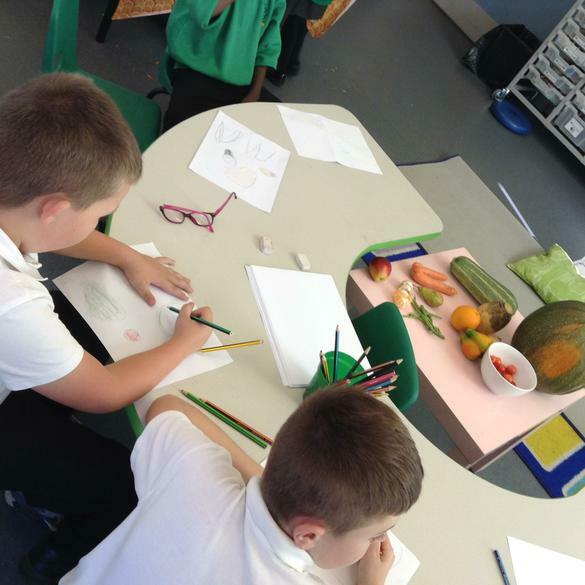 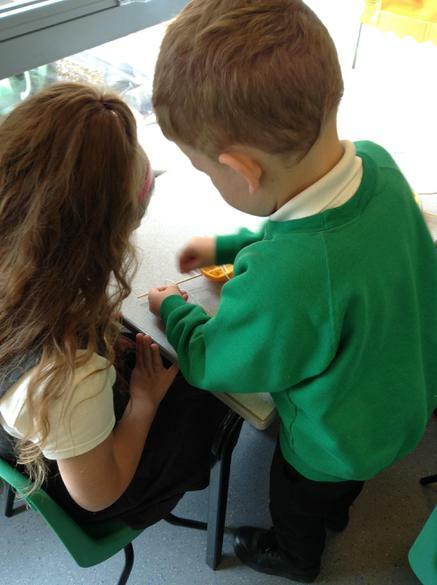 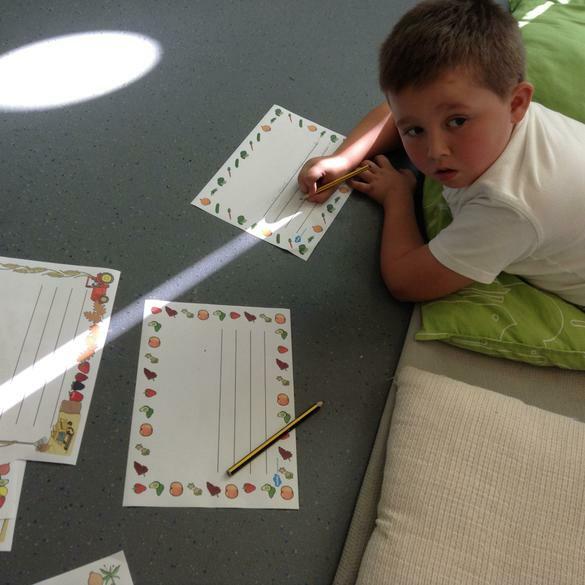 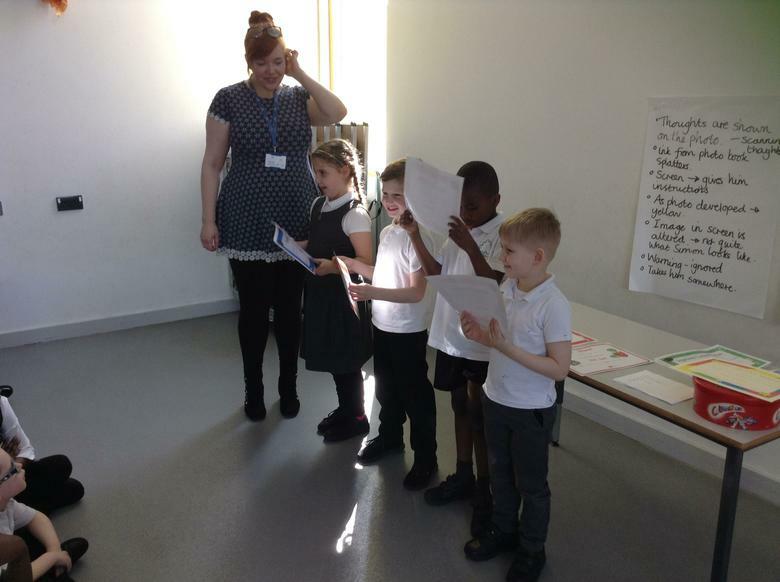 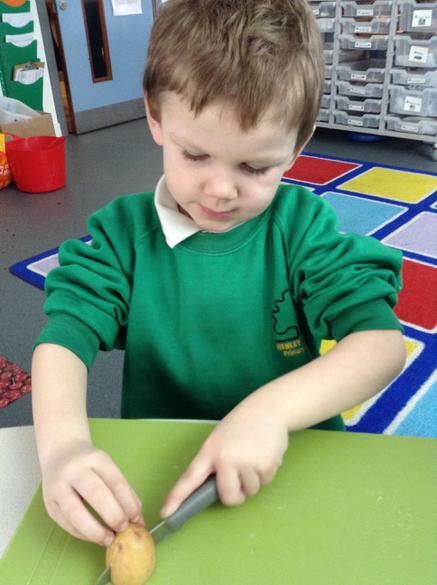 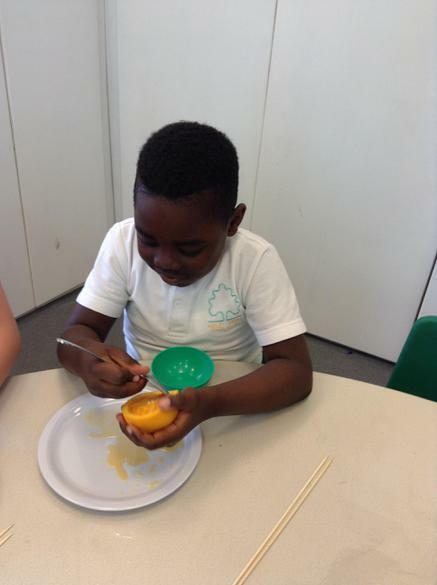 The children chose to try some food tasting of turnips and other root vegetables and recorded their findings. 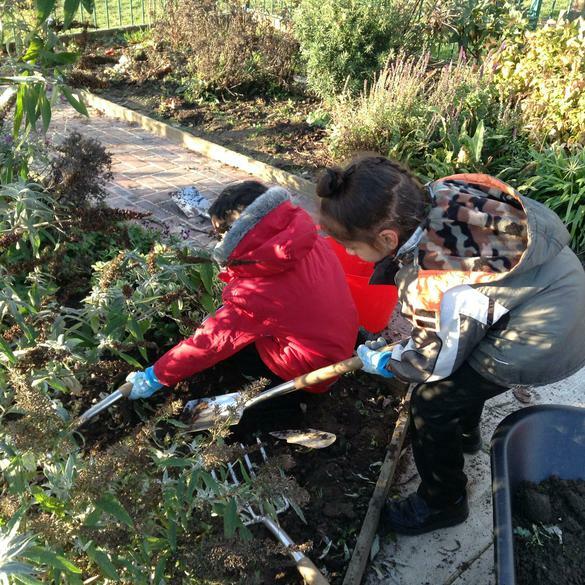 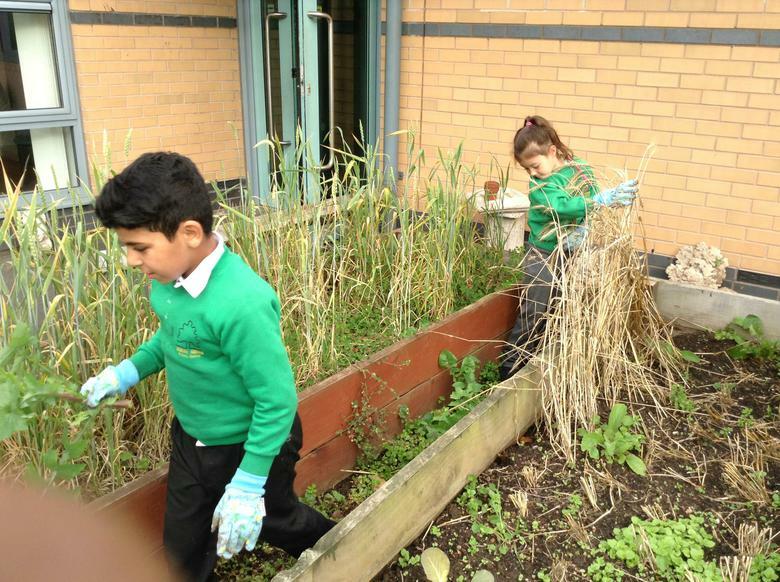 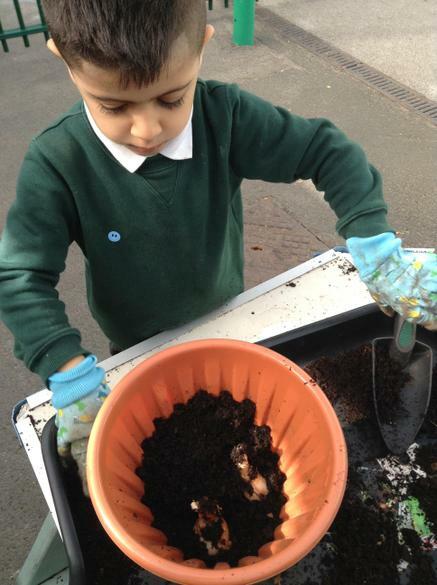 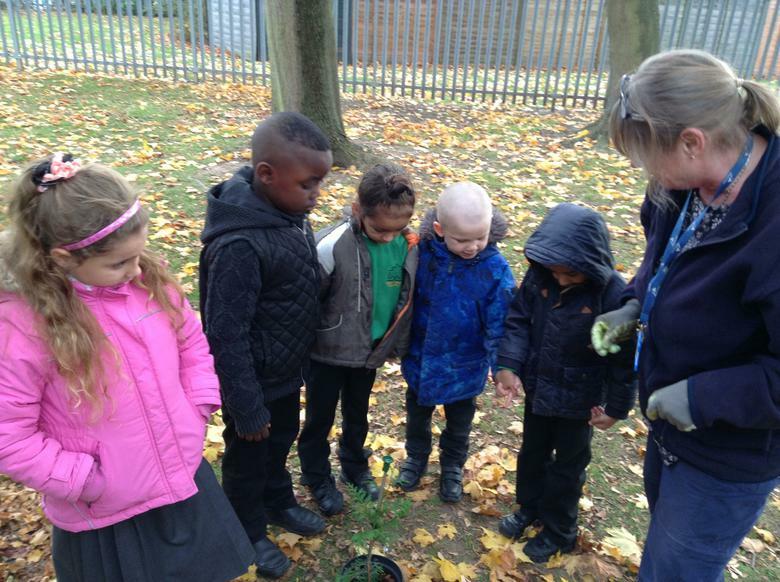 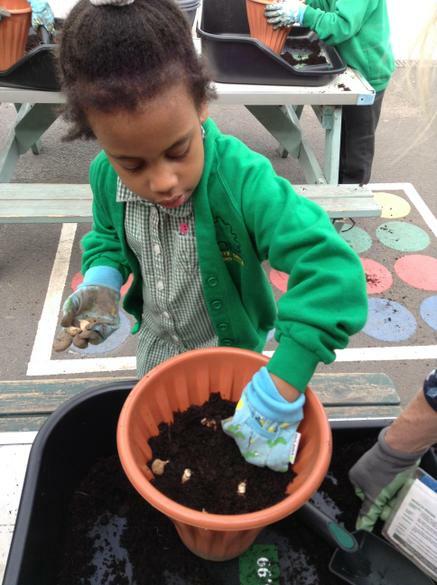 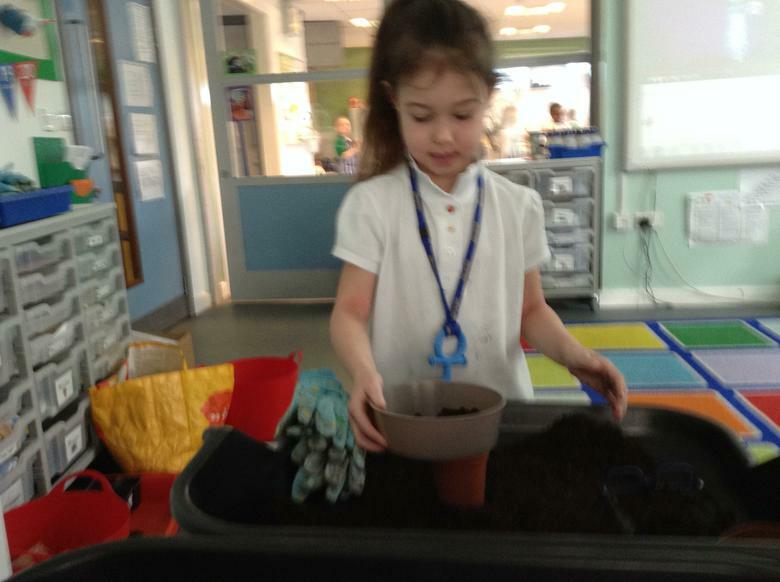 Autumn 1 2018 - We have been harvesting and planting bulbs outside as a team. 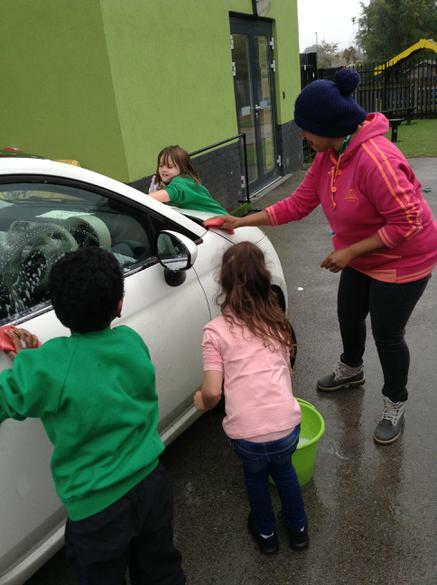 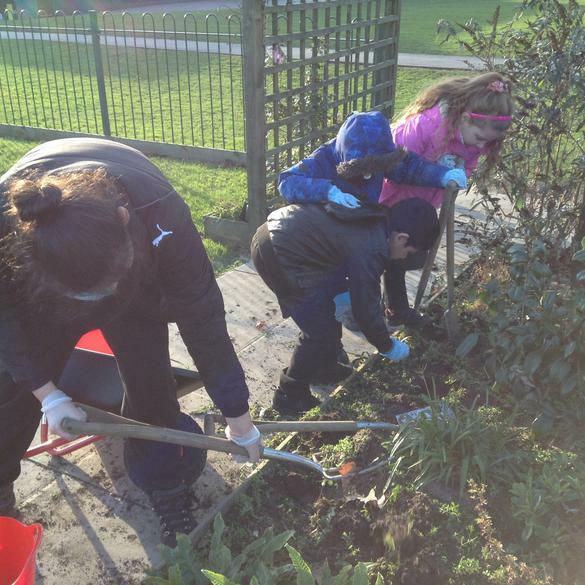 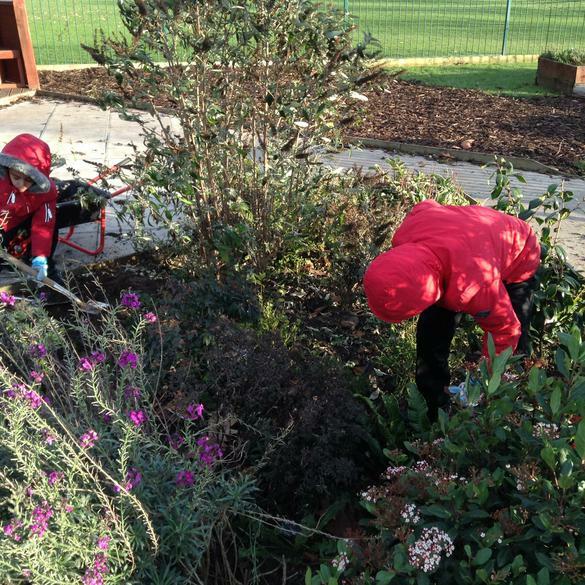 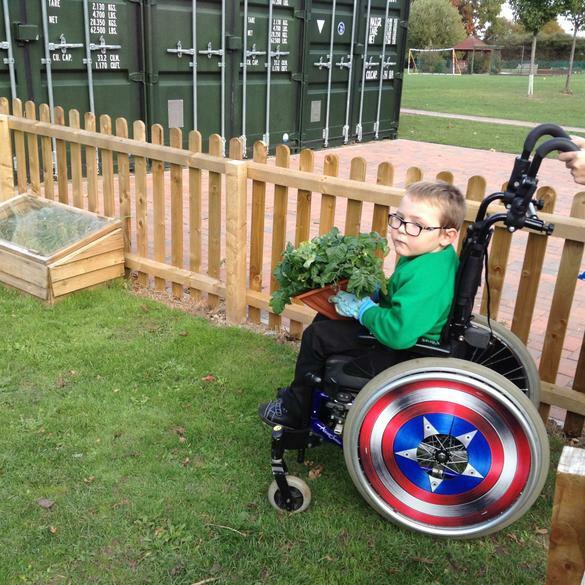 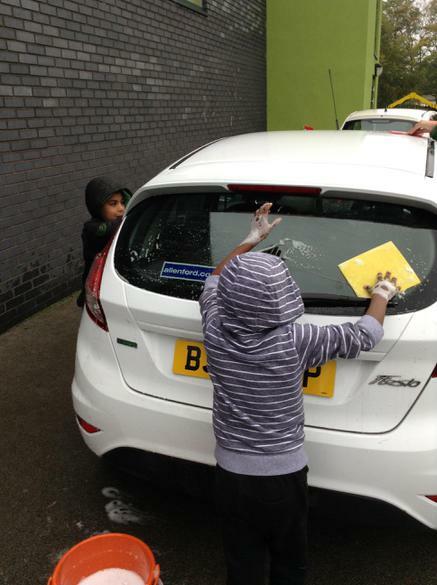 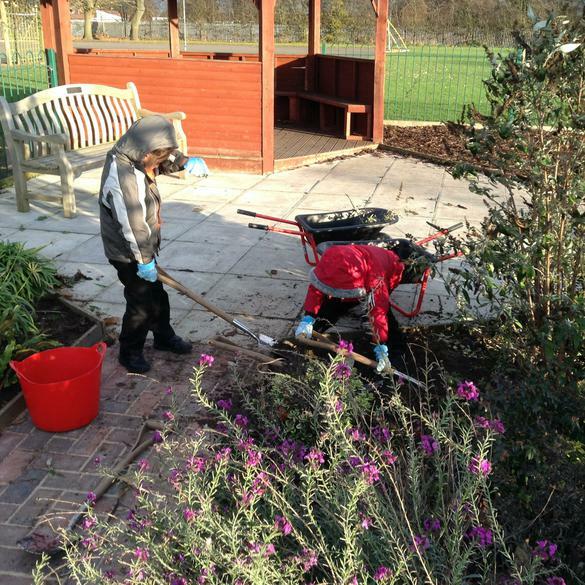 We also enjoy maintaining our garden areas and allotments by watering and weeding together. 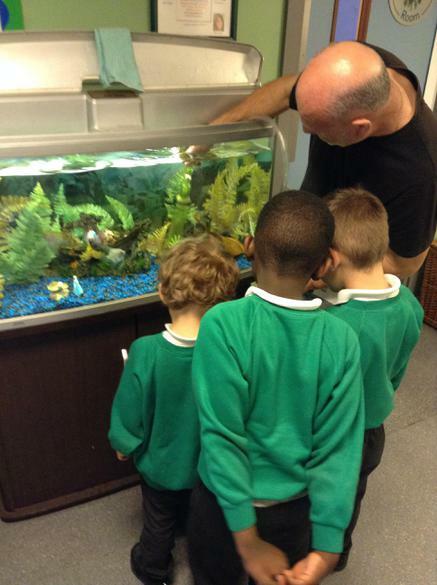 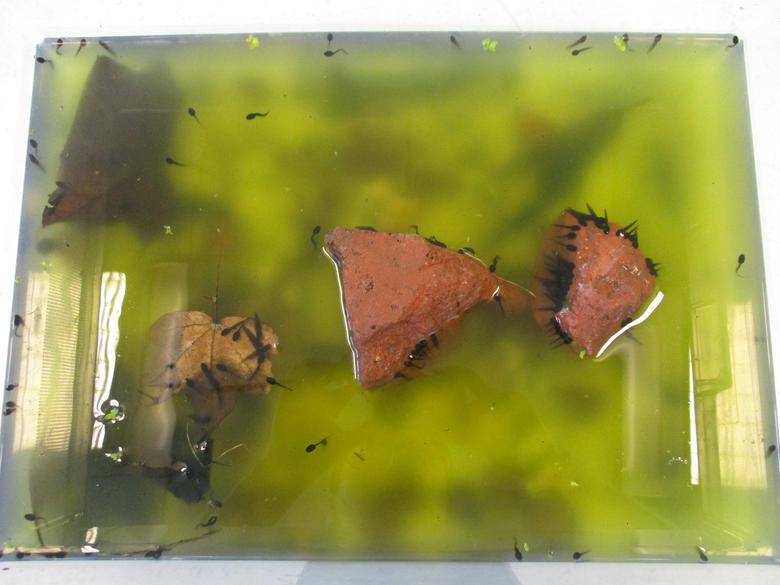 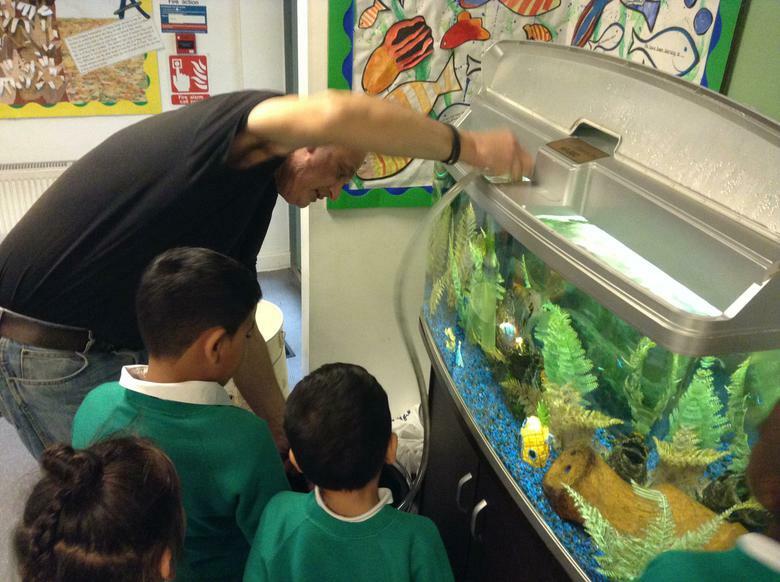 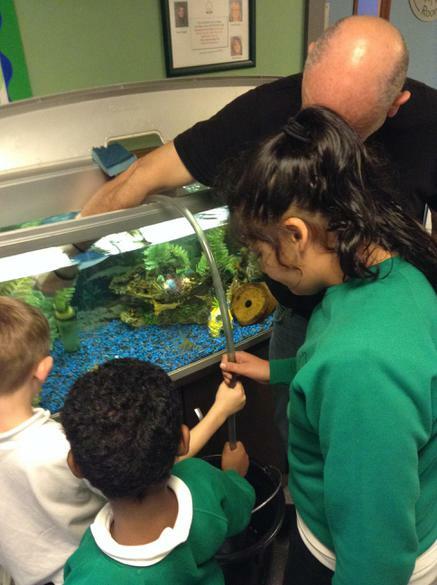 We had some more visitors to the Hub, Mrs Garden brought in some tadpoles for the Hub children to look out and feed them cucumber slices. 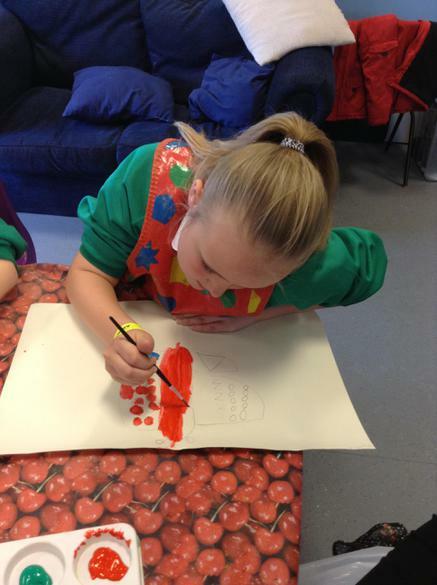 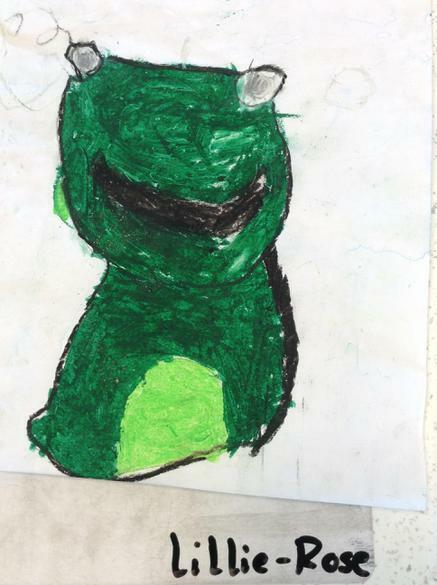 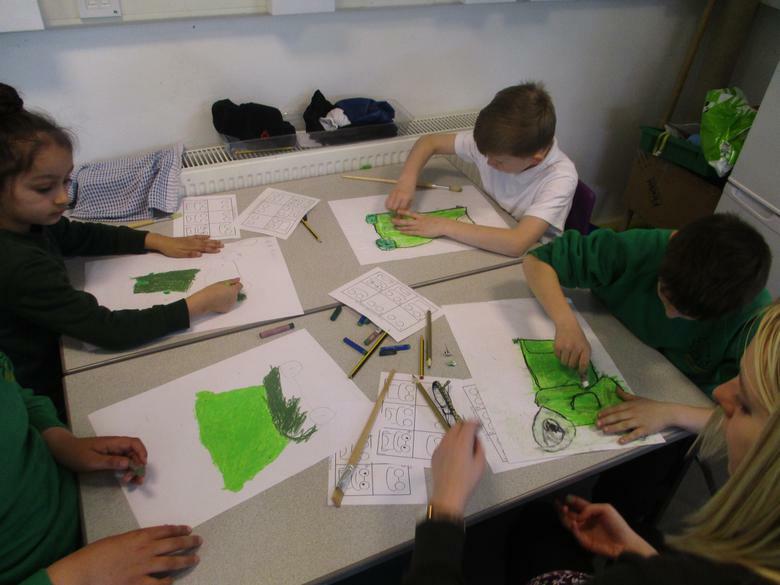 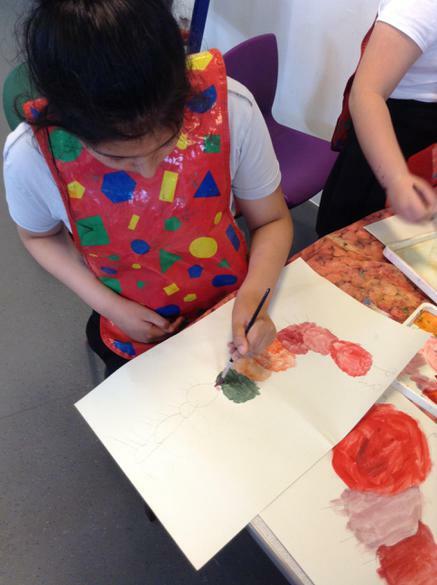 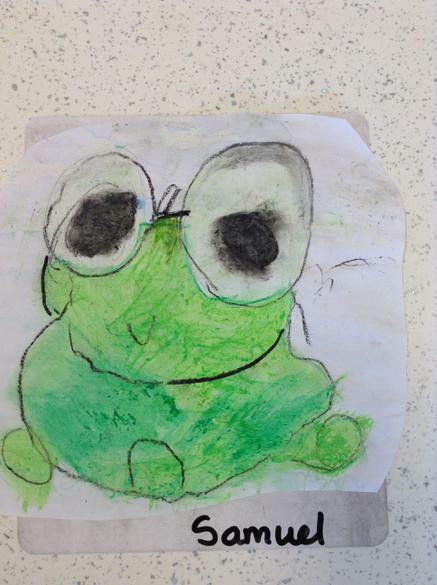 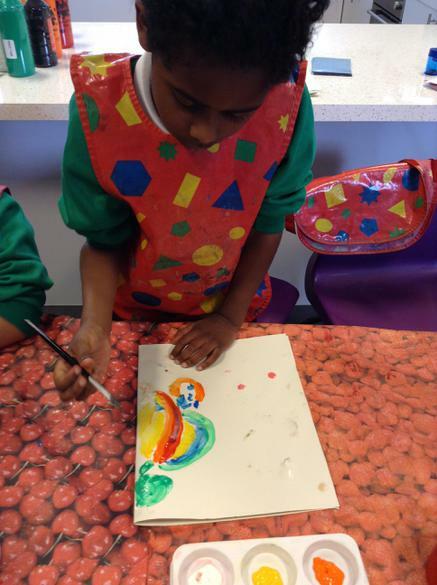 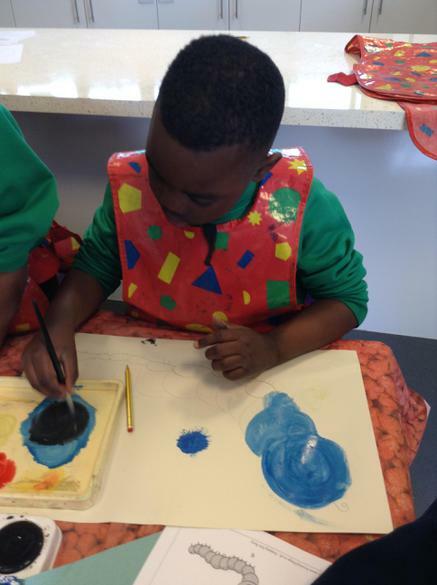 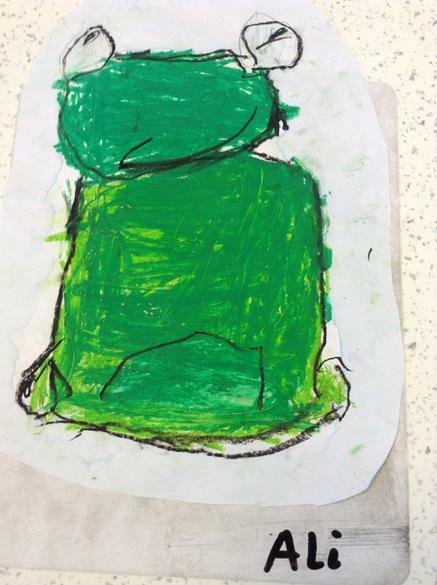 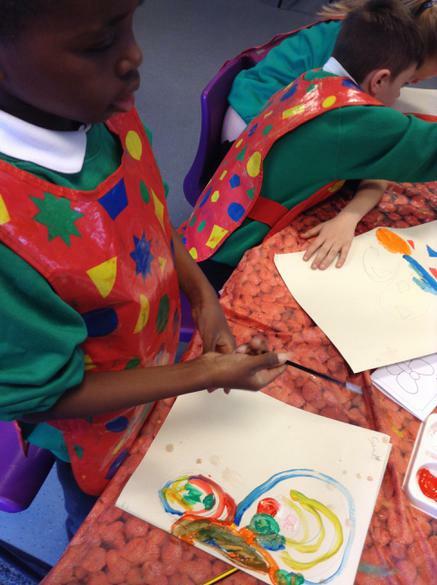 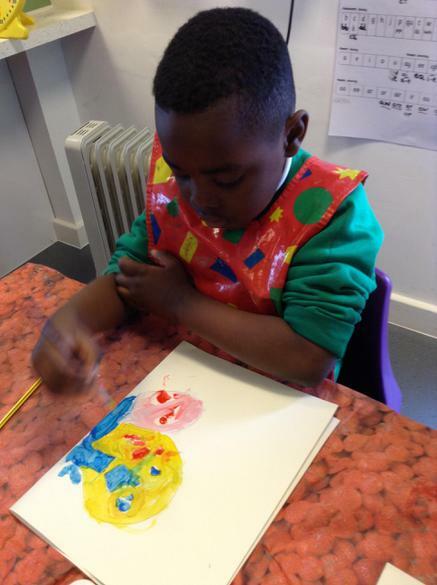 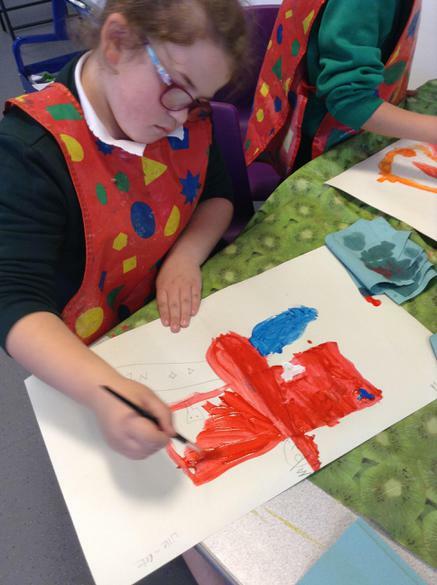 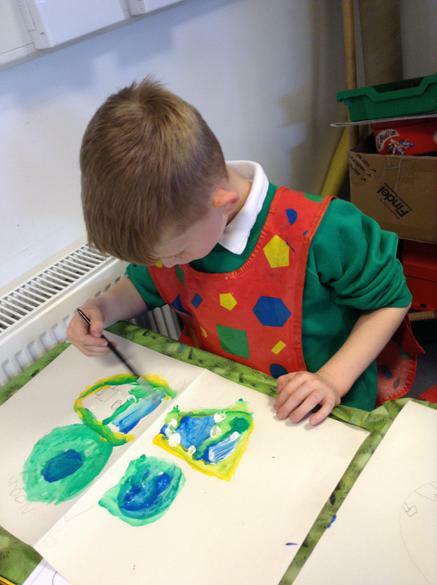 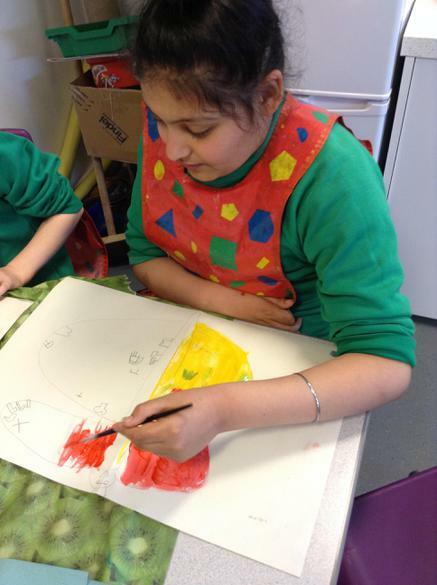 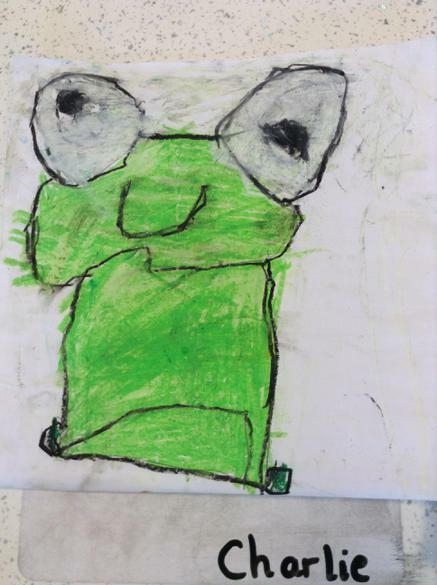 We then explored our art skills with the oil pastels learning how to lend and shade with them. 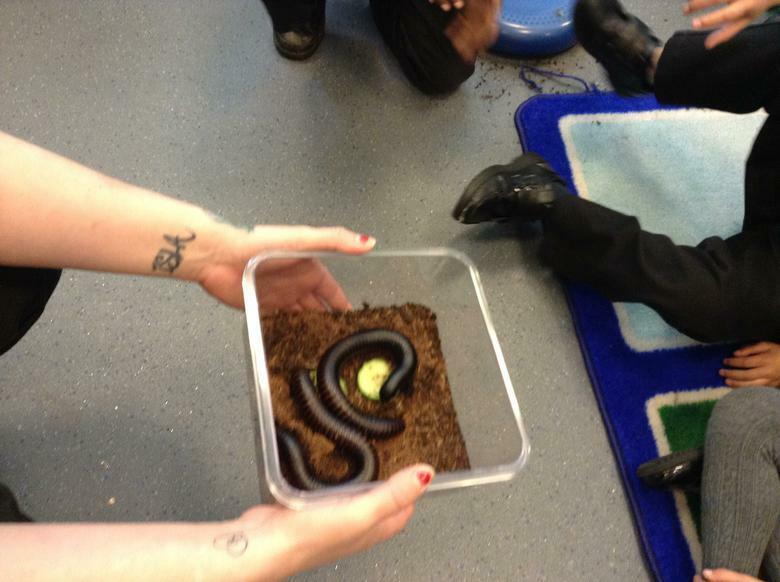 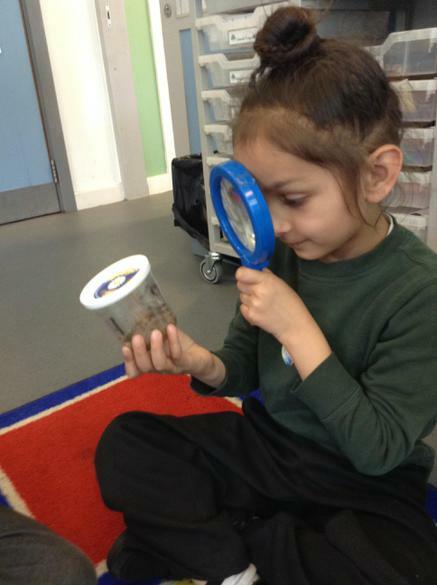 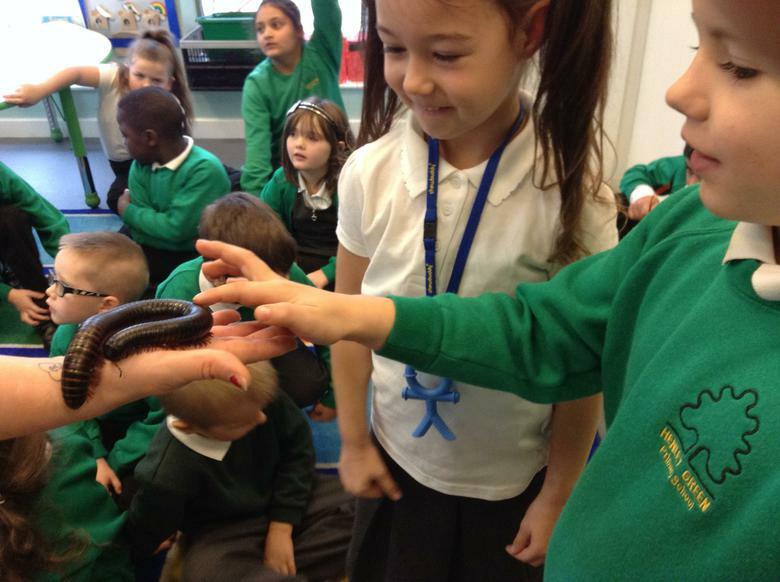 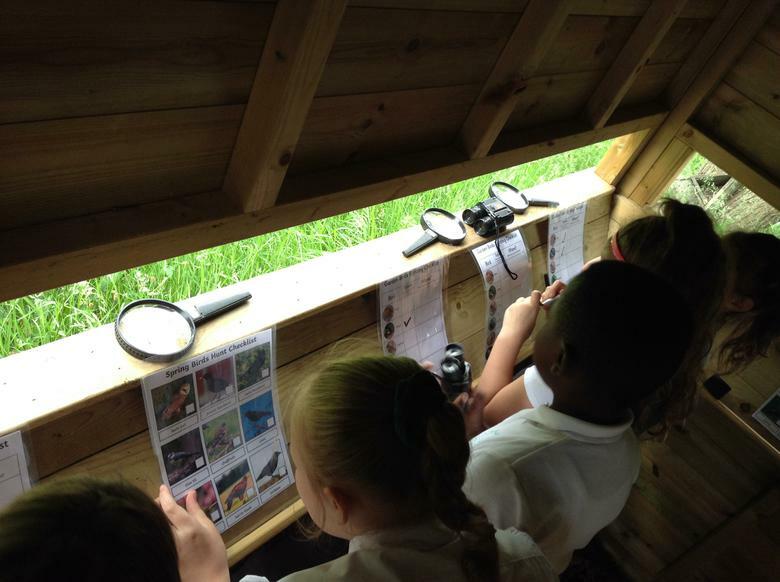 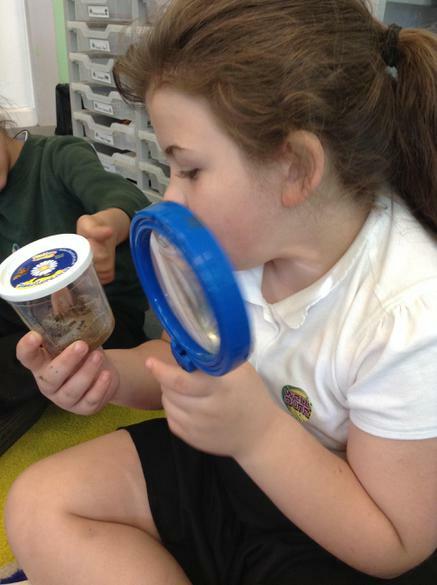 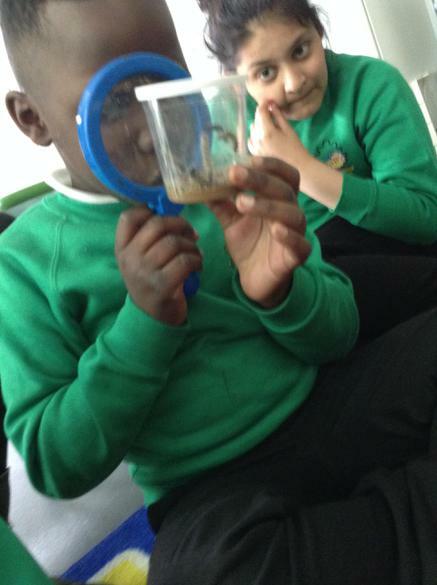 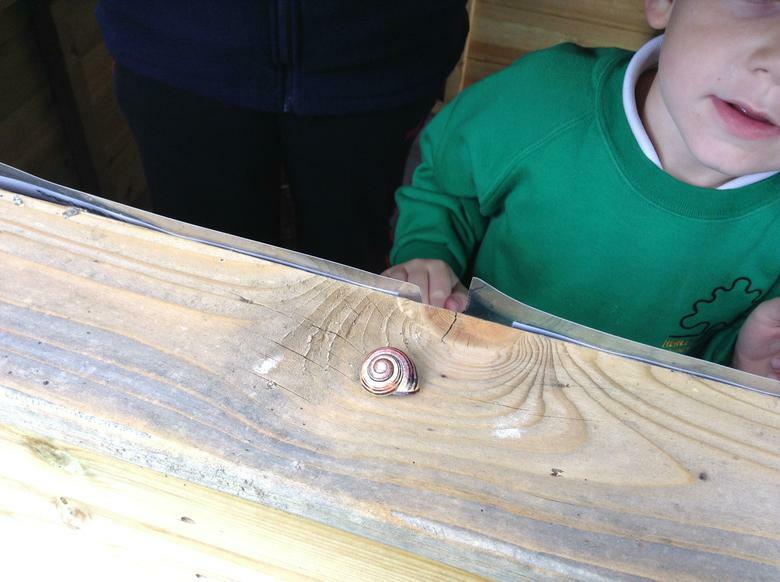 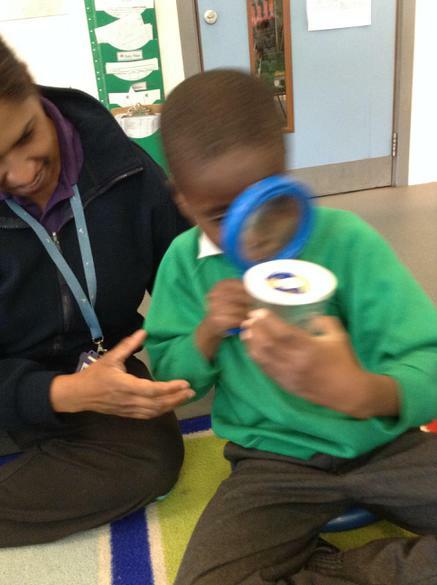 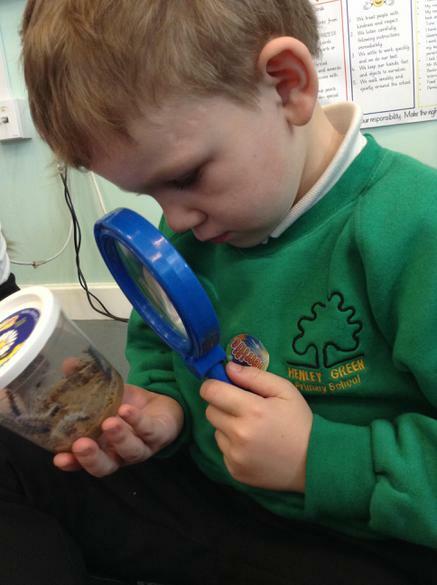 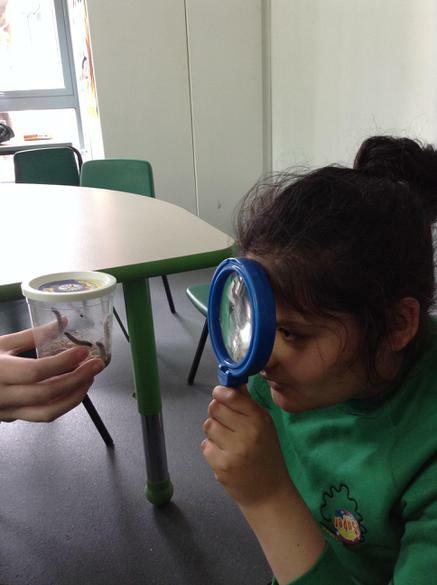 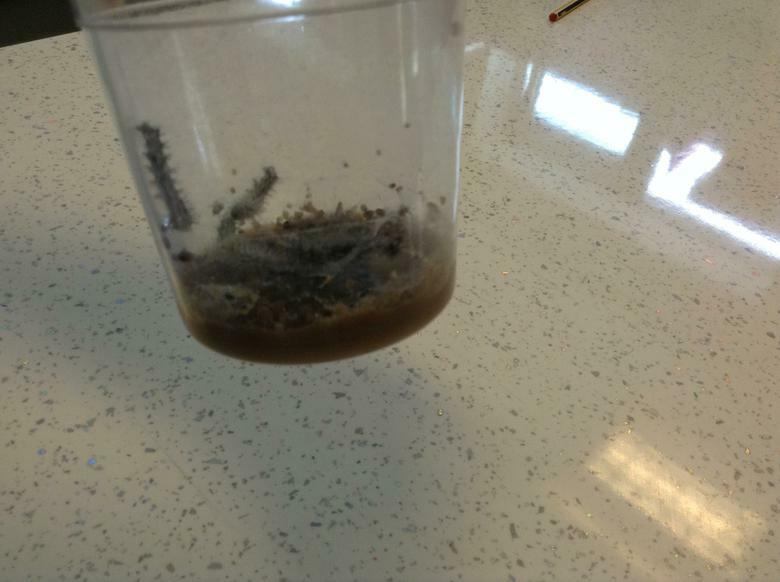 We had a creepy crawly visitor in the Hub, we got to look at the caterpillar through a magnifying glass. 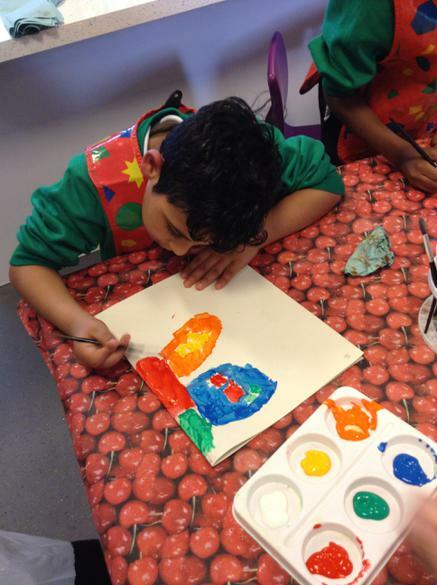 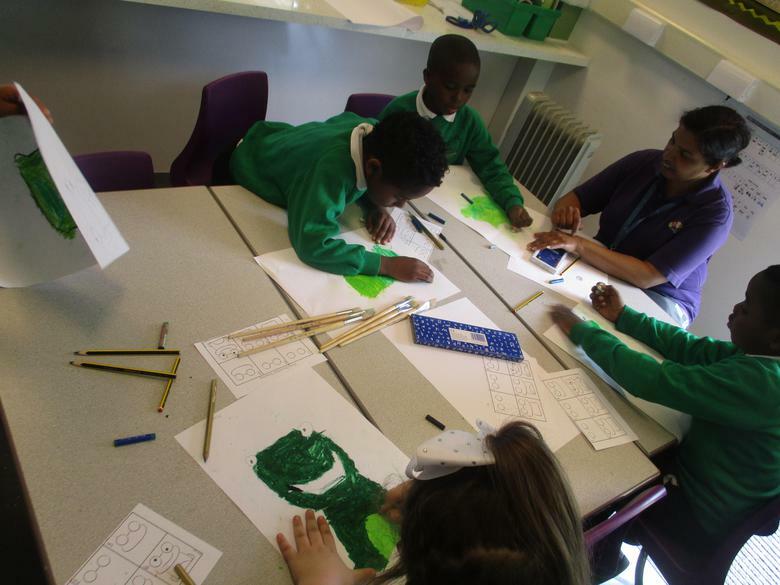 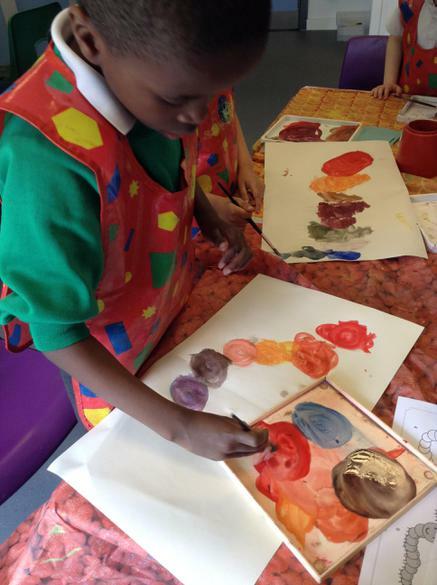 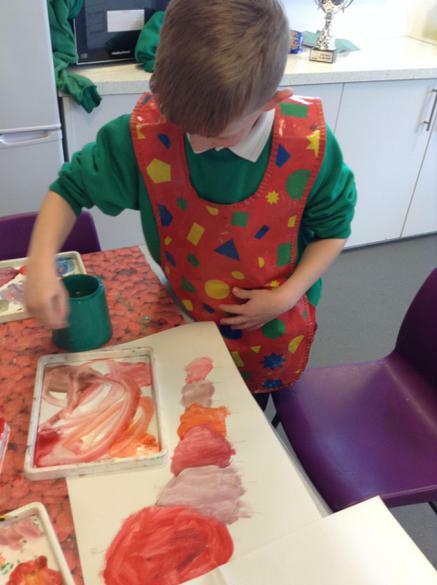 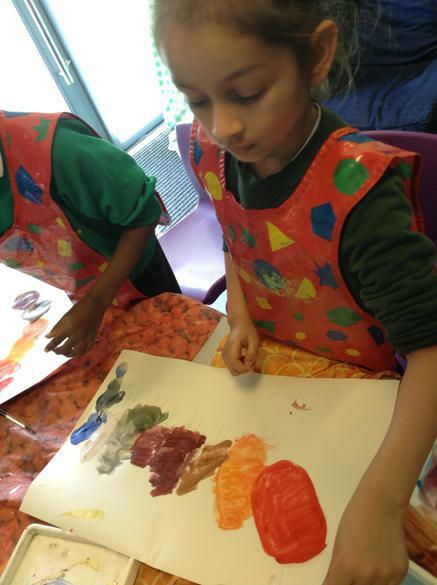 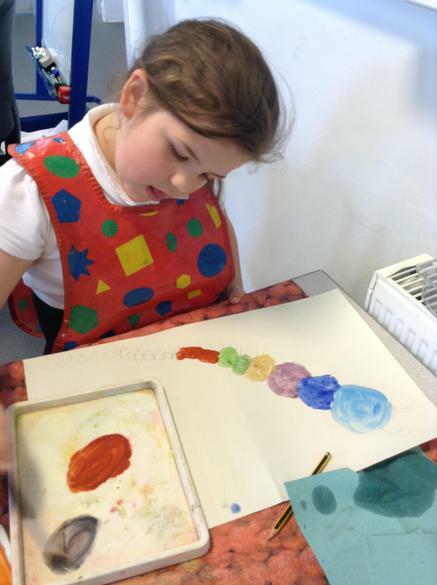 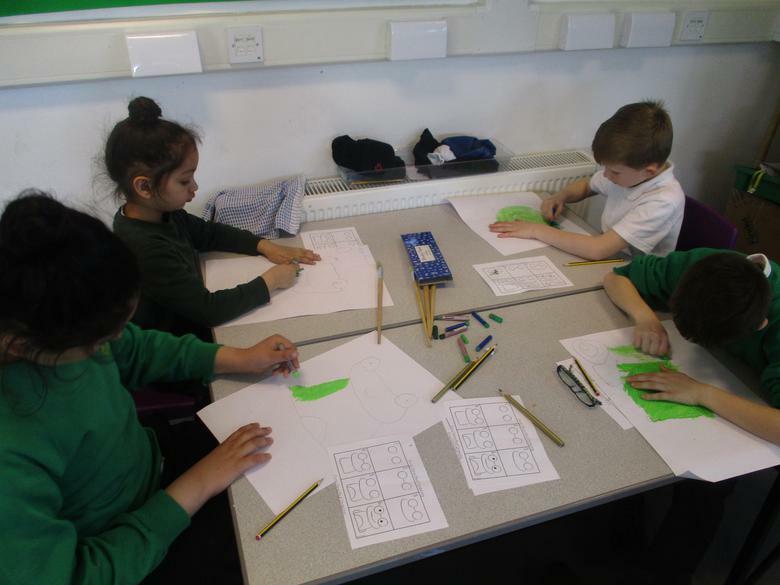 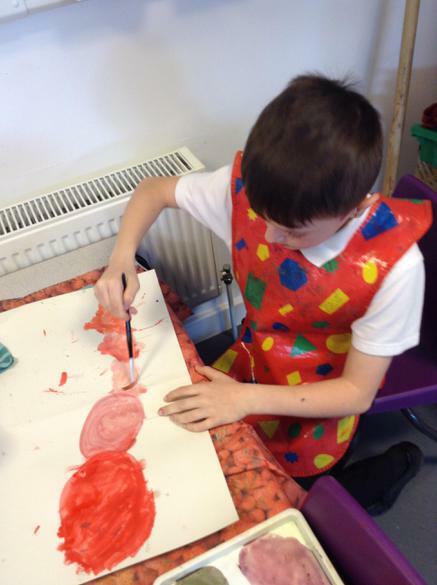 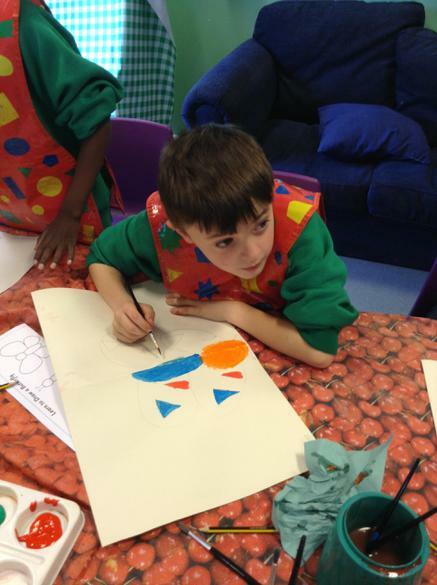 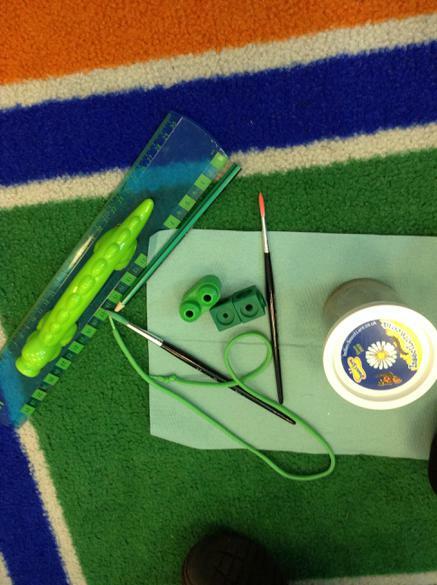 After this we created our own painting using shades and hues of the same colour. 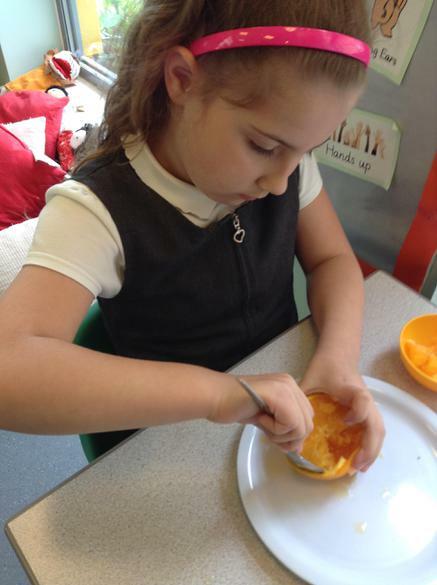 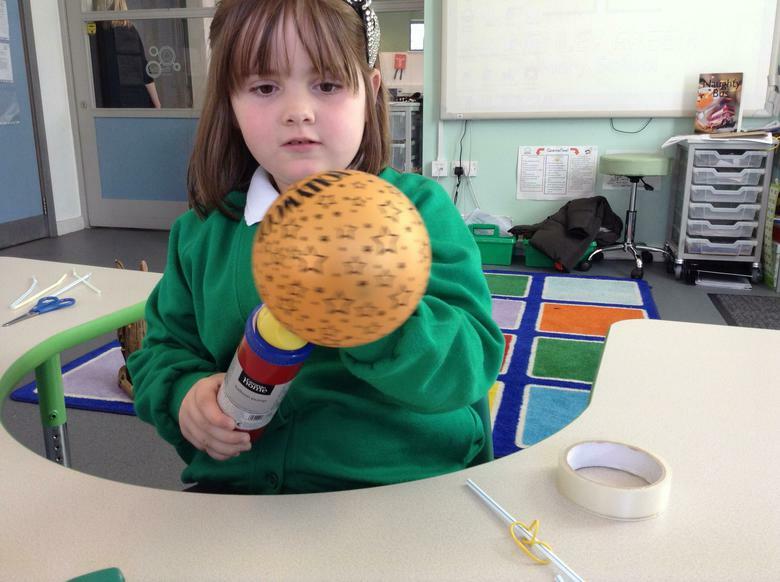 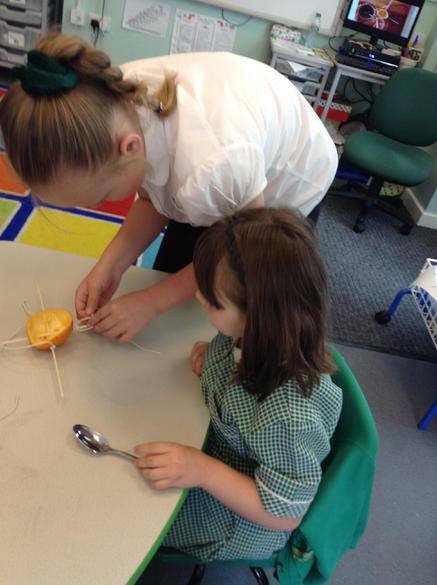 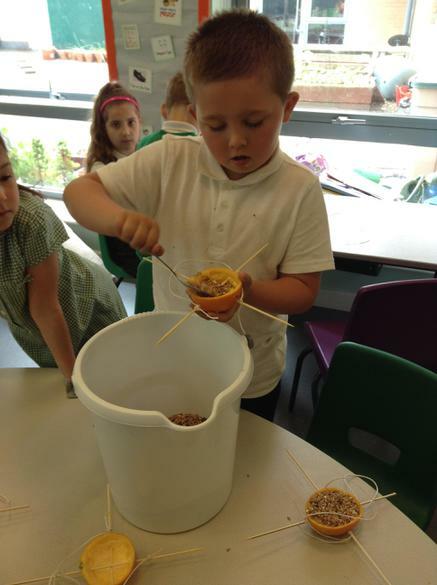 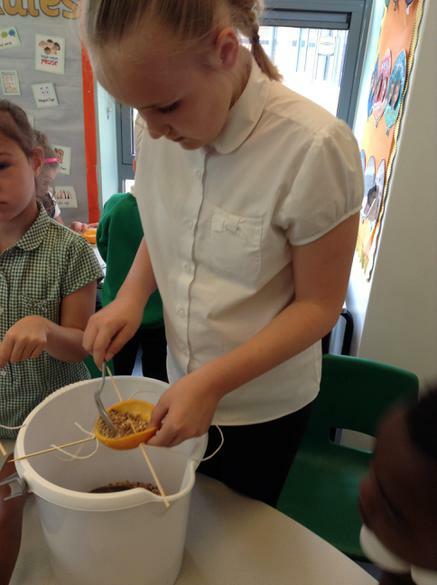 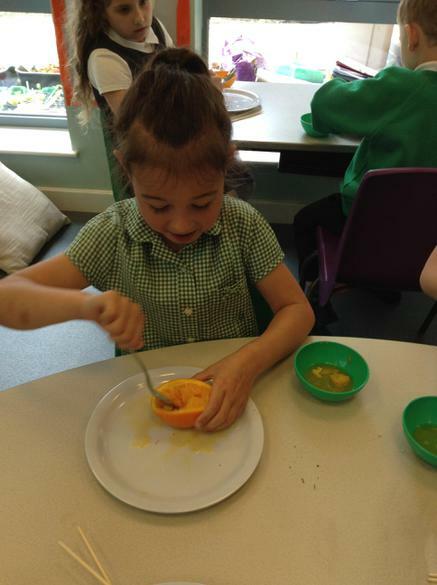 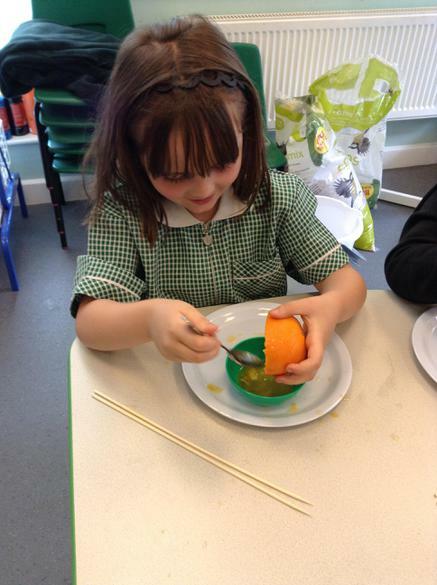 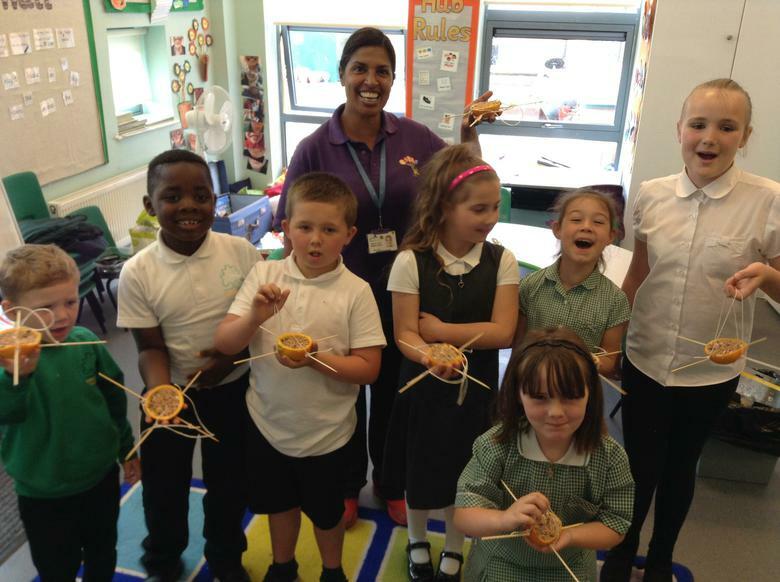 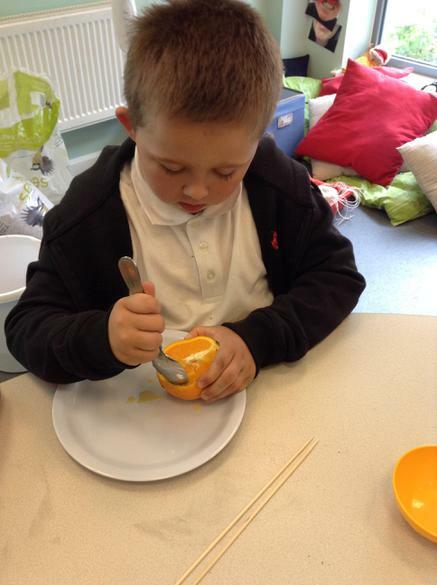 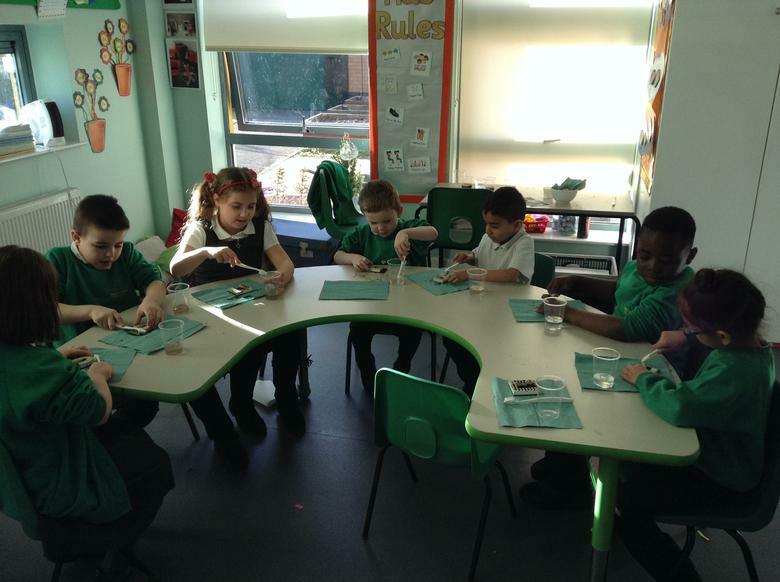 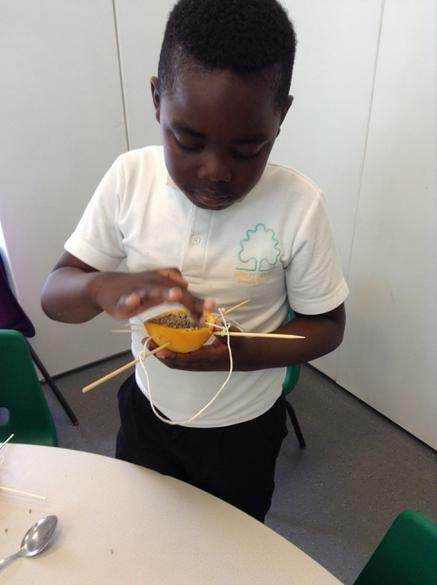 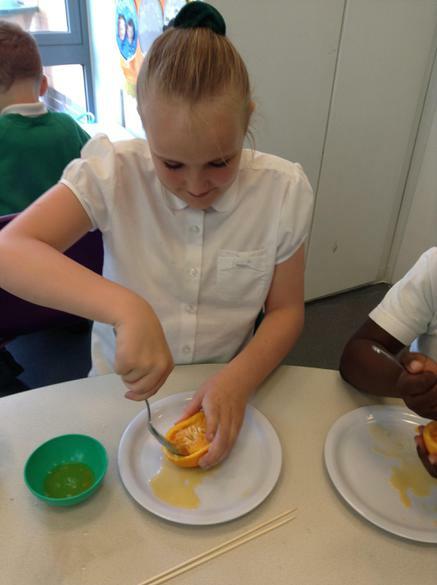 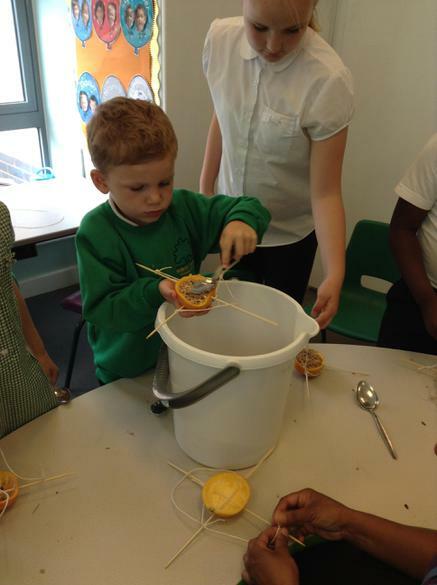 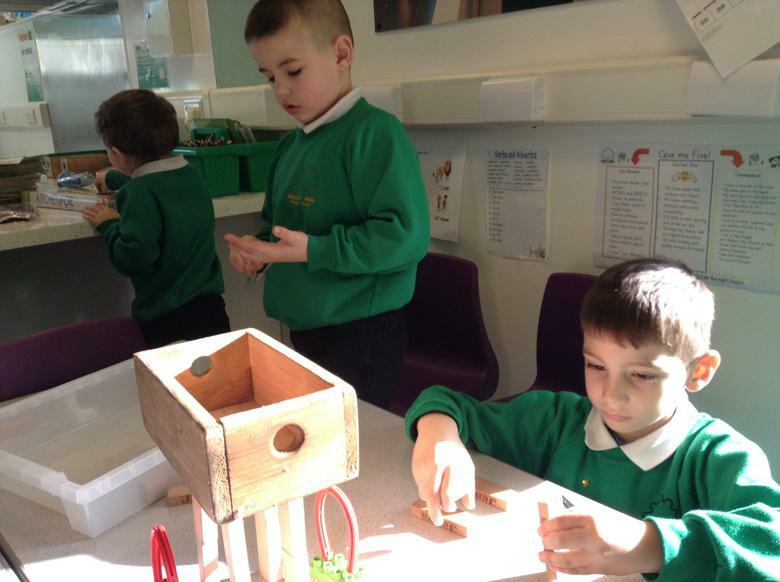 We made our own bird feeders by squeezing and scooping out the centre of an orange and then filling it with bird seed. 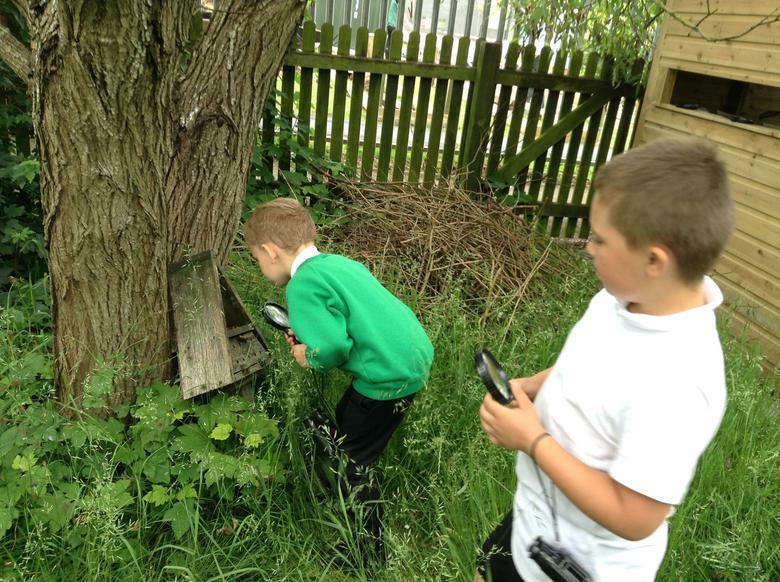 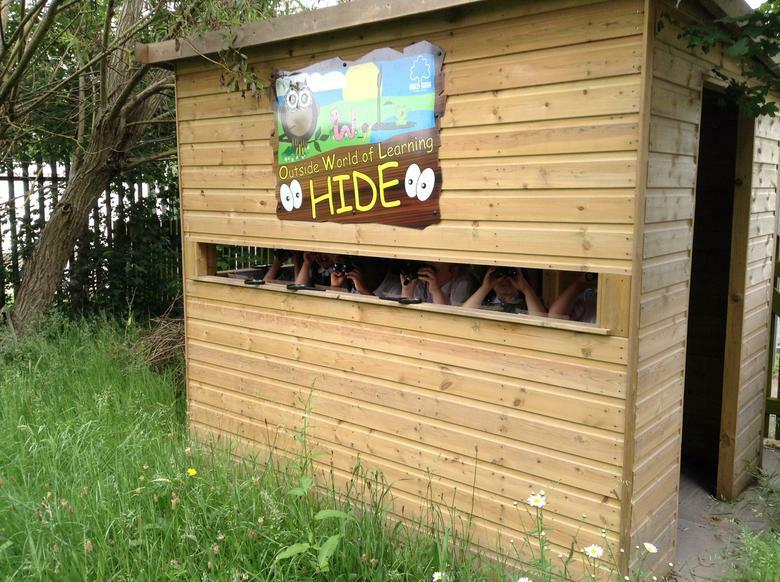 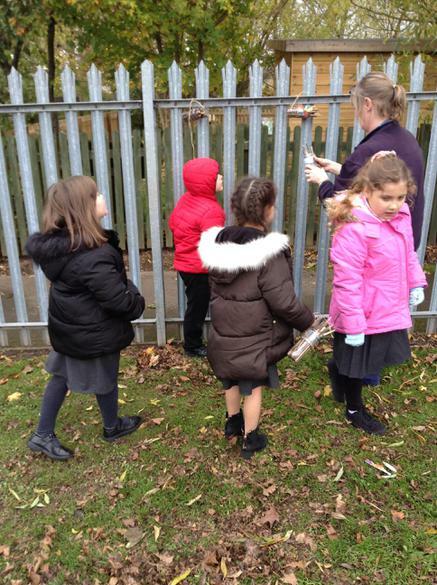 We then got to go to the Wildlife garden and hand our feeders on the trees. 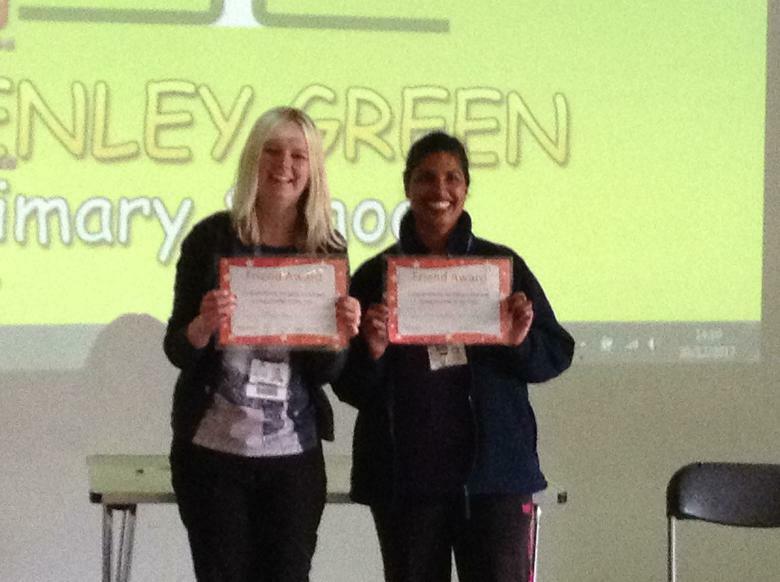 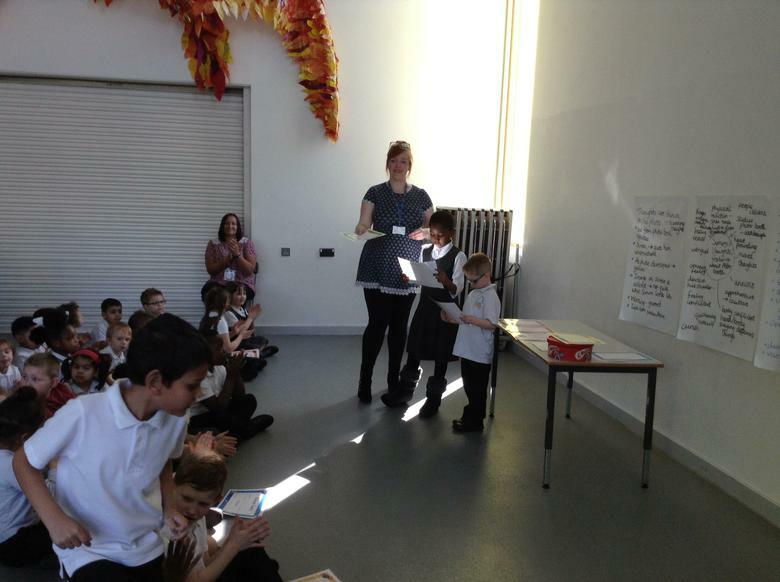 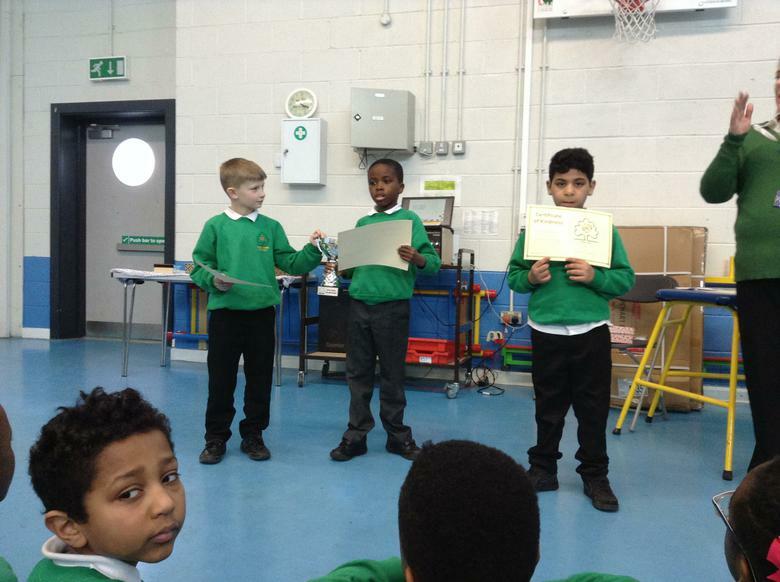 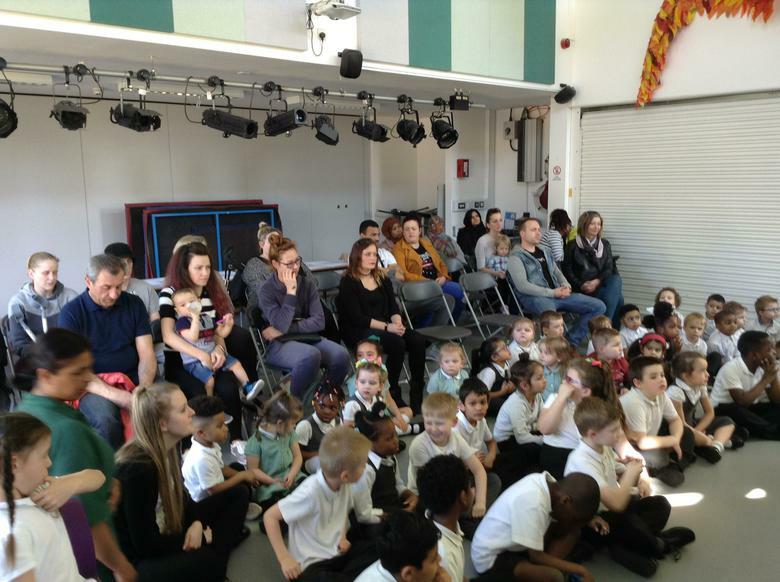 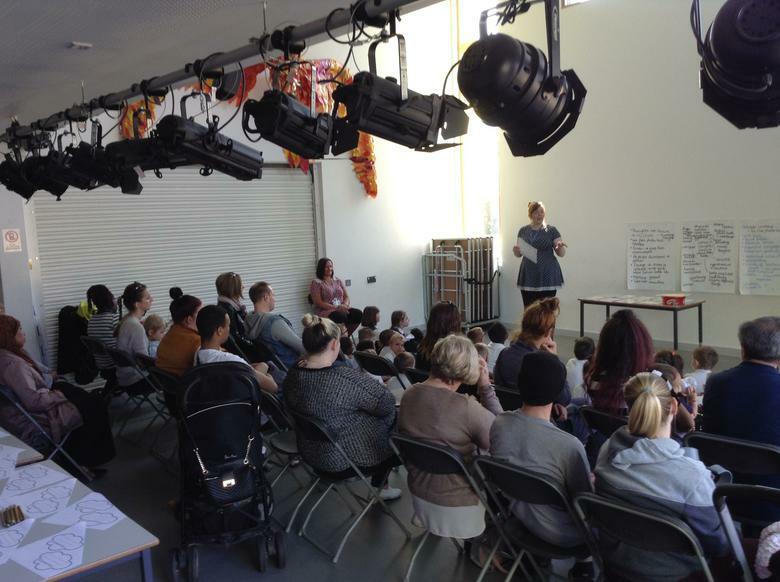 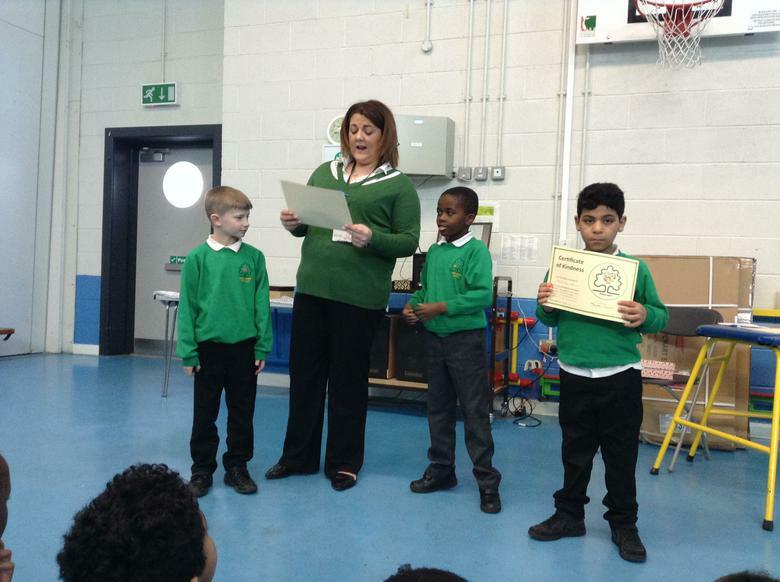 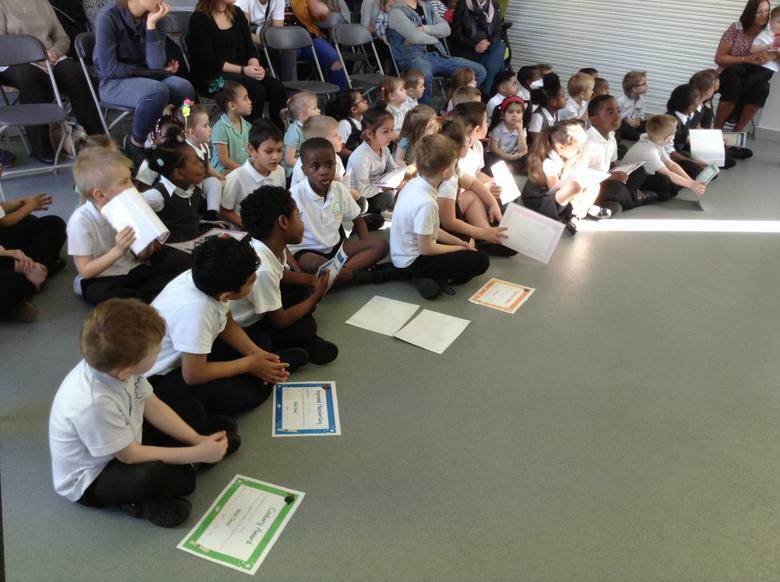 We had our own achievement assembly where we invited all the Hub parents to celebrate all our successes in the Hub. 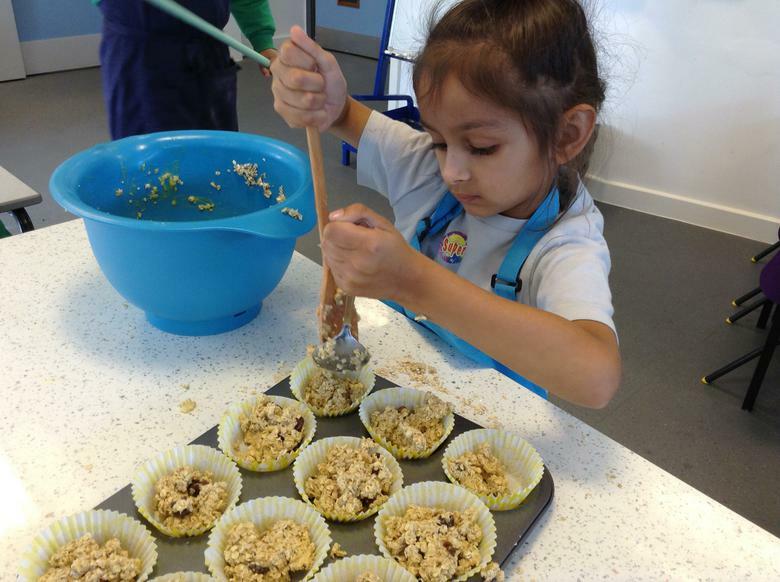 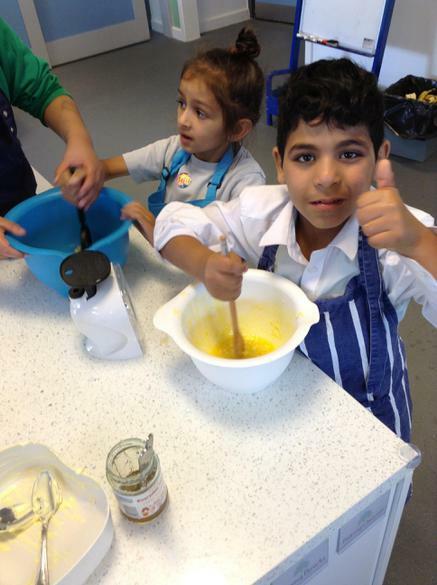 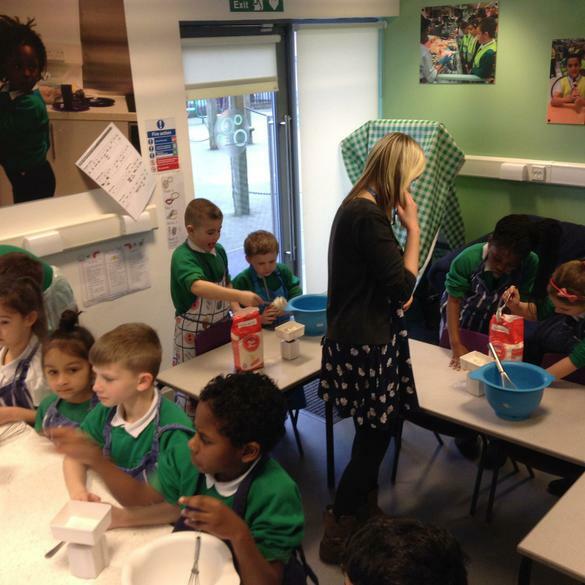 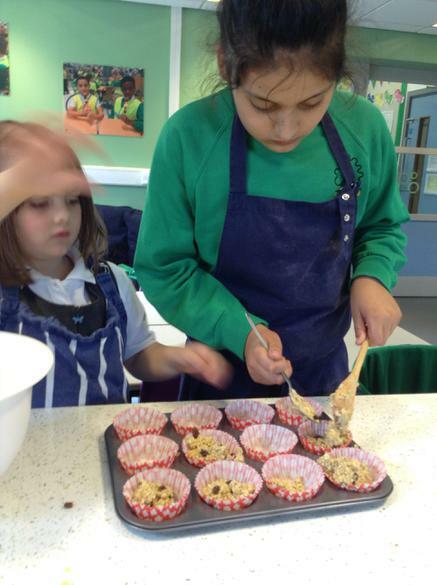 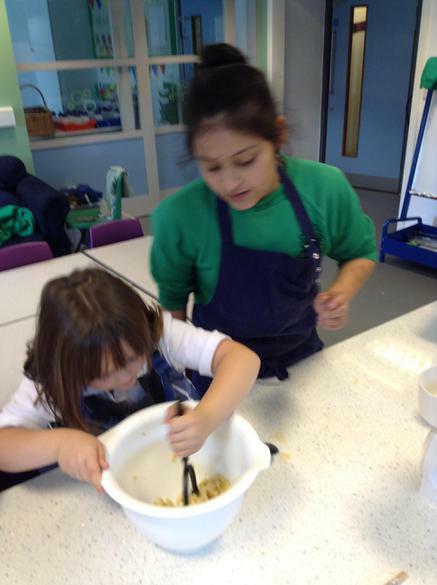 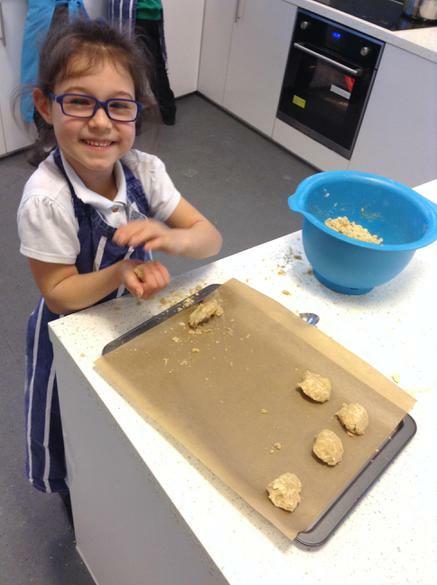 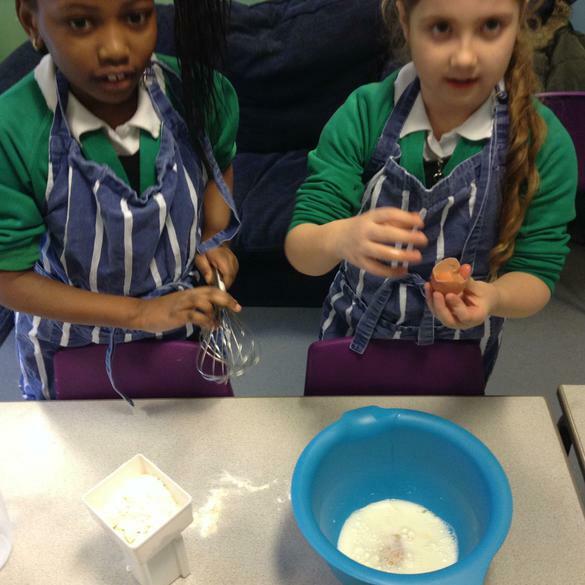 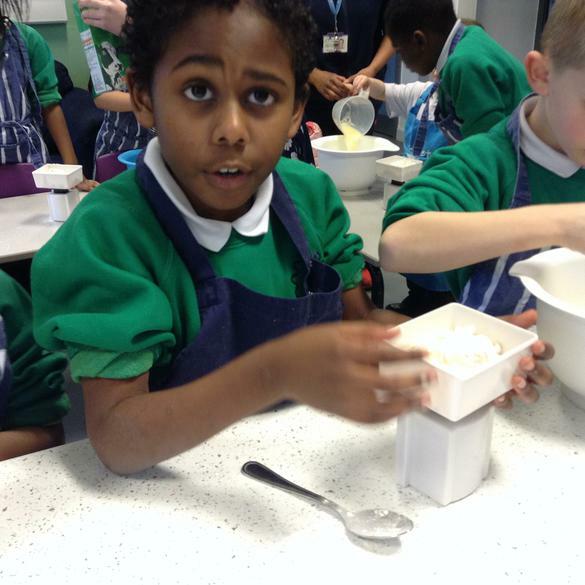 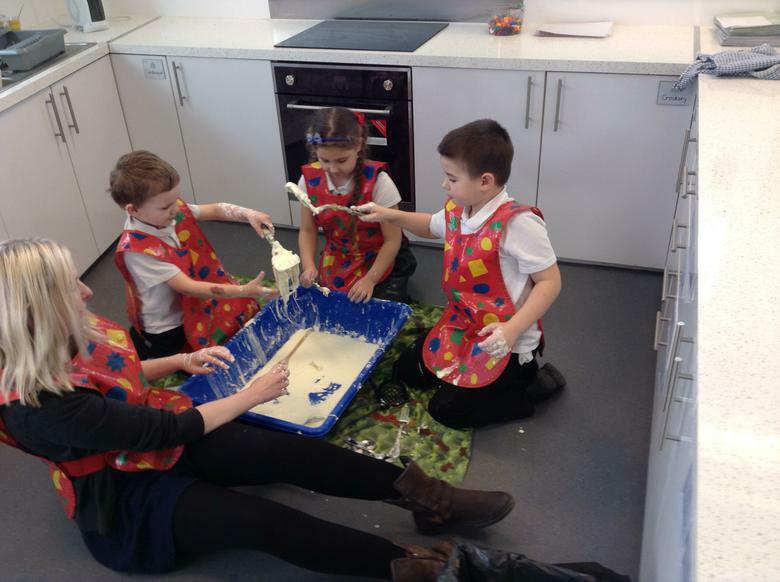 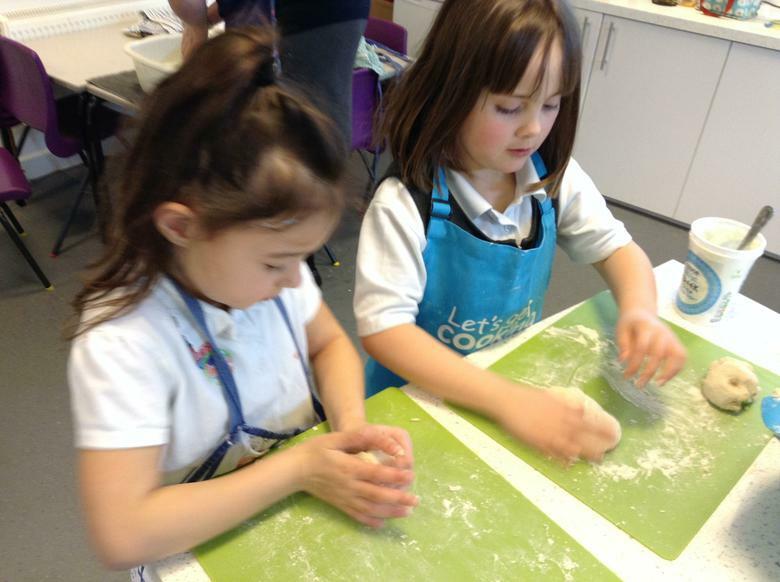 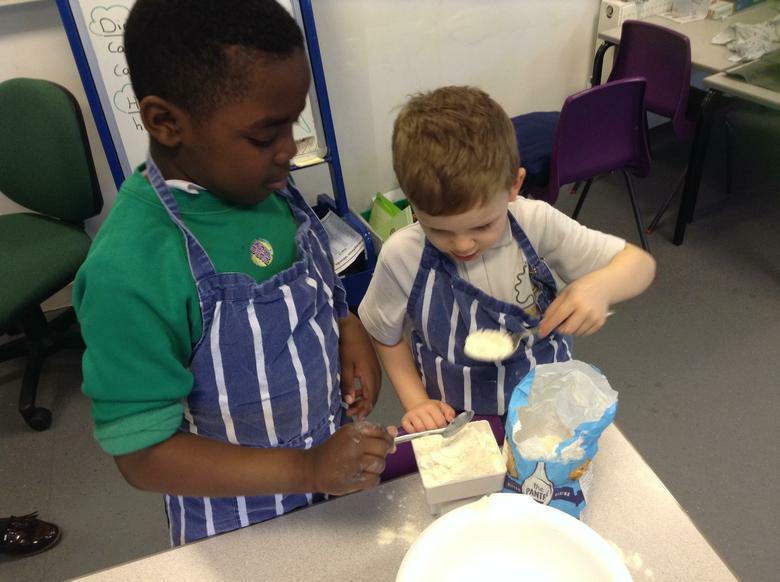 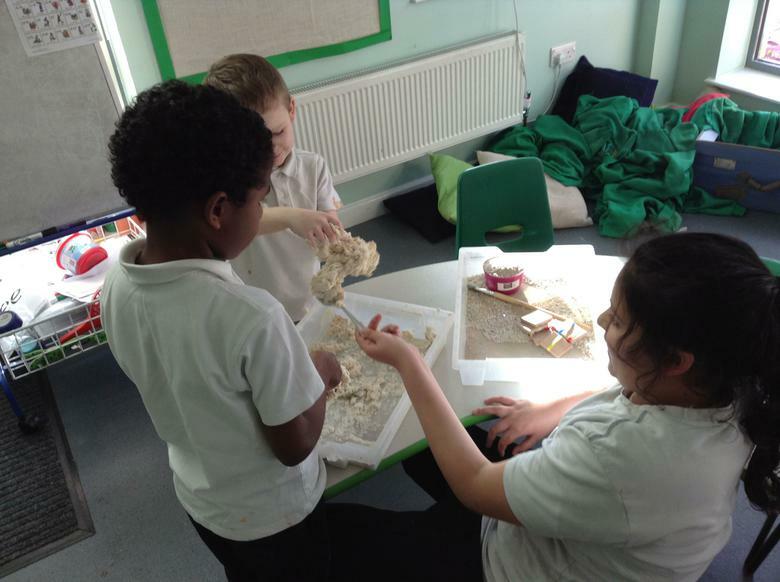 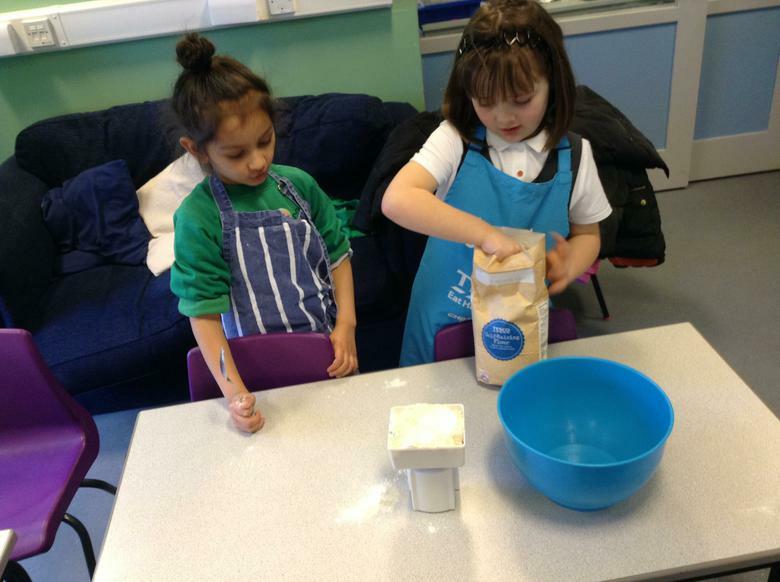 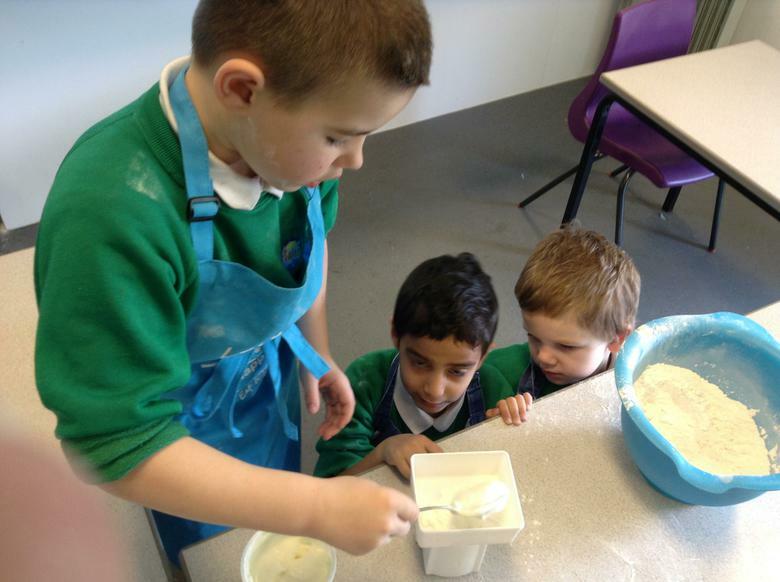 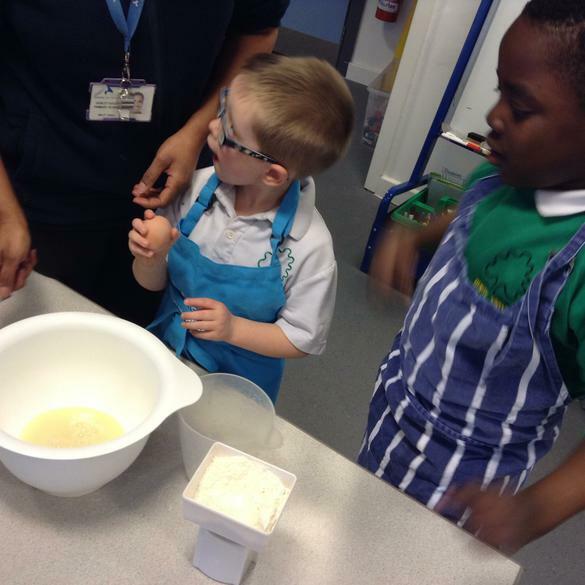 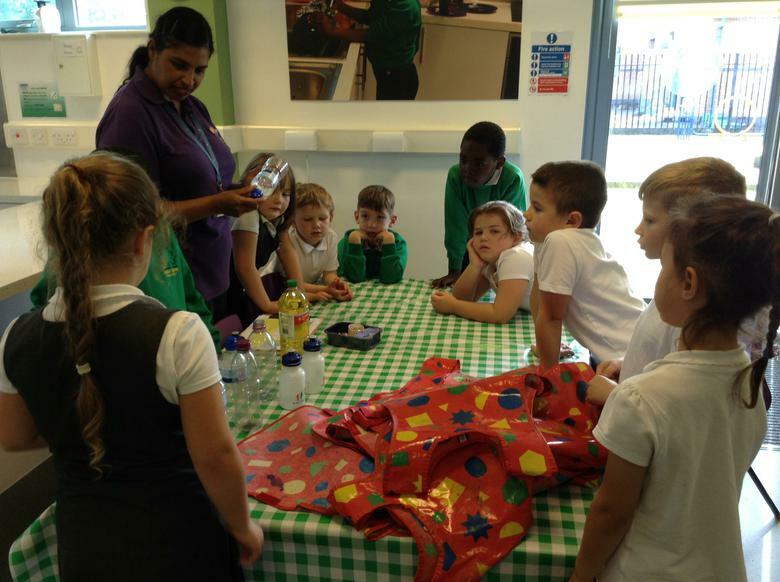 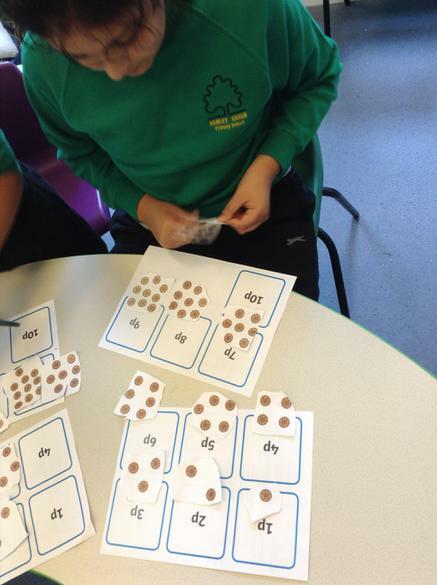 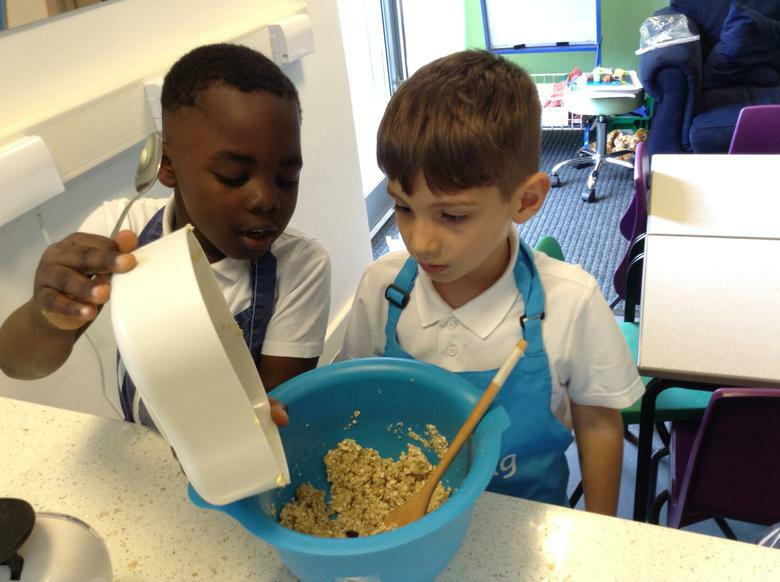 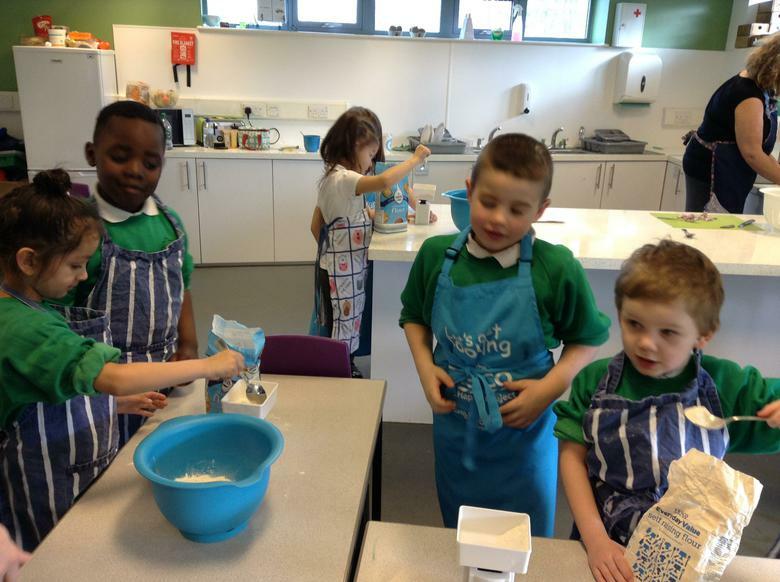 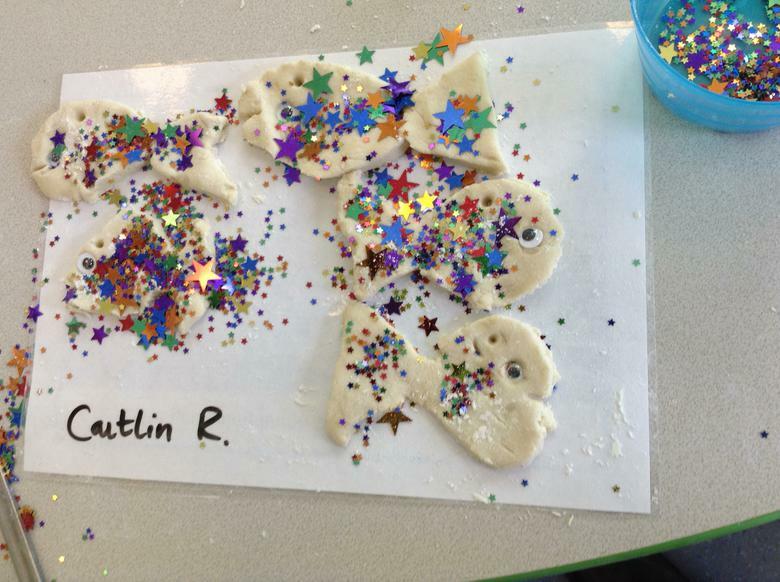 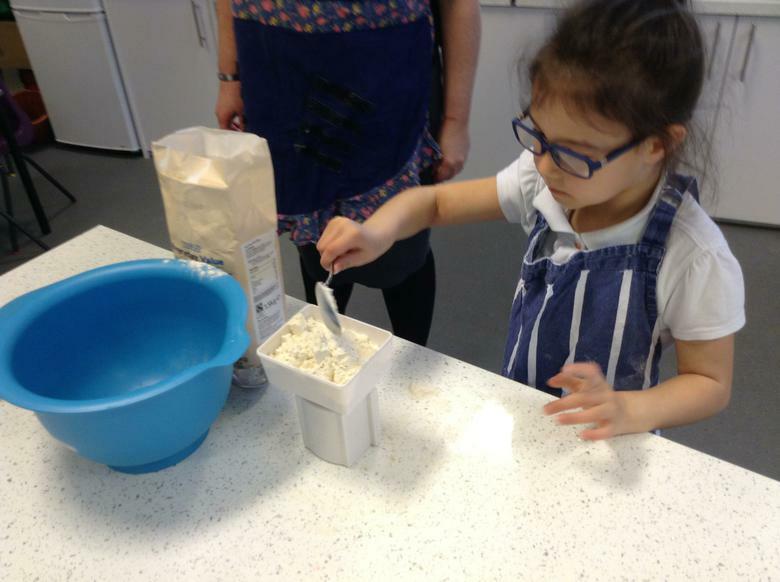 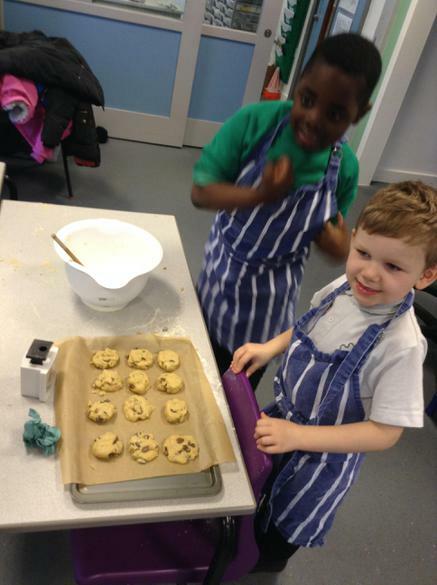 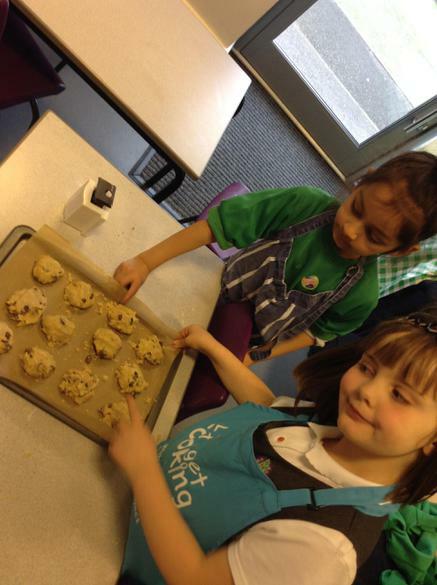 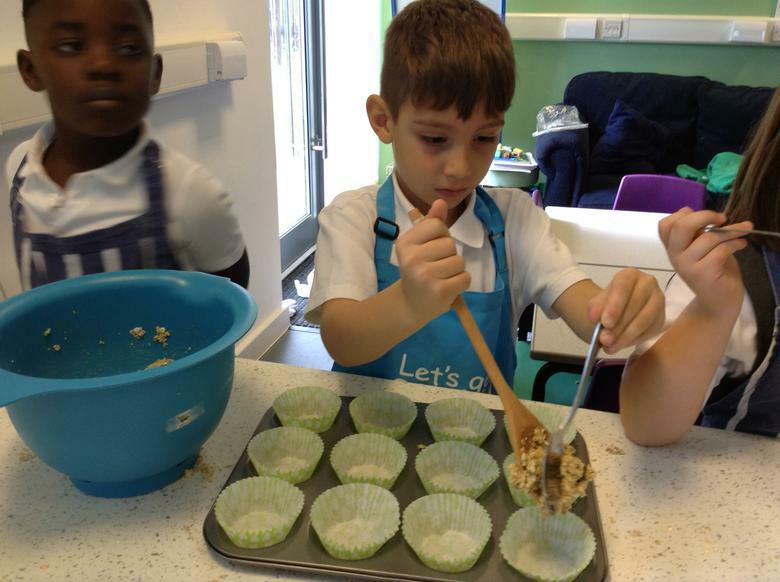 In the Hub we have made some rock cakes as part of our cooking sessions with Mrs Rouse. 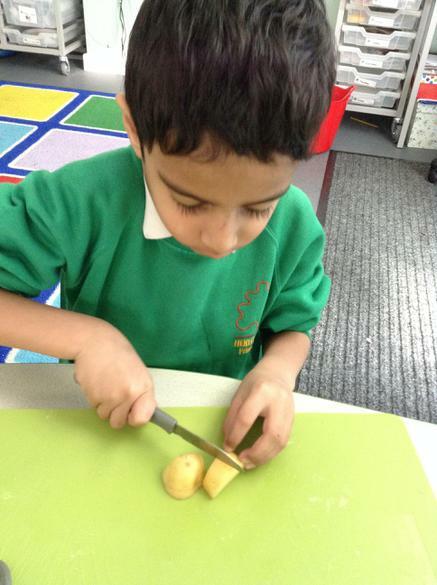 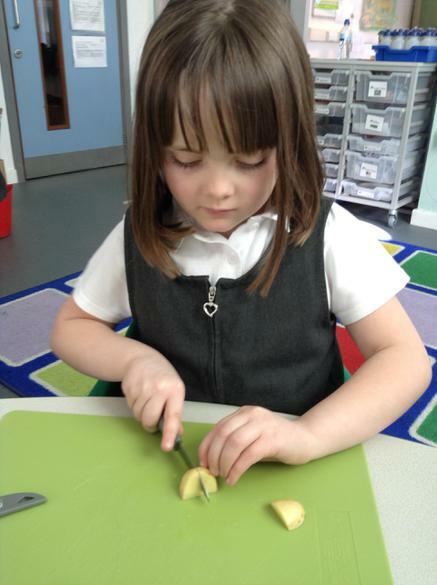 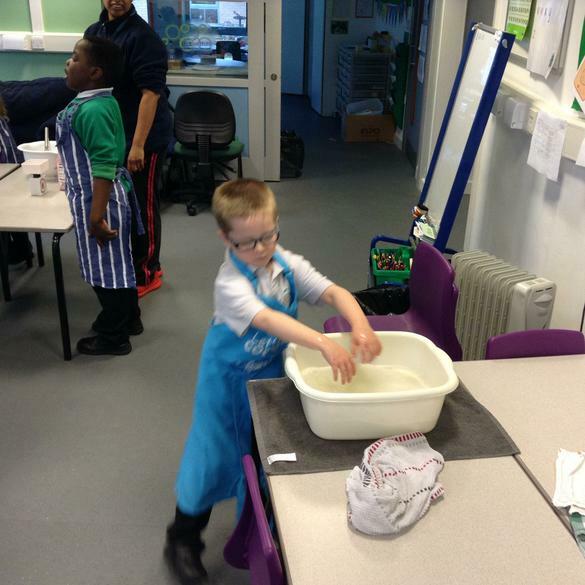 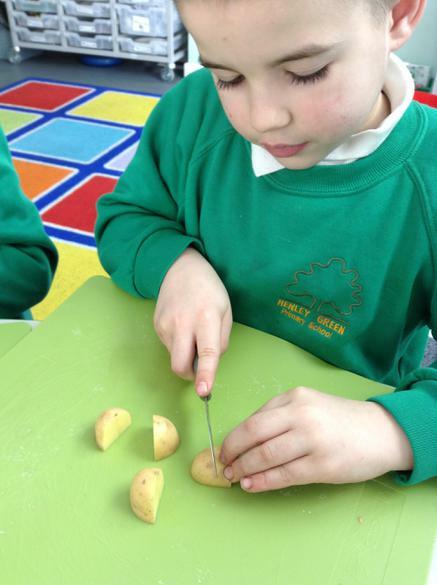 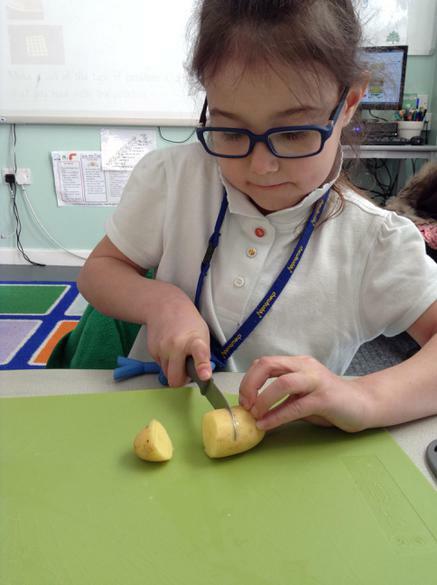 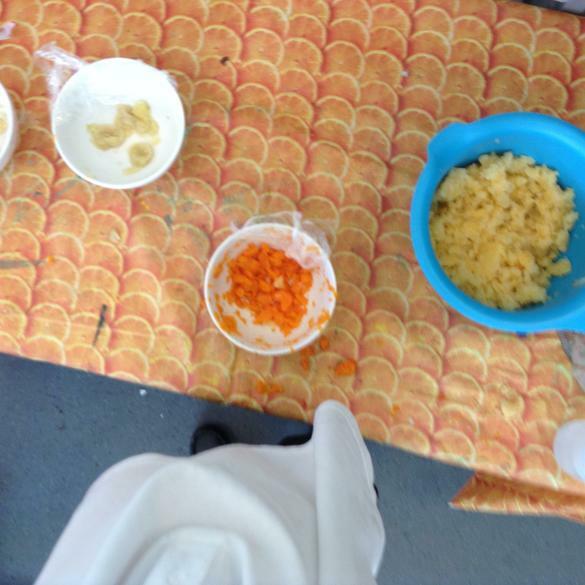 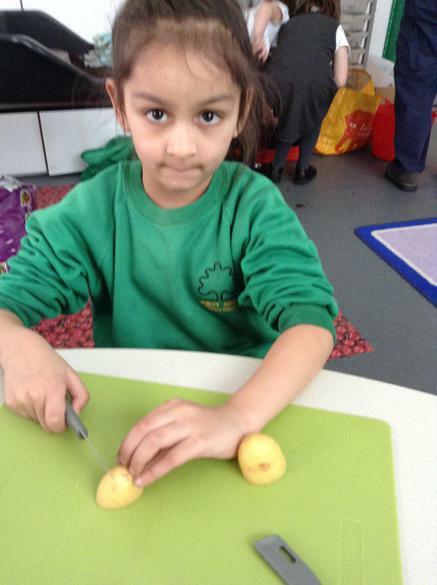 Spring 2 Week 1 - Today with Mrs Gardener were chitting our own grown potatoes and we also got the chance to chop, cook and taste different varieties. 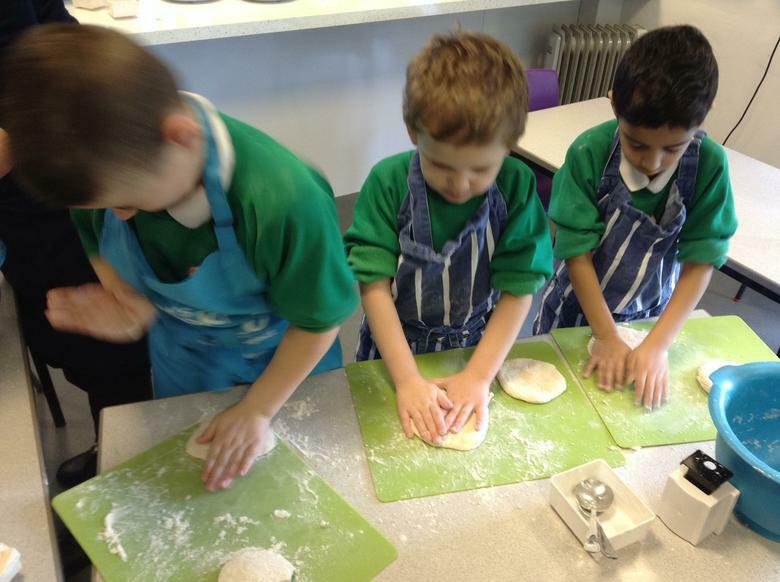 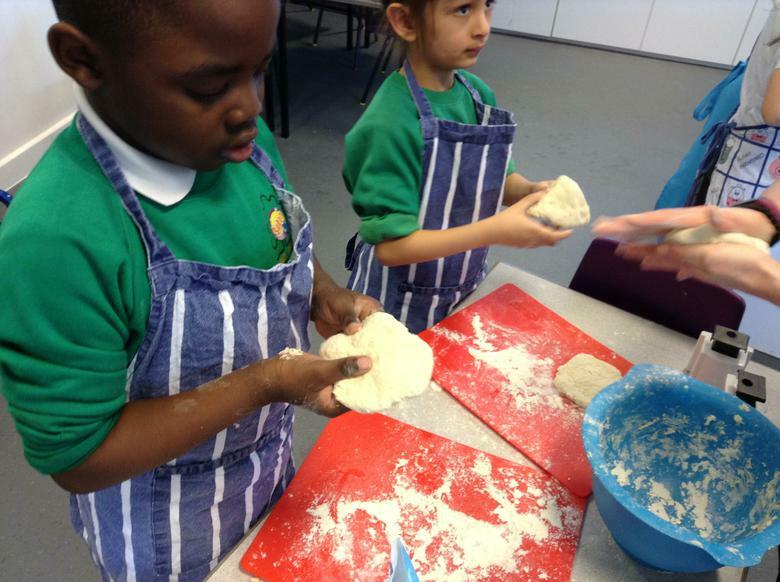 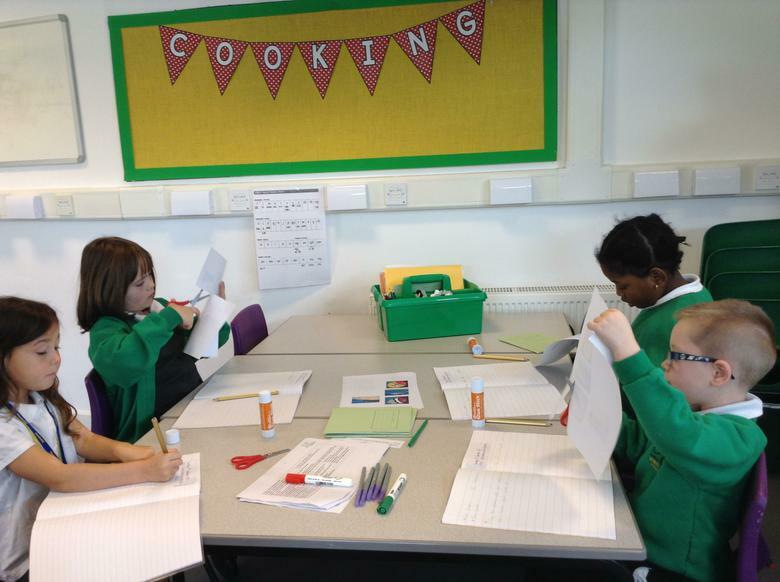 Spring 2 Week 2 - Today we followed a recipe with Mrs Rouse to make flat bread pizzas. 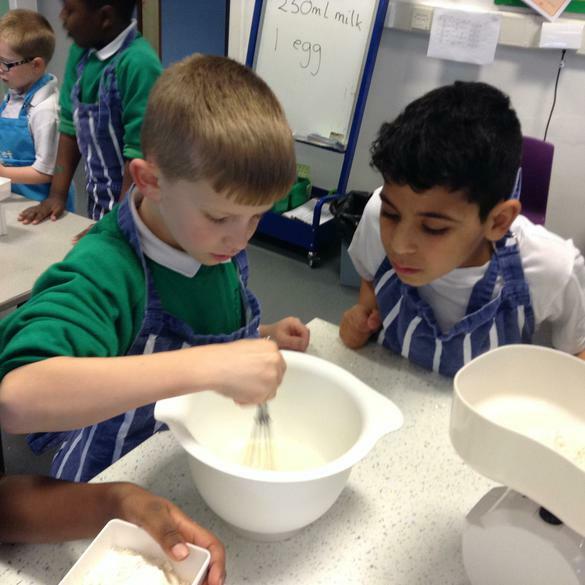 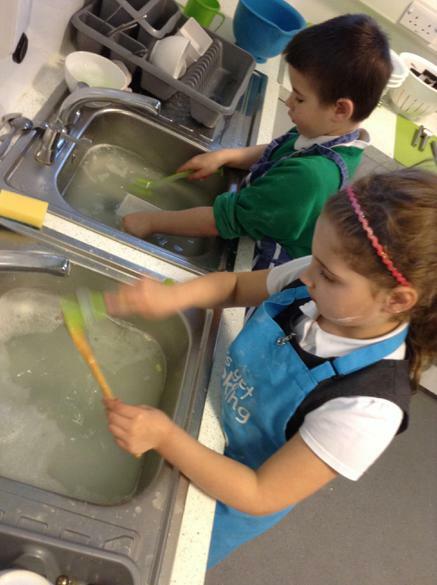 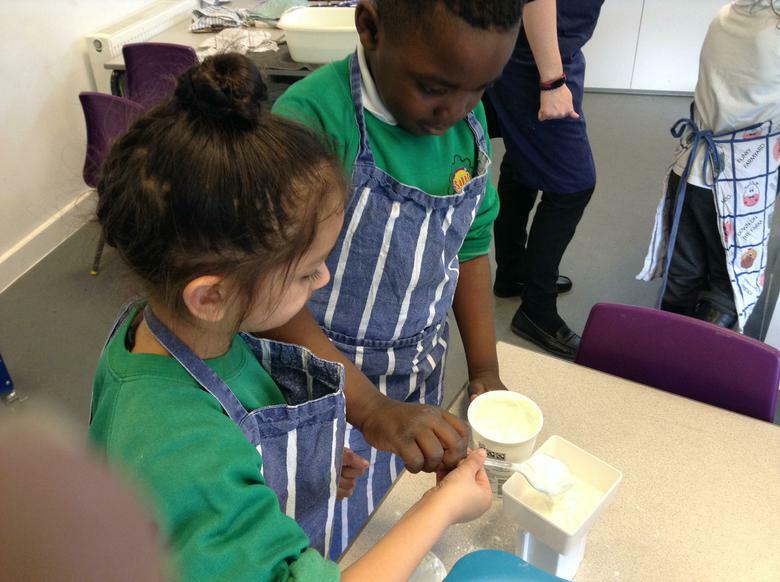 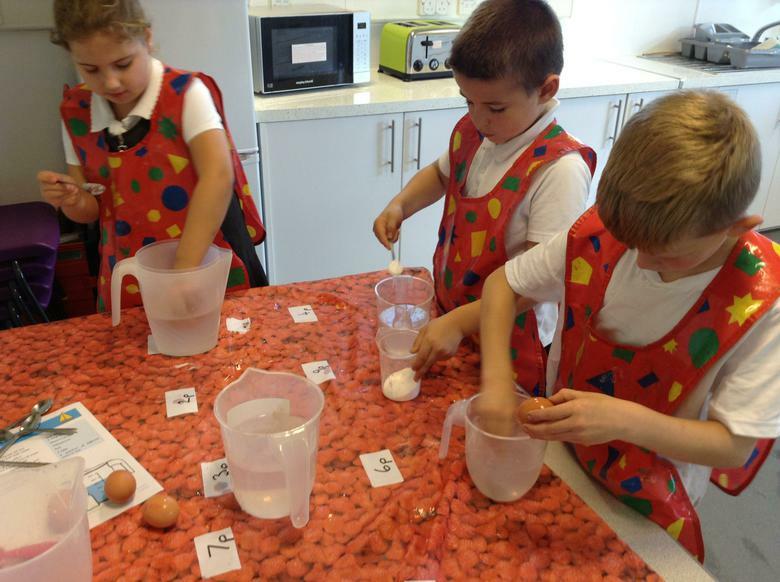 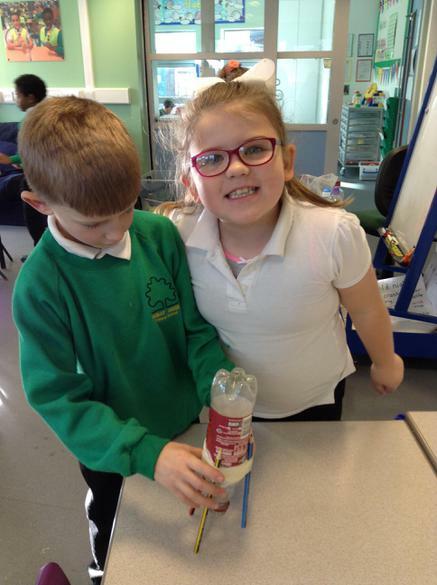 We worked in partners to weigh the ingredients needed. 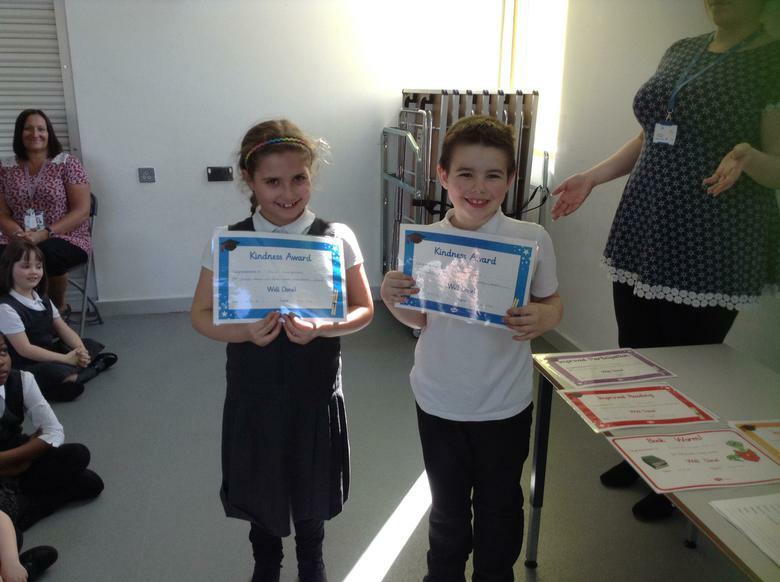 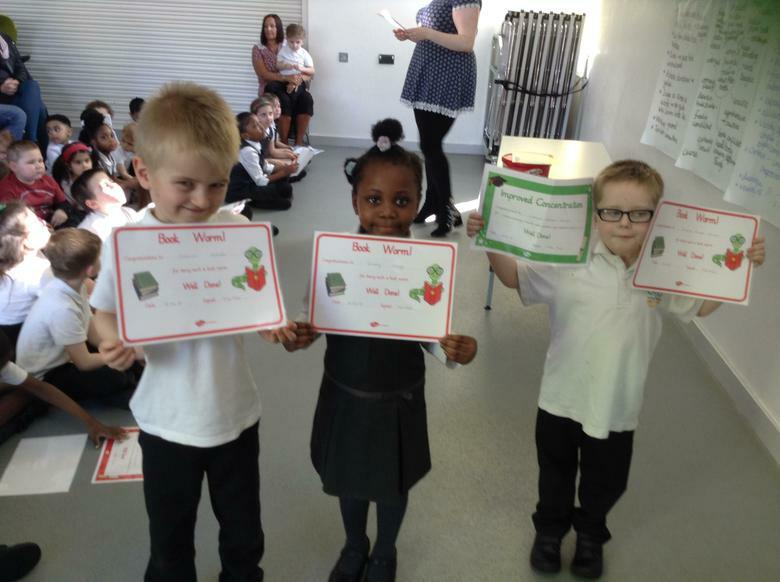 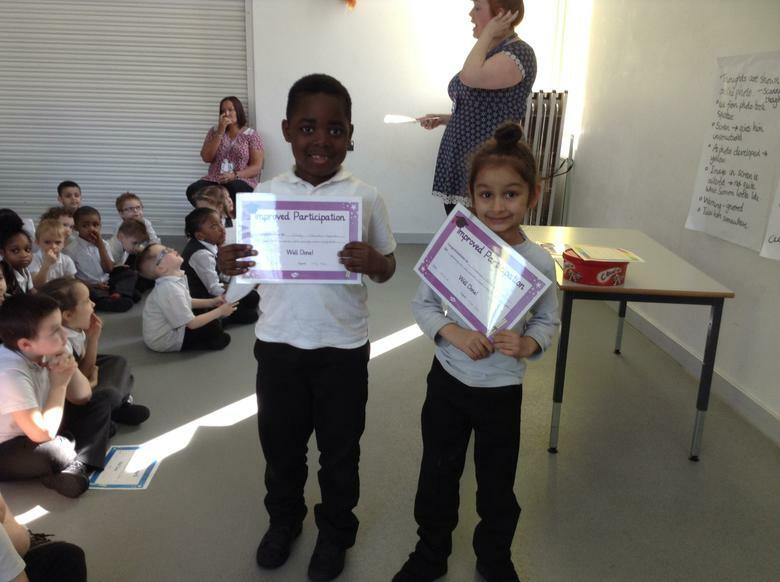 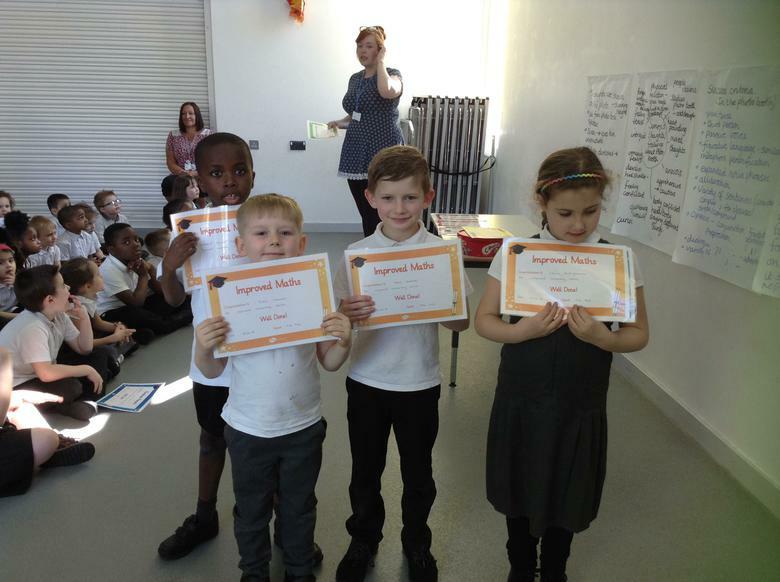 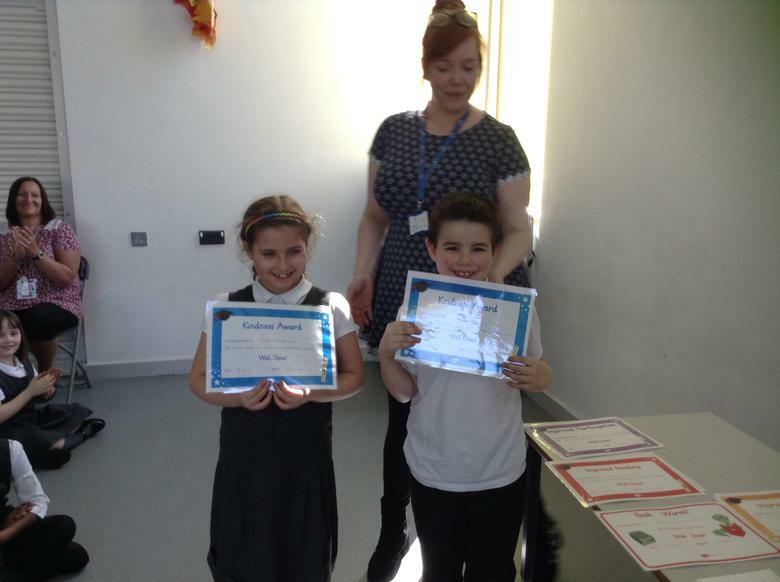 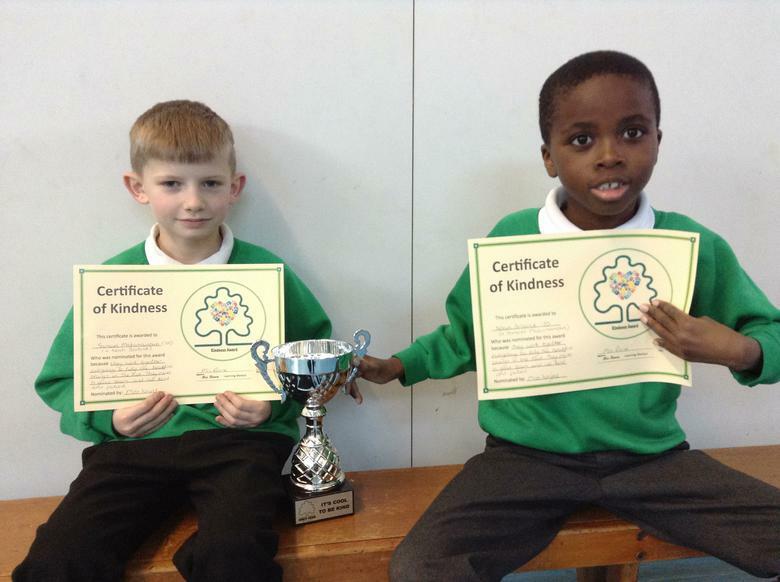 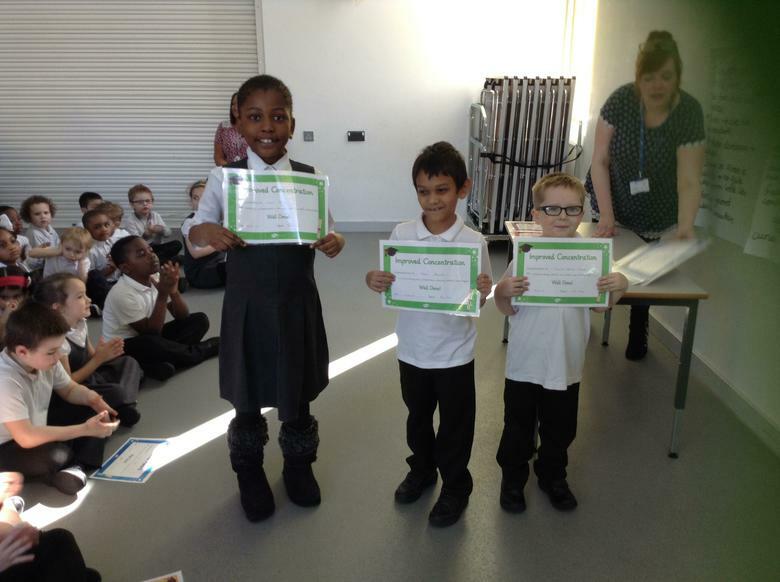 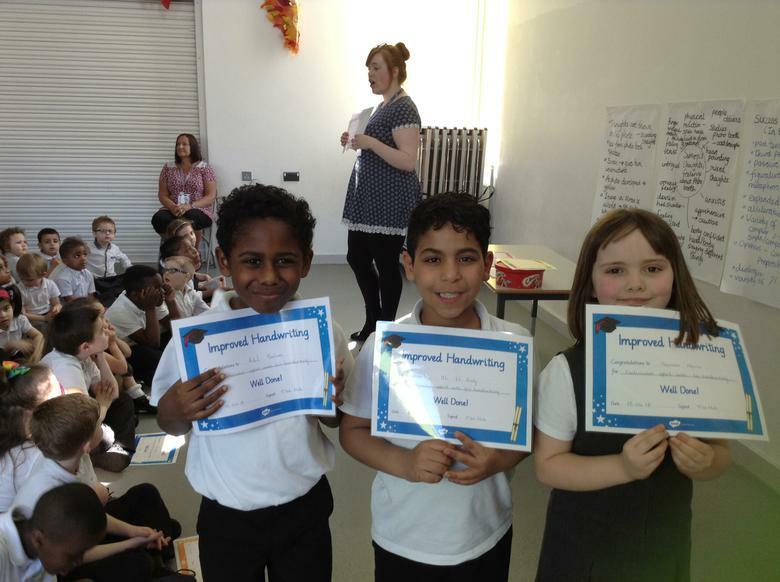 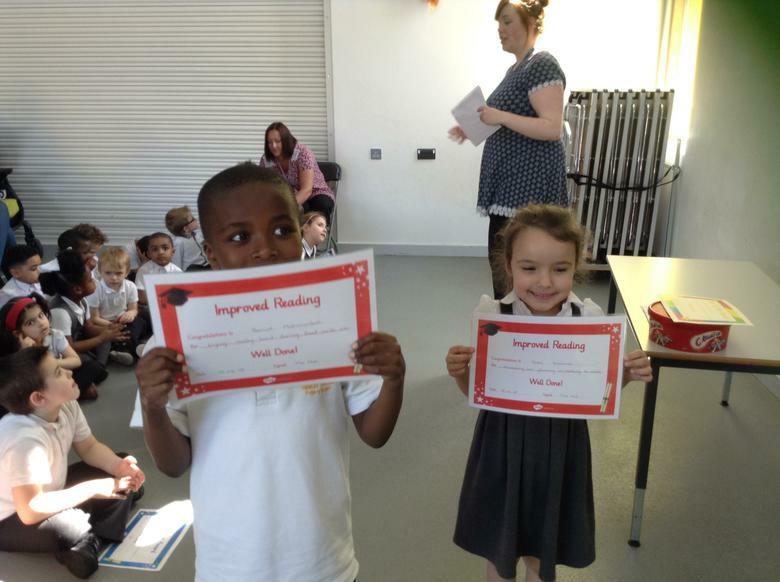 Spring 2 Week 3 - This week two of our Hub children received the kindness trophy and certificate in achievement assembly. 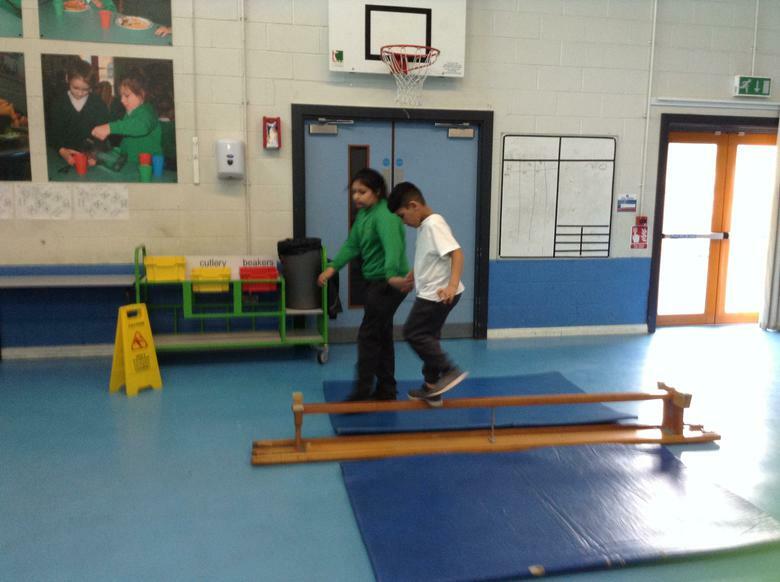 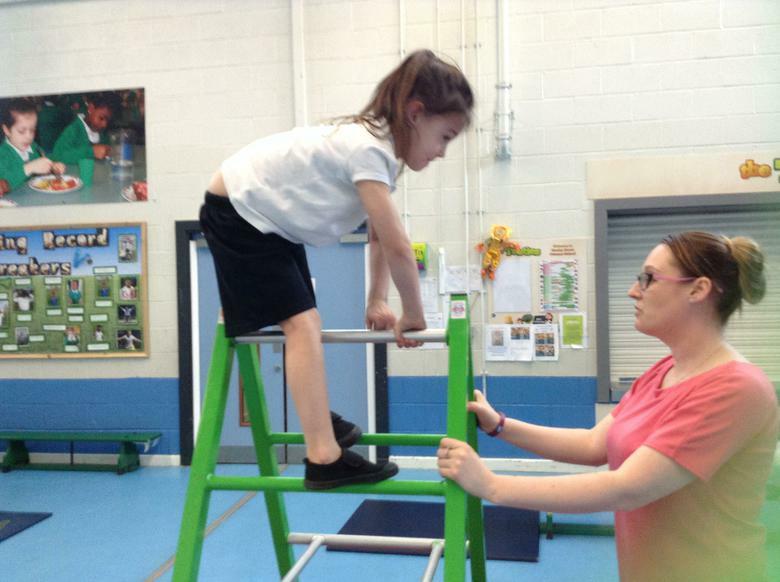 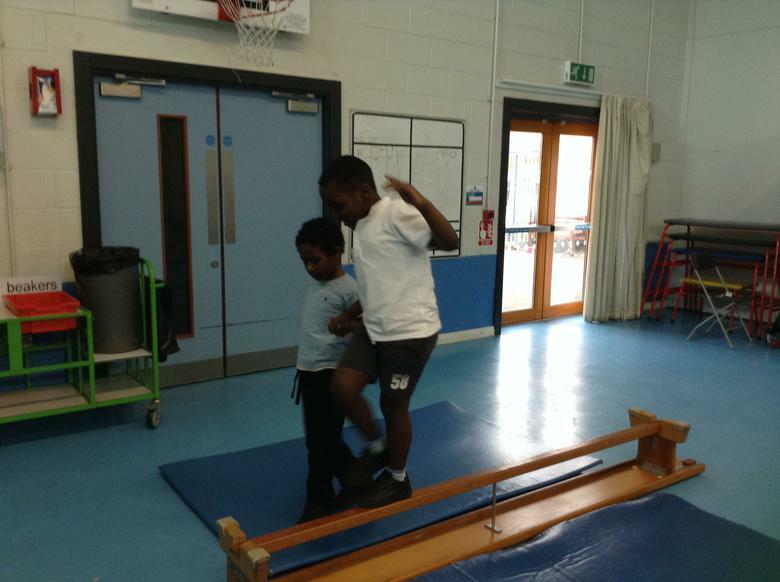 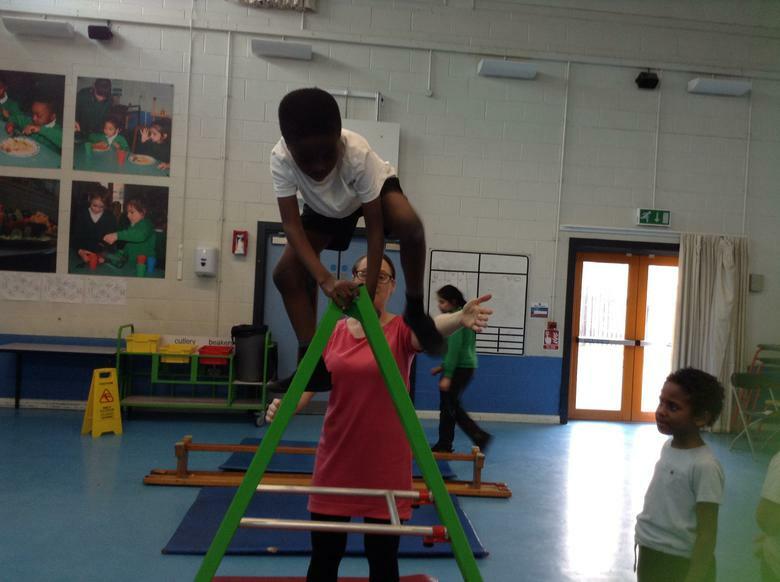 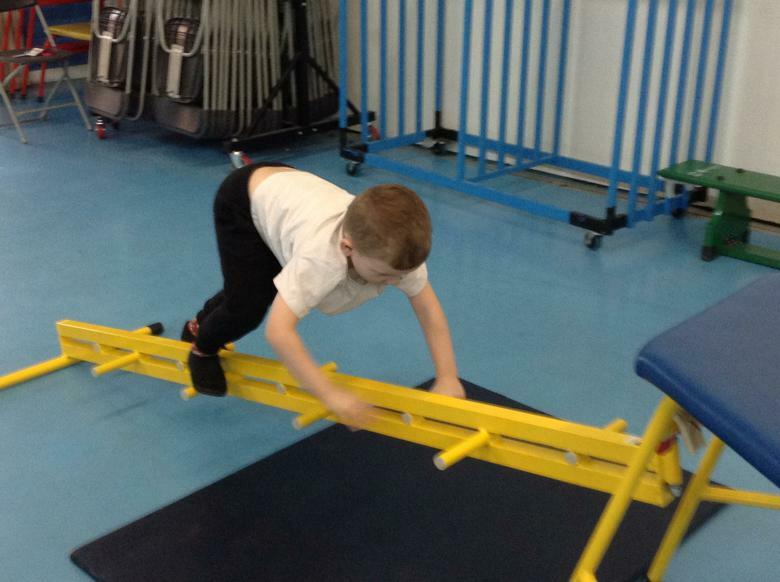 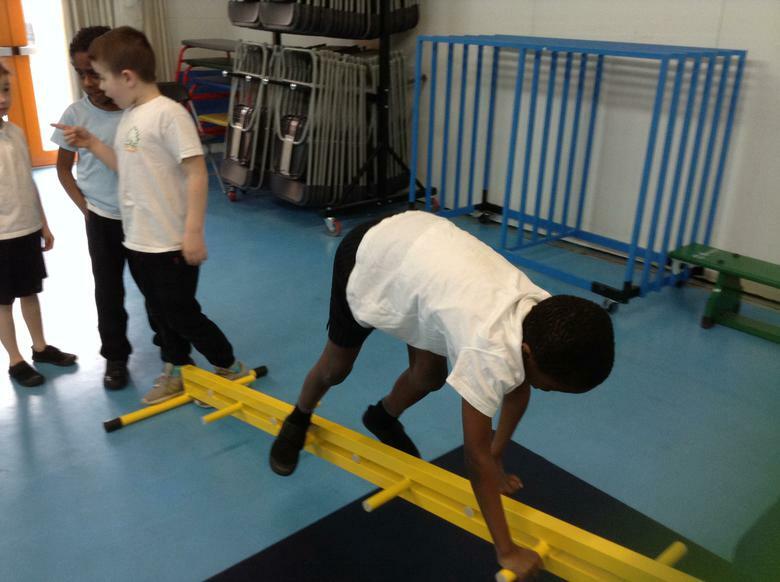 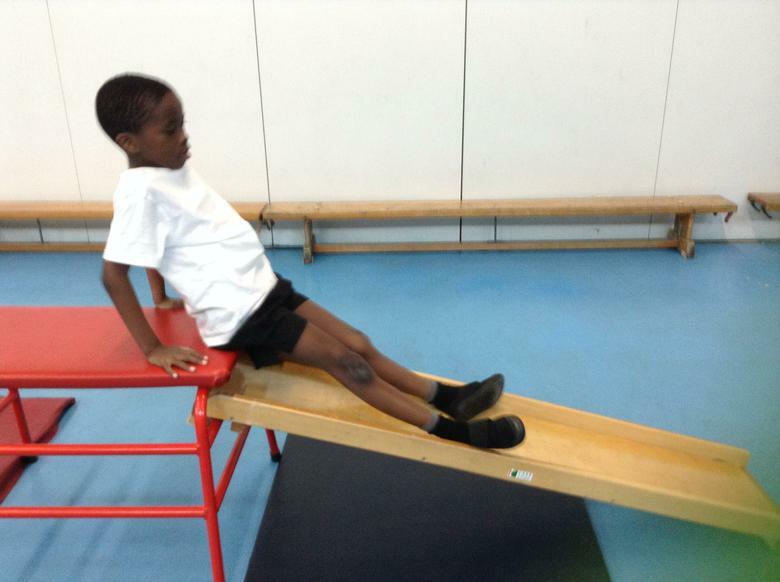 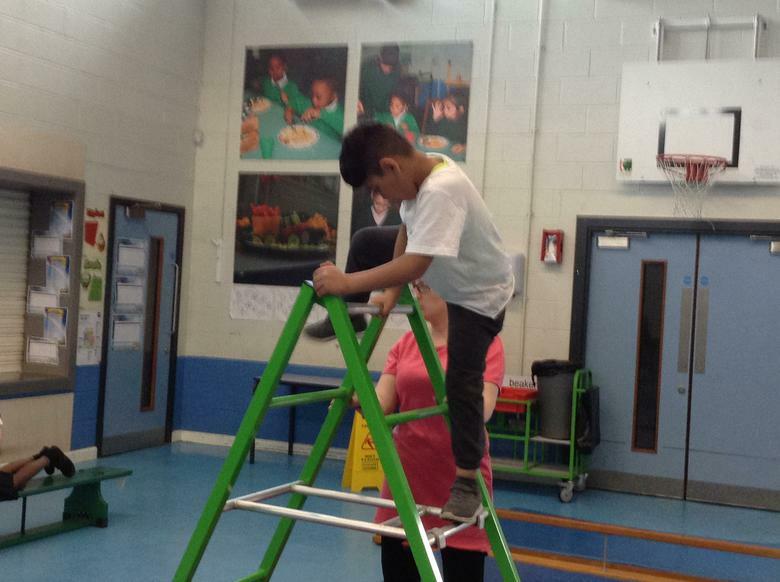 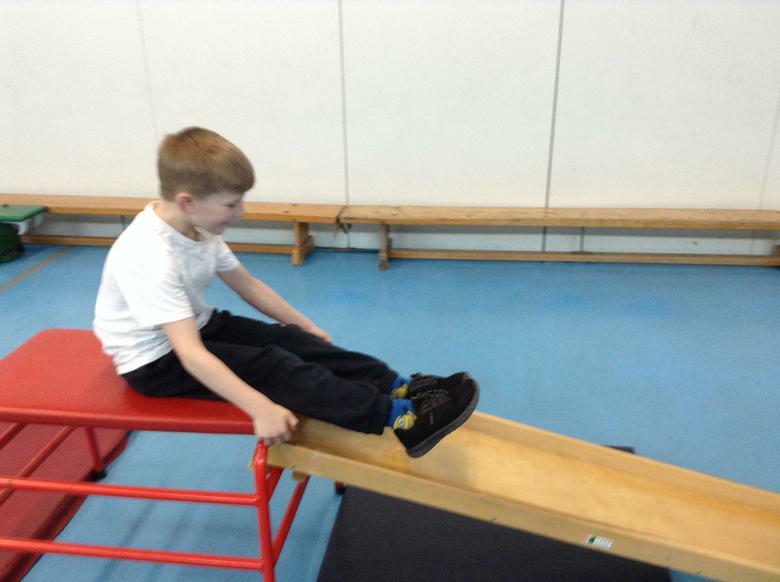 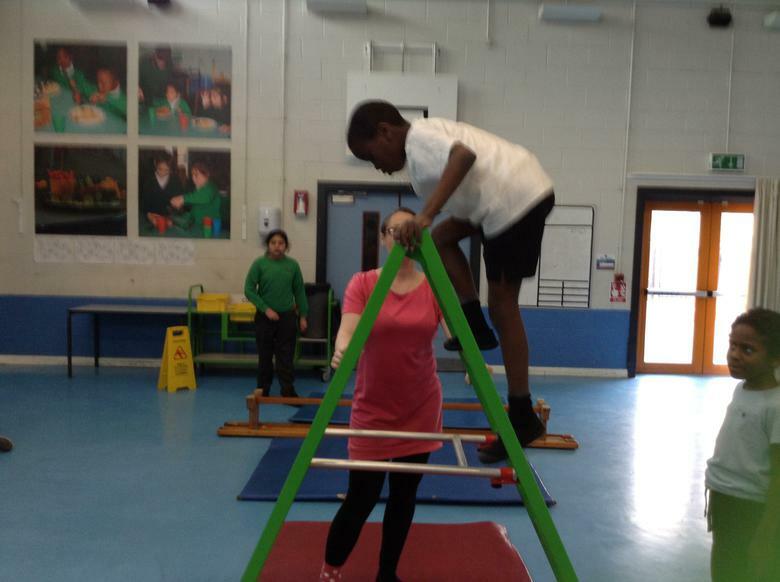 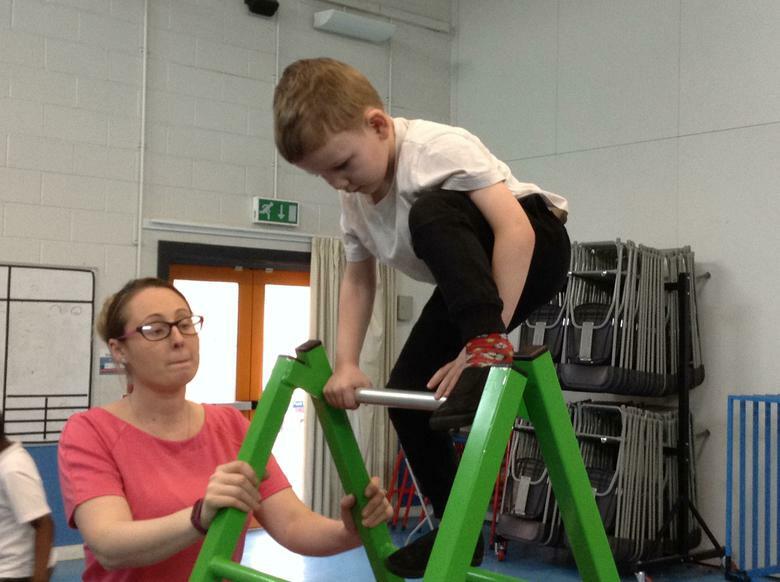 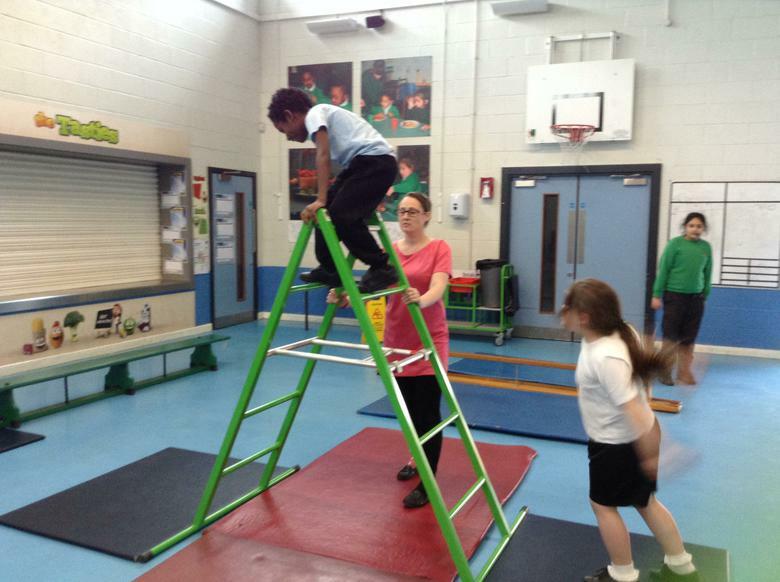 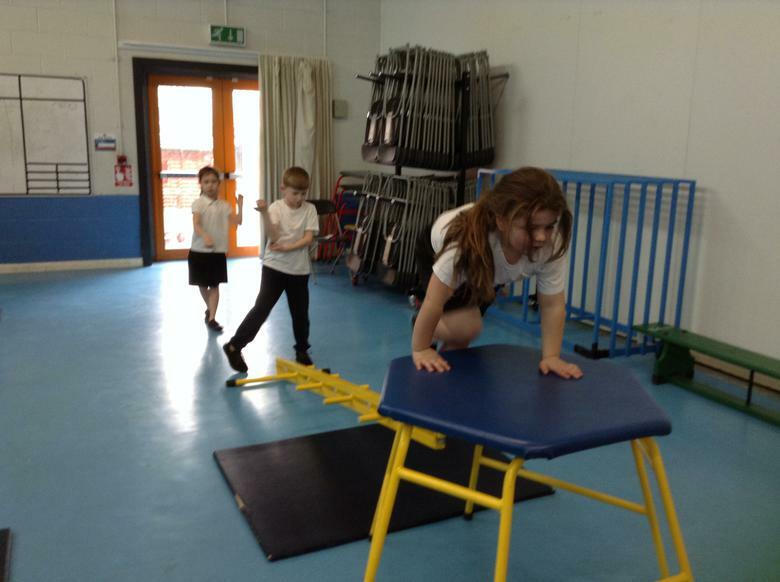 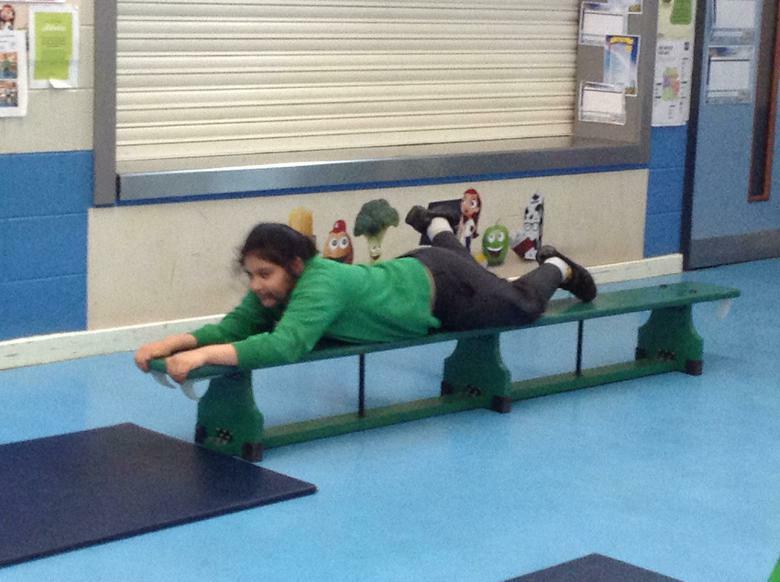 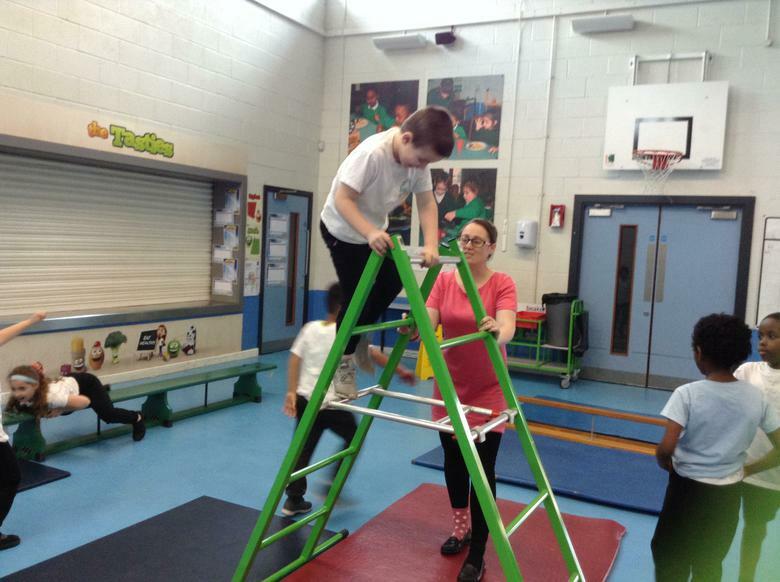 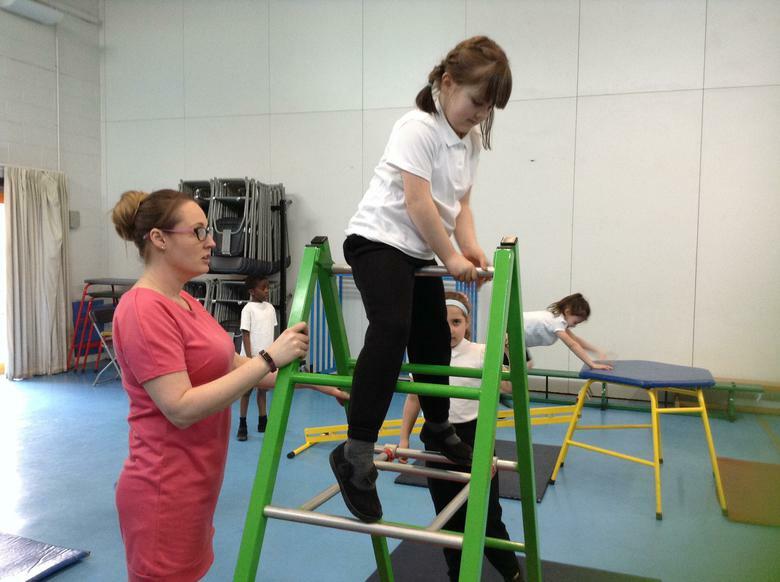 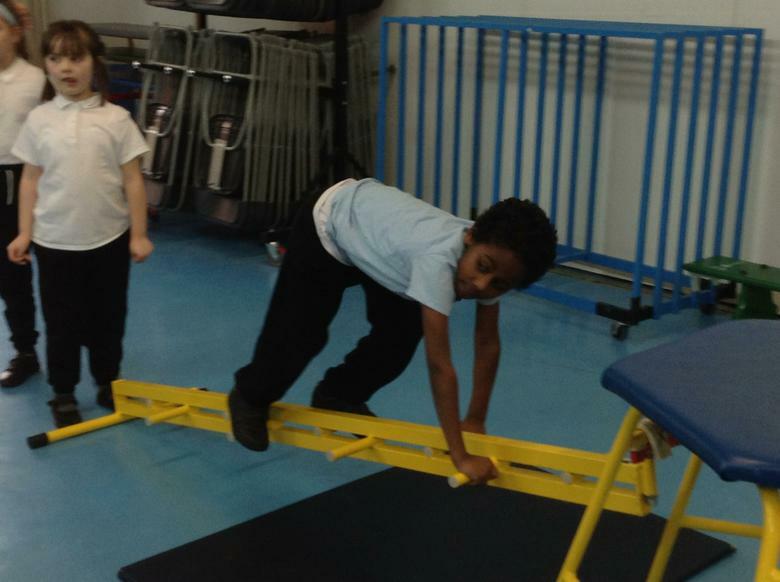 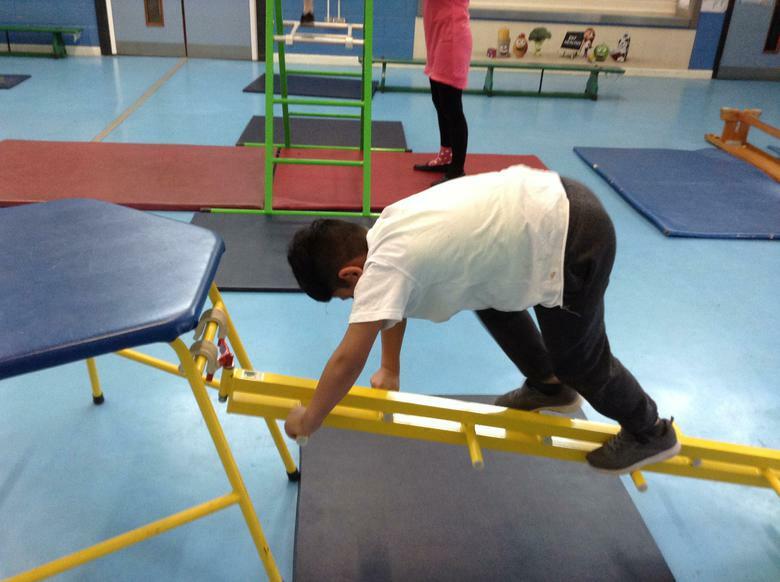 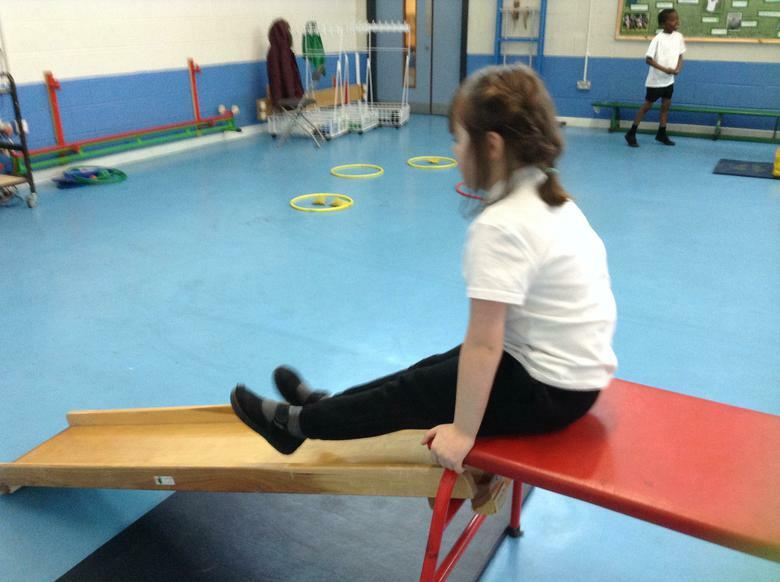 Spring 2 Week 4 - Today we experimented with different movements on apparatus, some of us were very brave and we all supported and encouraged our Hub friends. 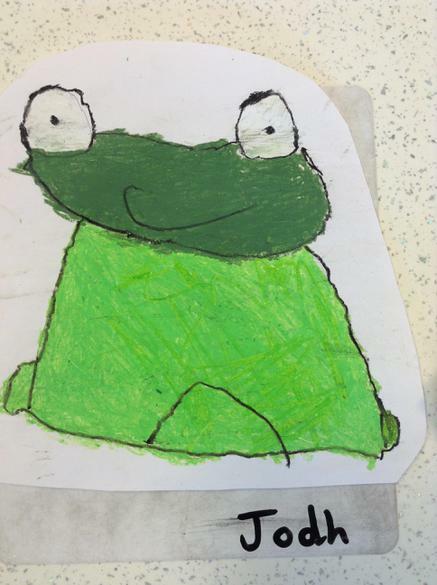 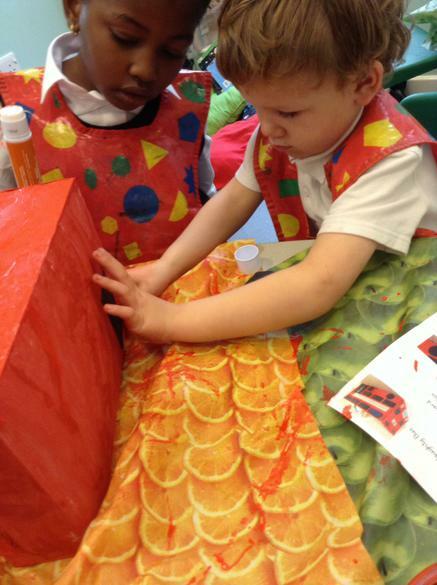 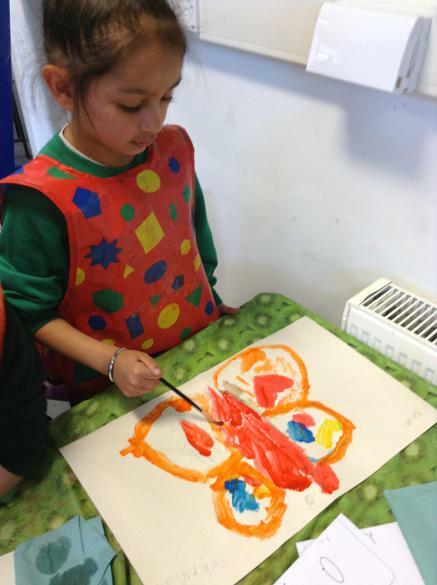 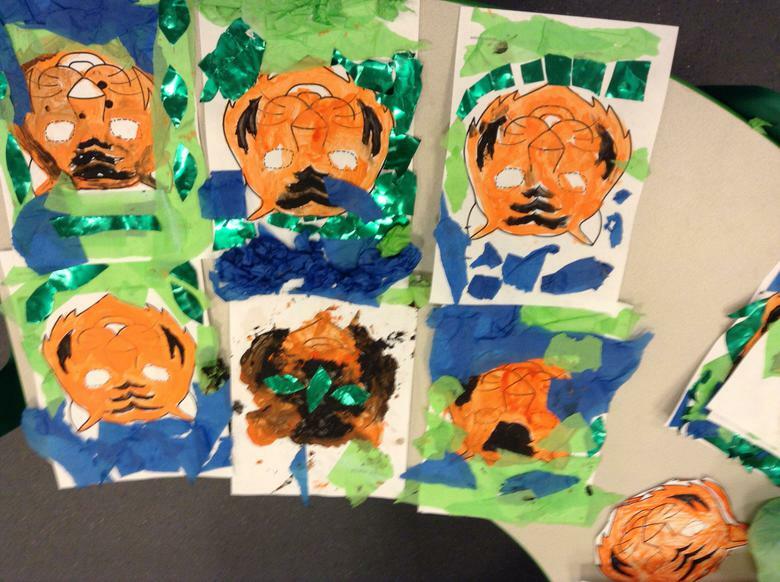 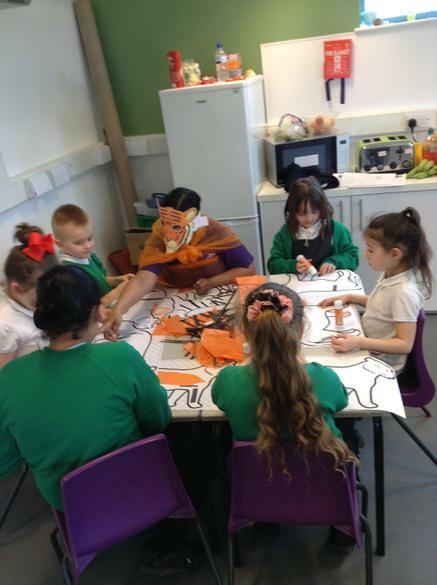 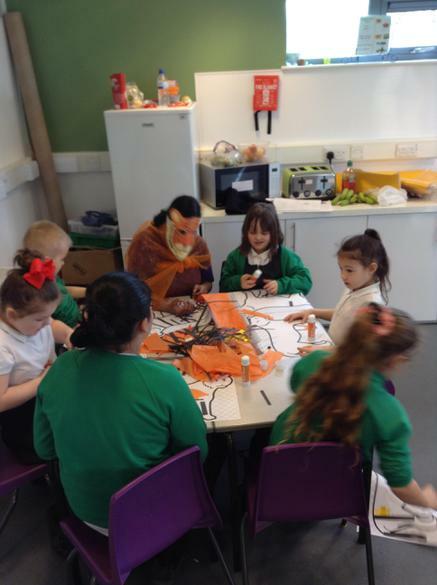 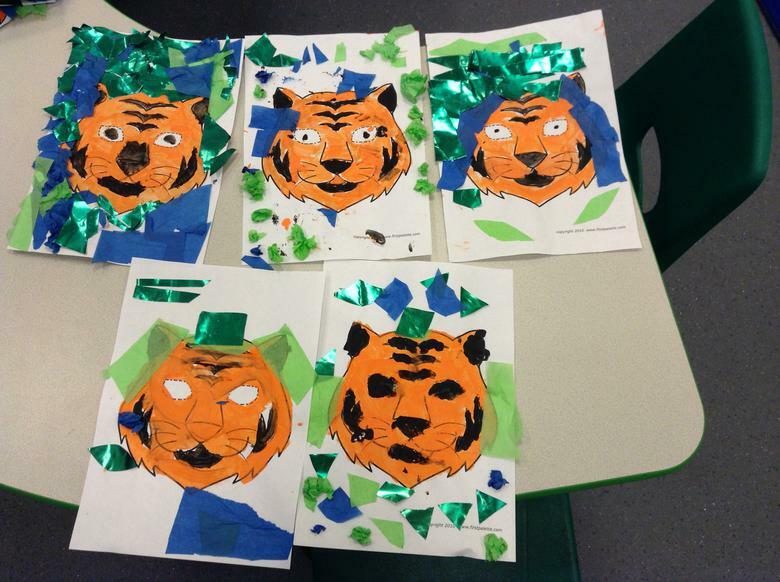 Spring 2 week 4 - In our morning sessions all week we have been sharing the 'Tiger who came to Tea' book'. 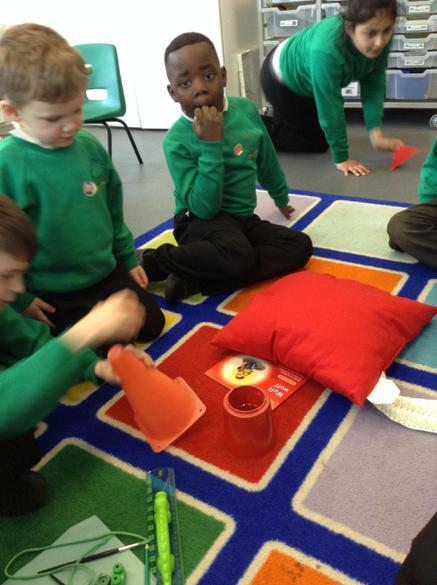 We had our own tea party with a special visitor and used the photographs to write a recount in English. 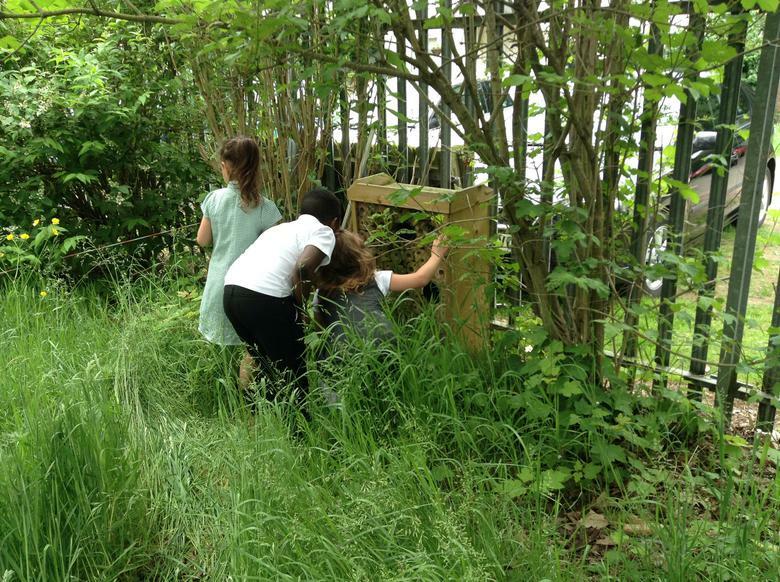 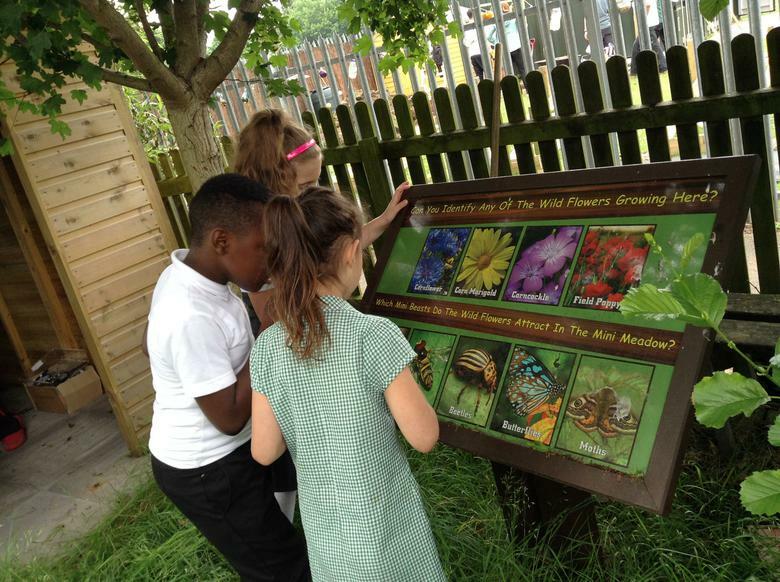 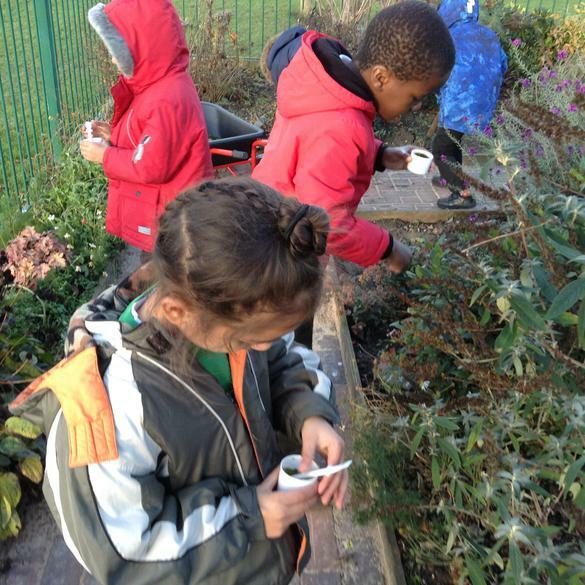 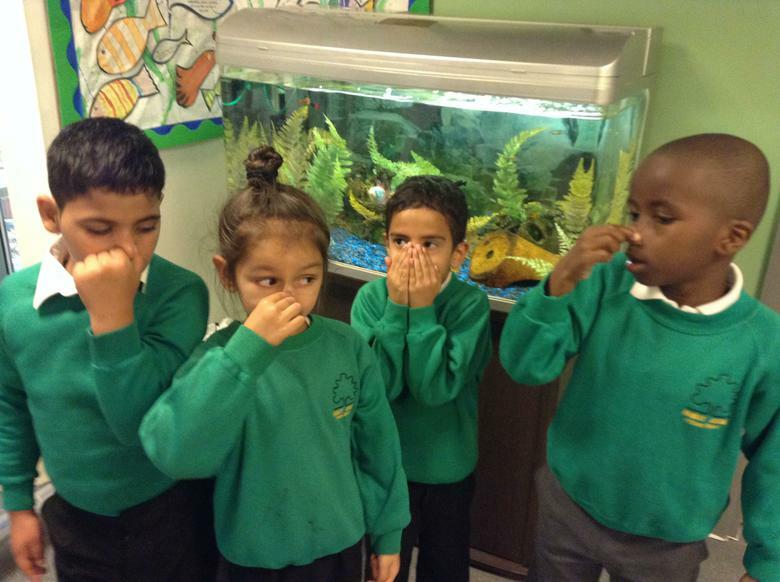 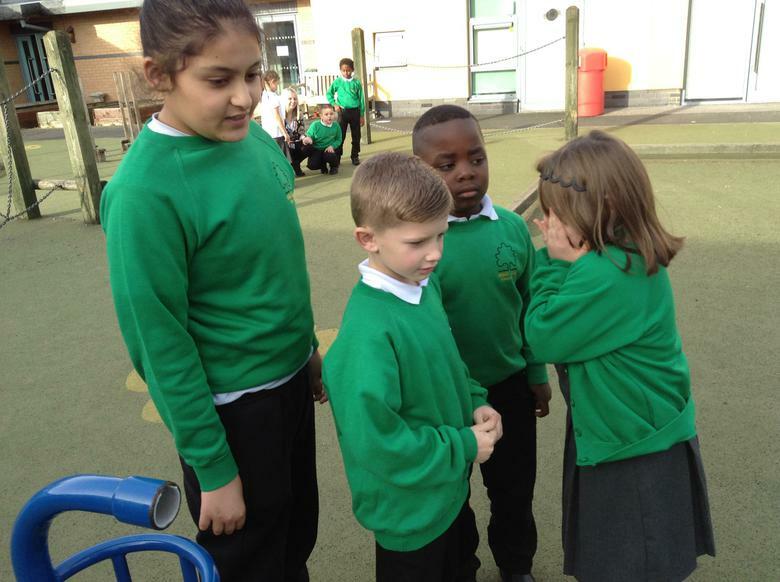 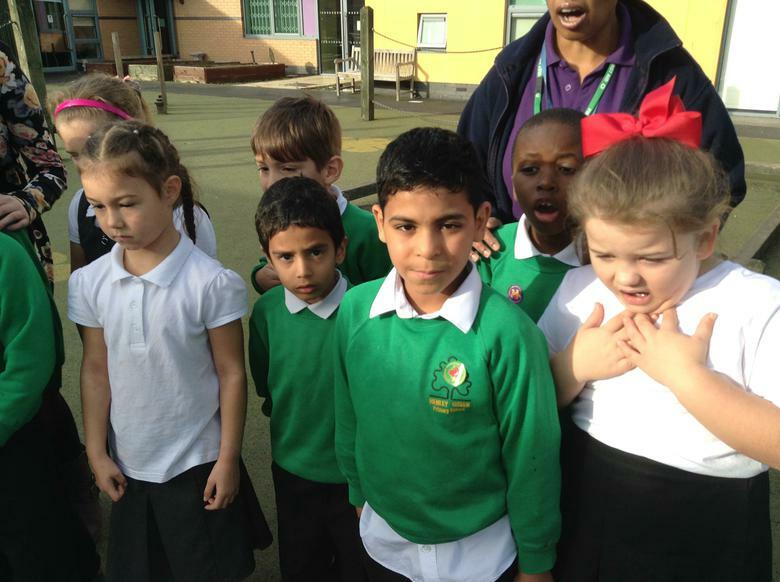 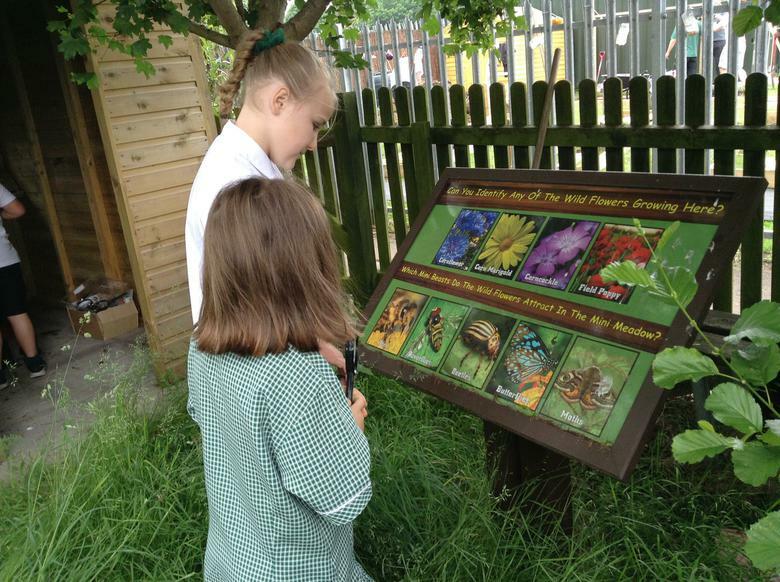 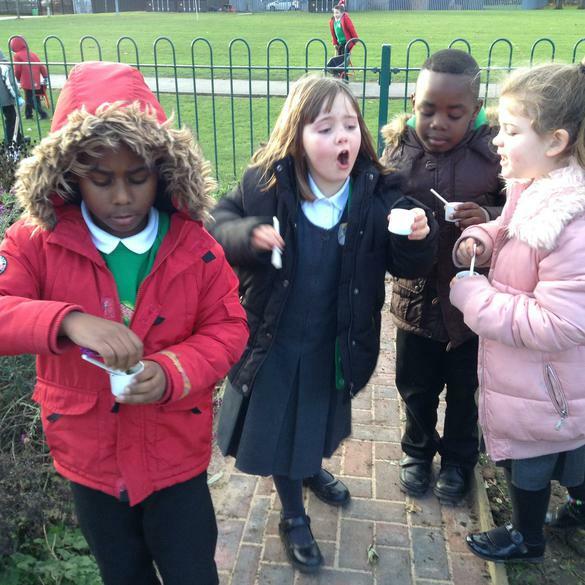 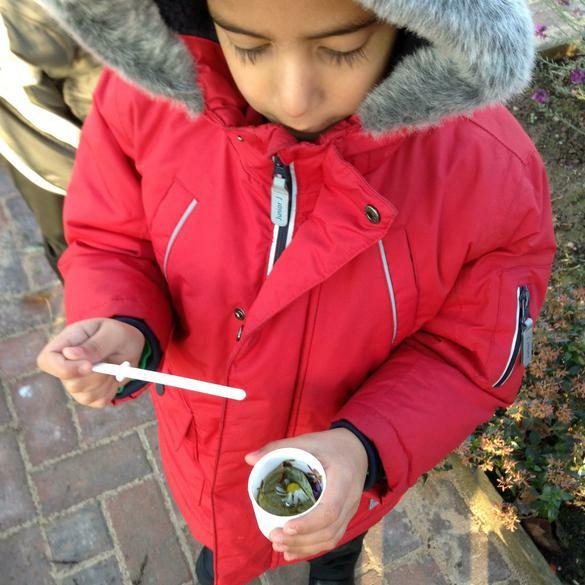 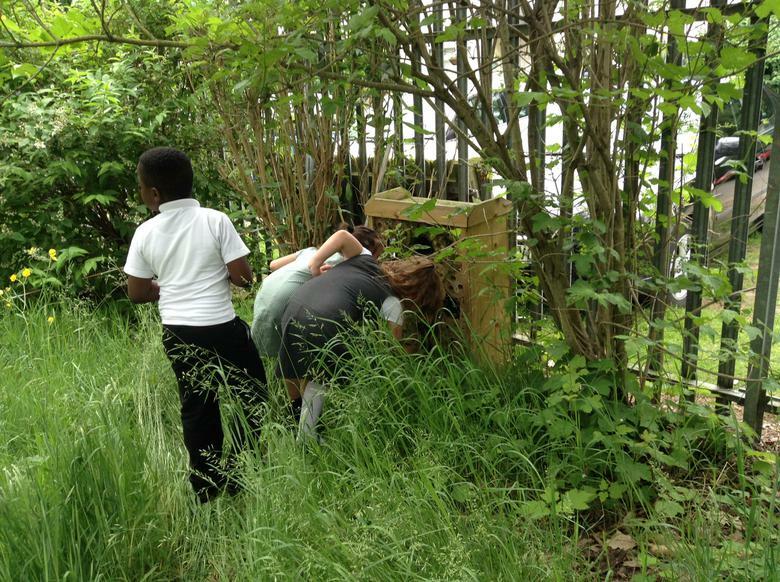 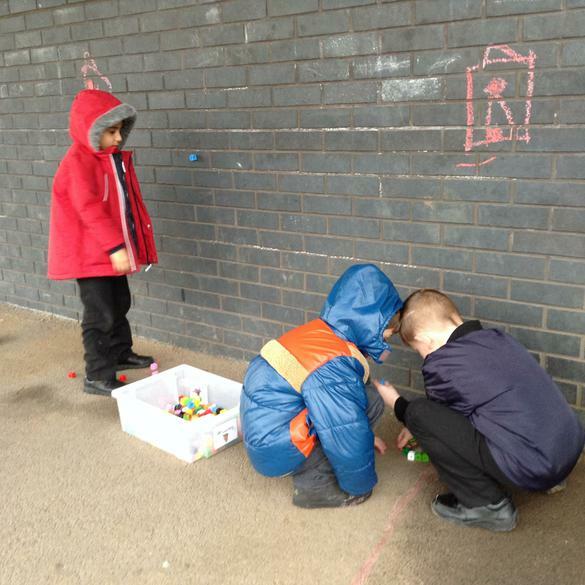 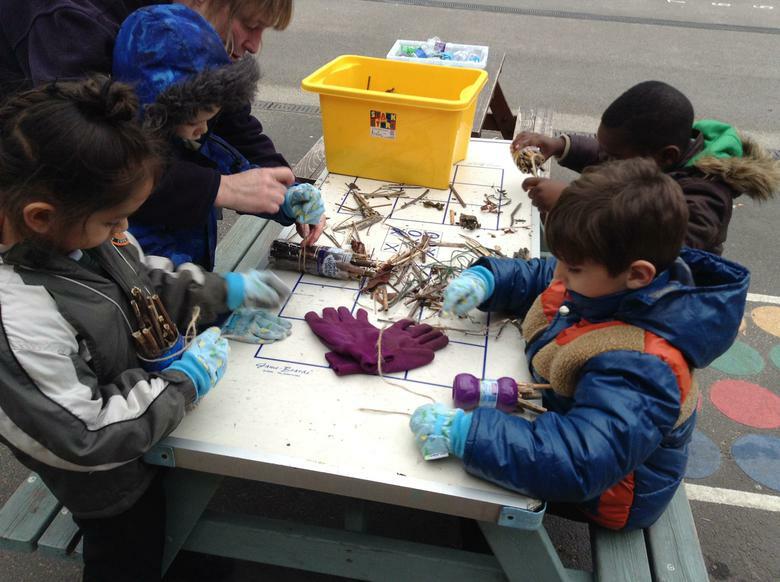 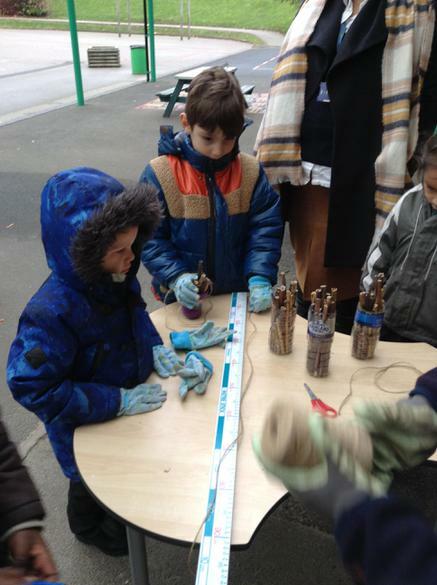 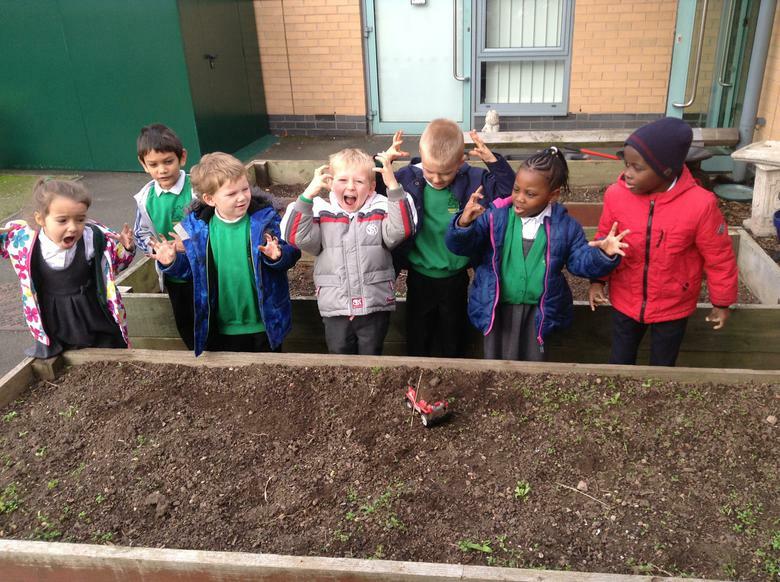 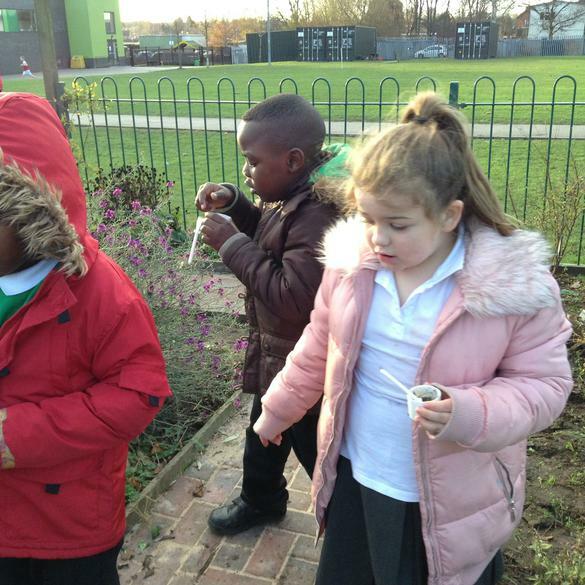 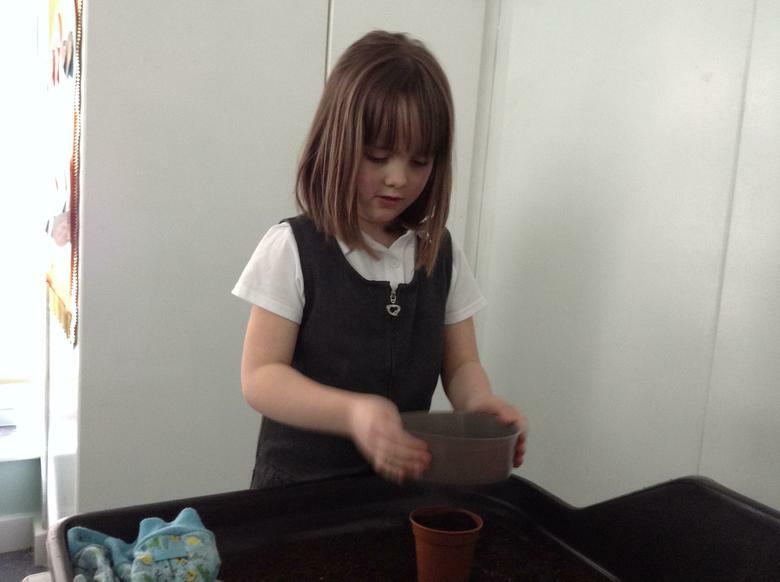 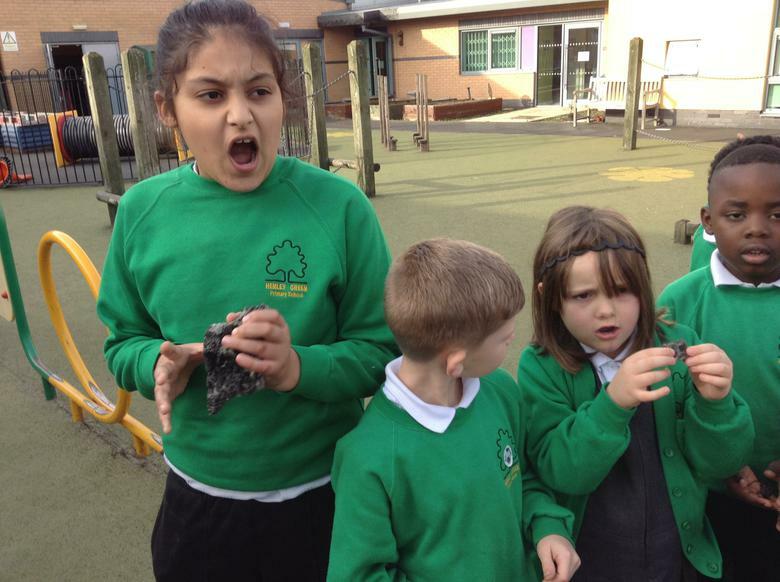 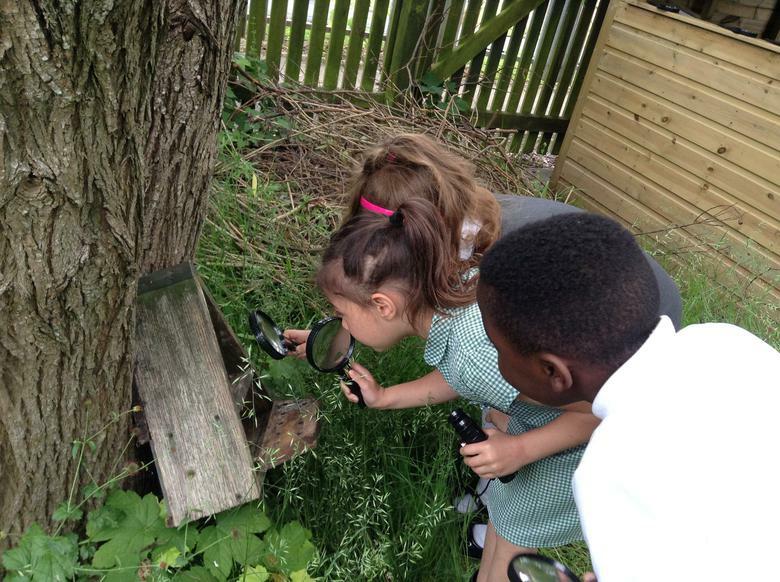 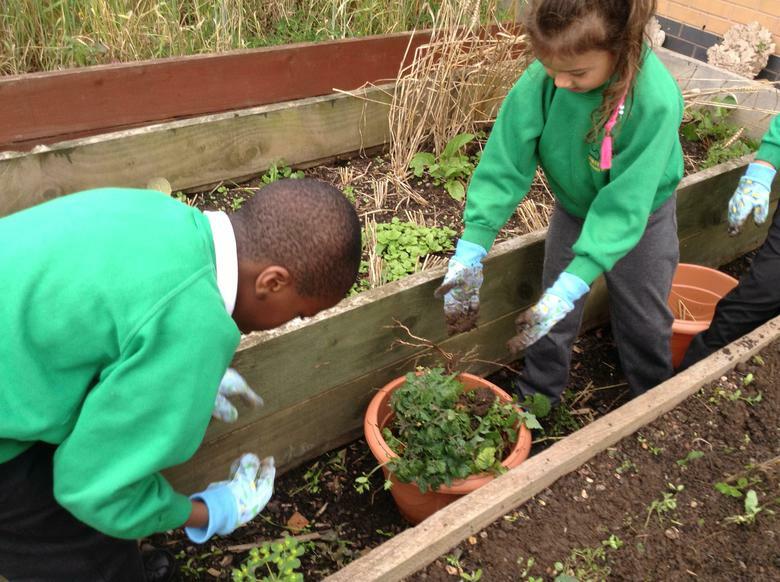 Spring 1 Week 1: We went out into the friendship garden and used our senses to make potions. 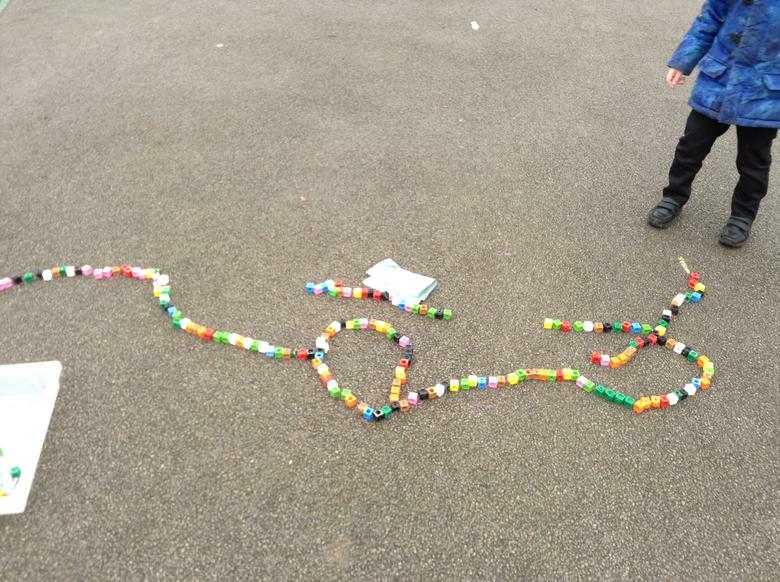 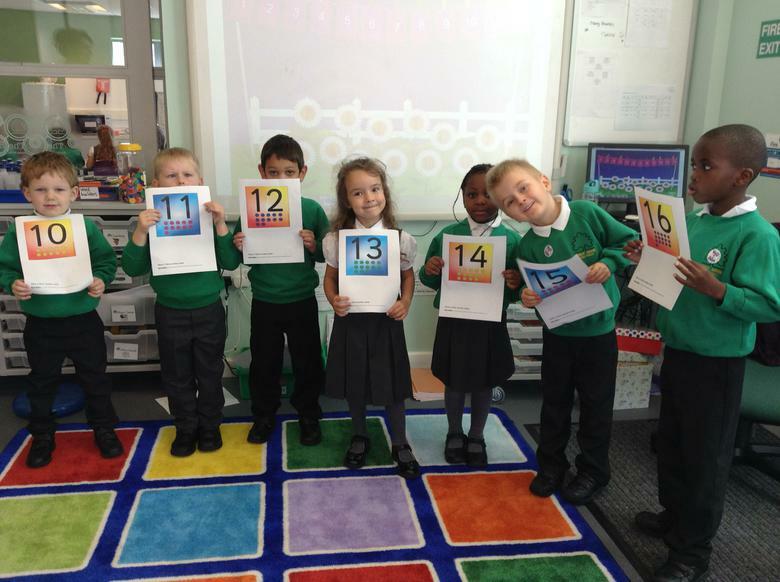 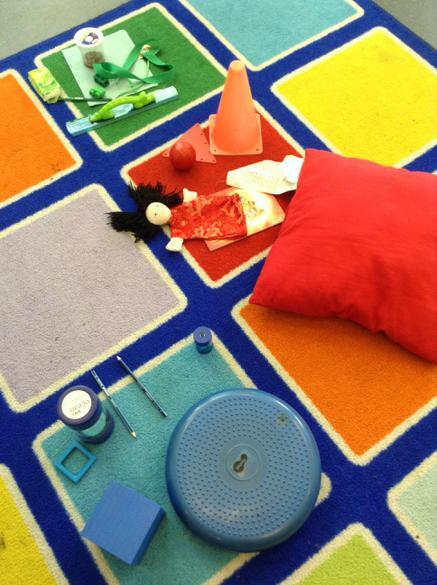 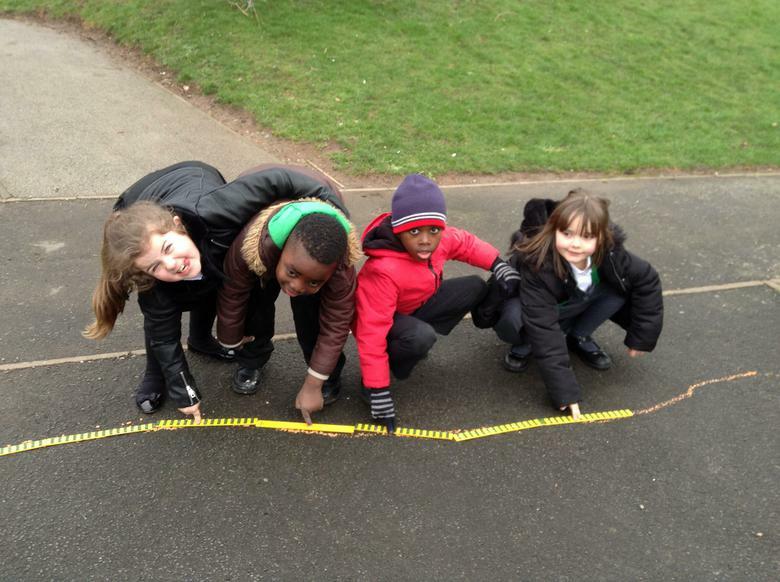 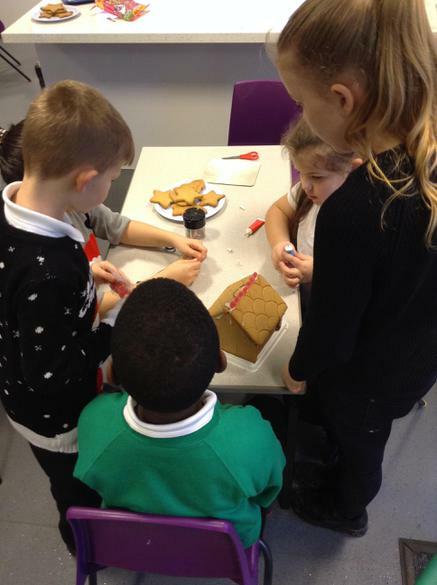 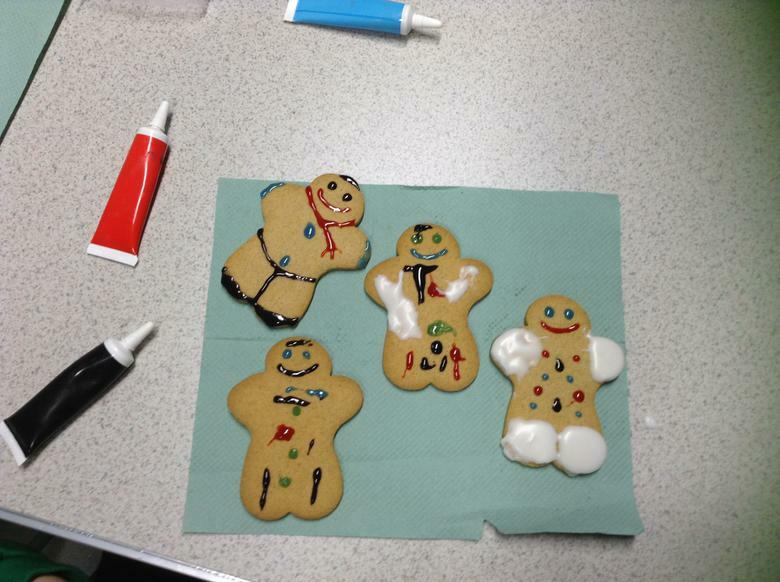 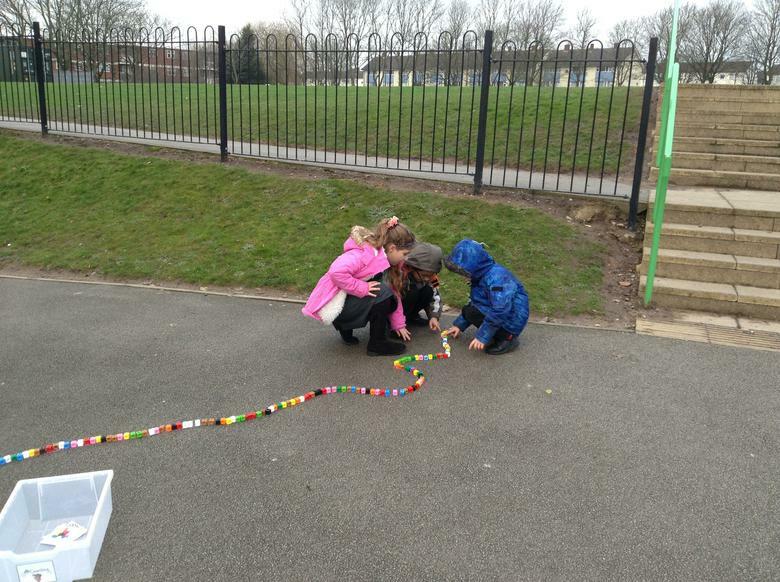 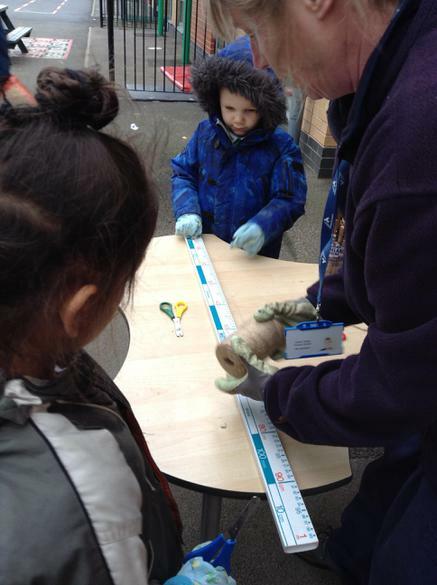 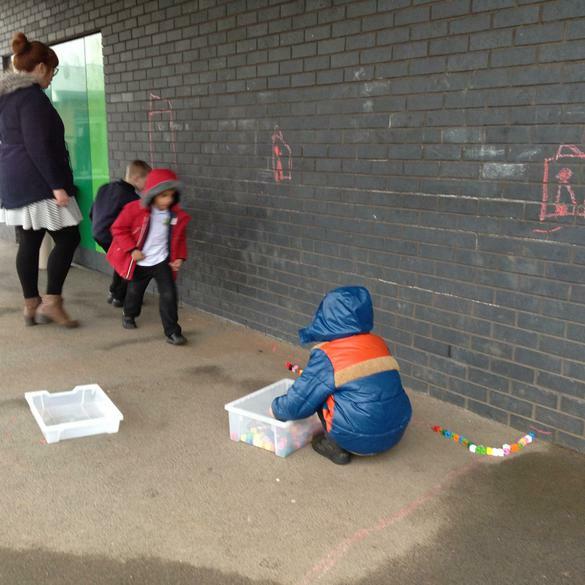 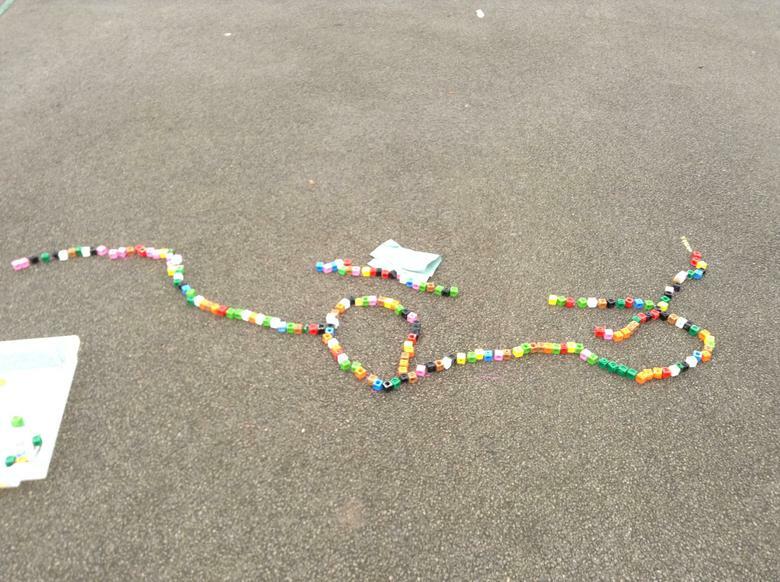 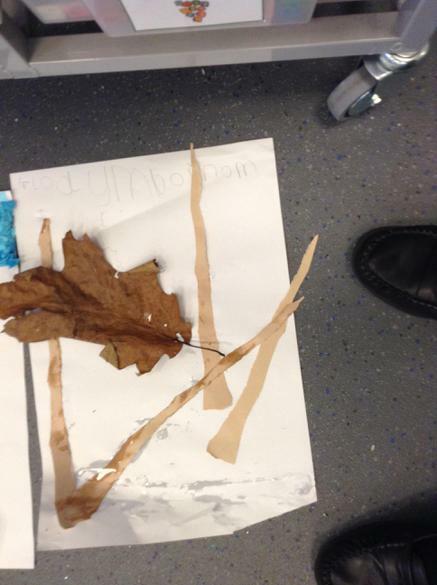 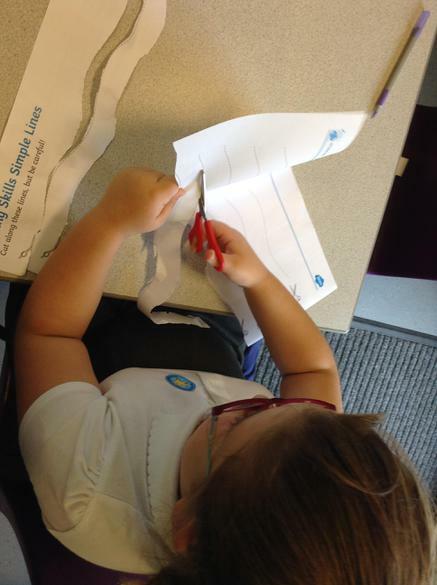 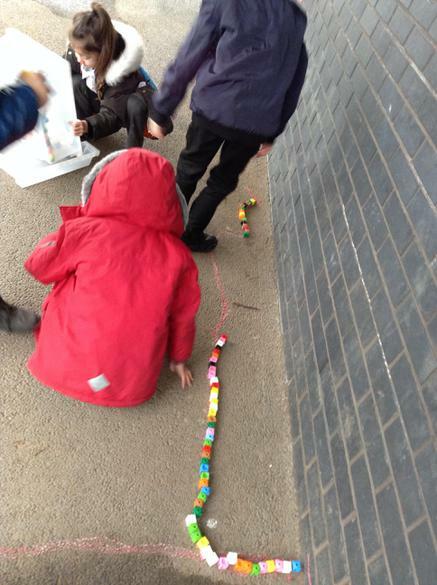 Spring 1 Week 2: We used non standard units of measure such as cubes and rulers to measure our Gingerbread man trails. 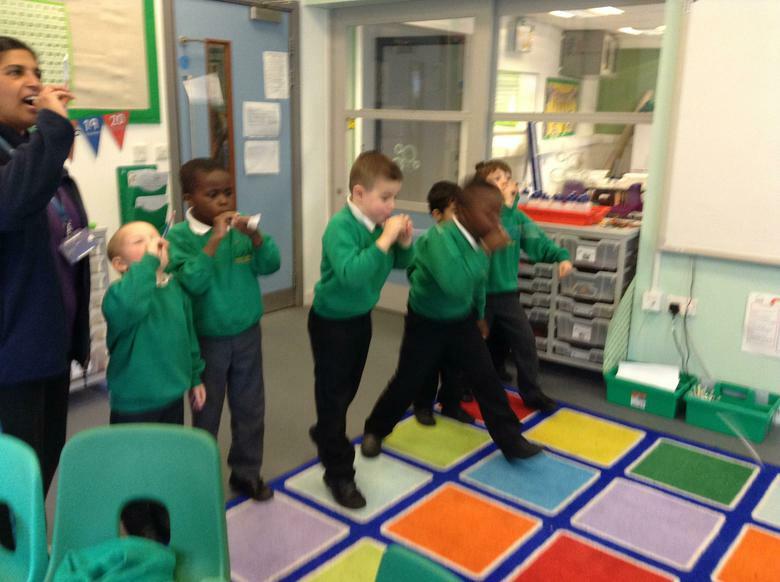 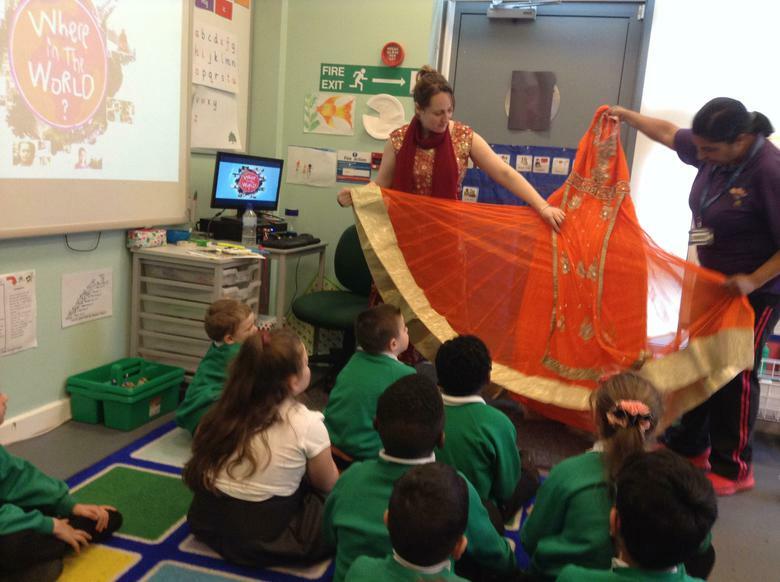 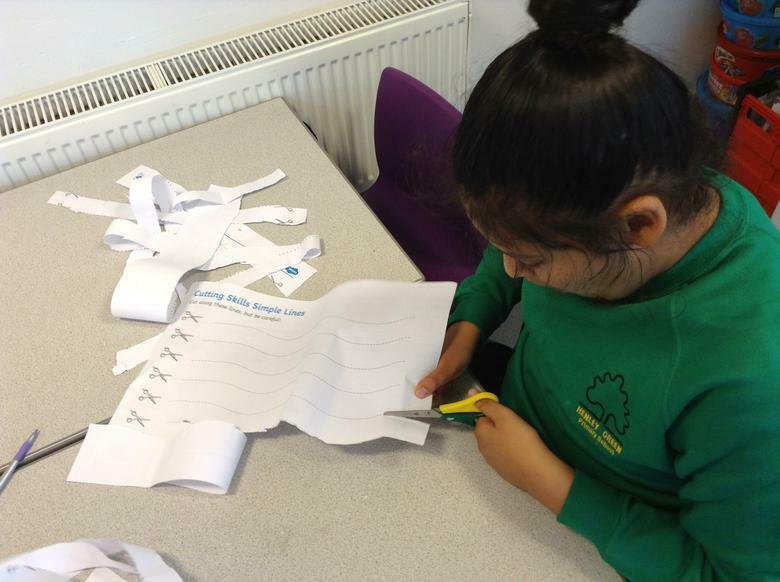 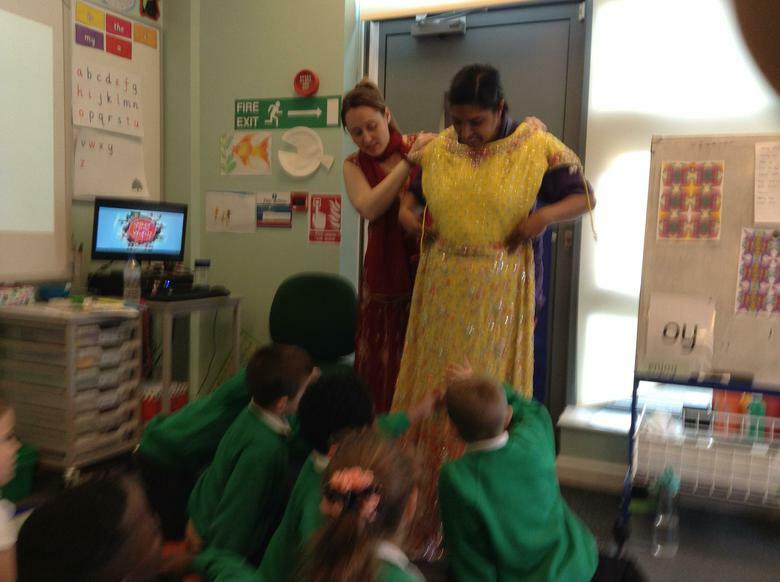 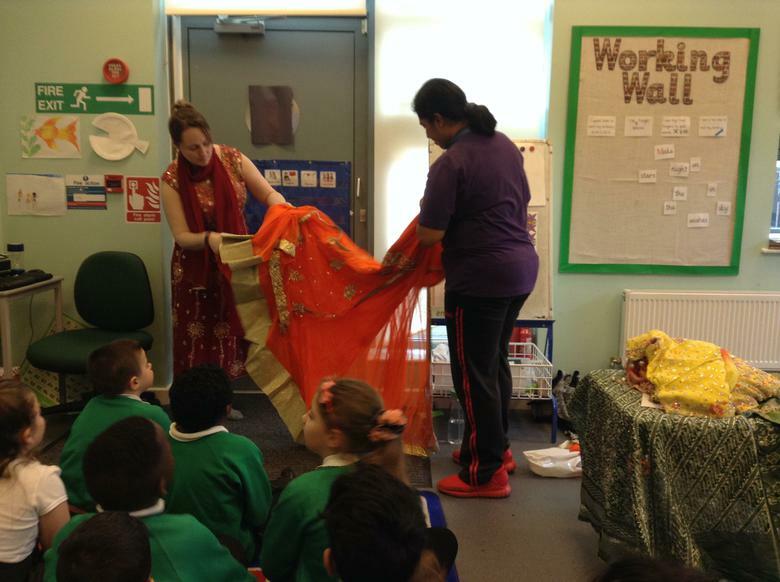 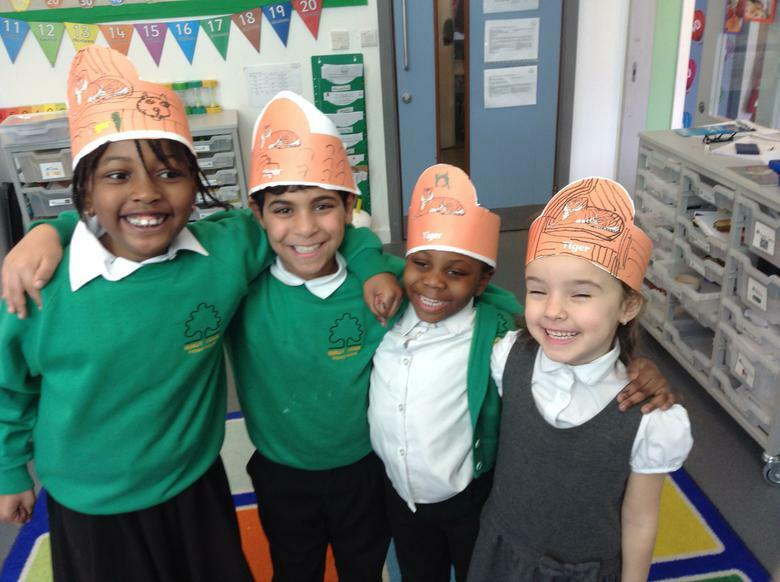 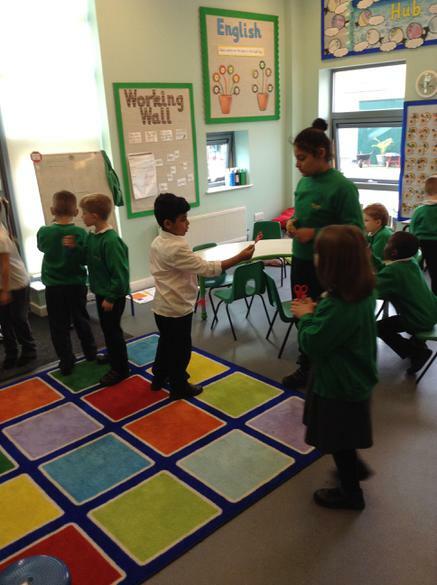 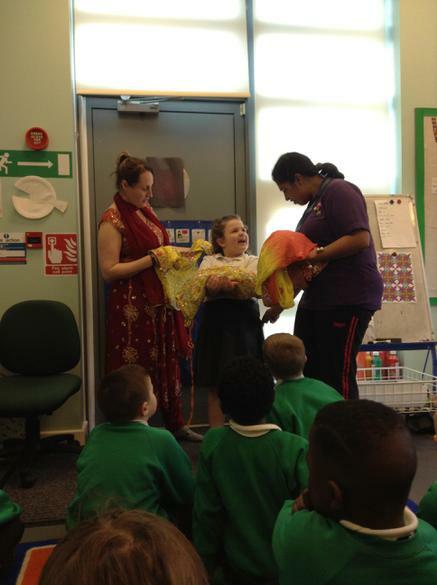 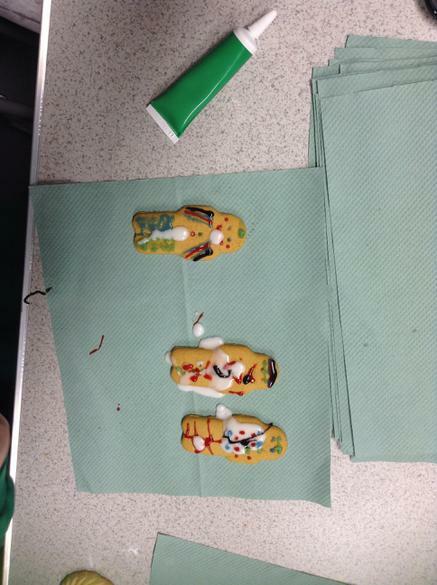 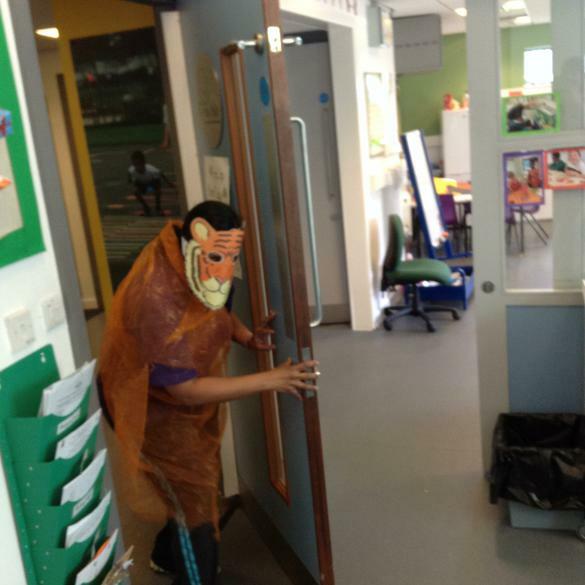 Spring 1 Week 3: As part of book week we learnt all about India and how they dress. 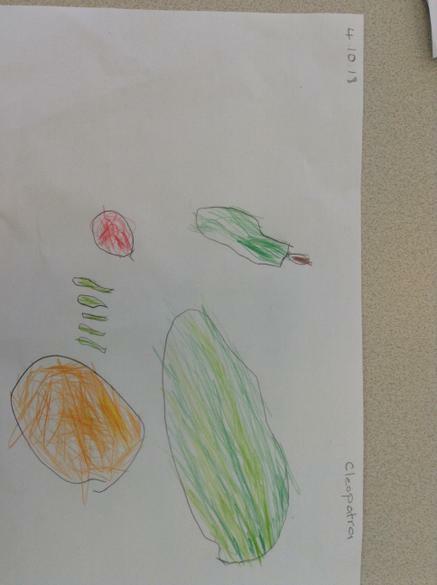 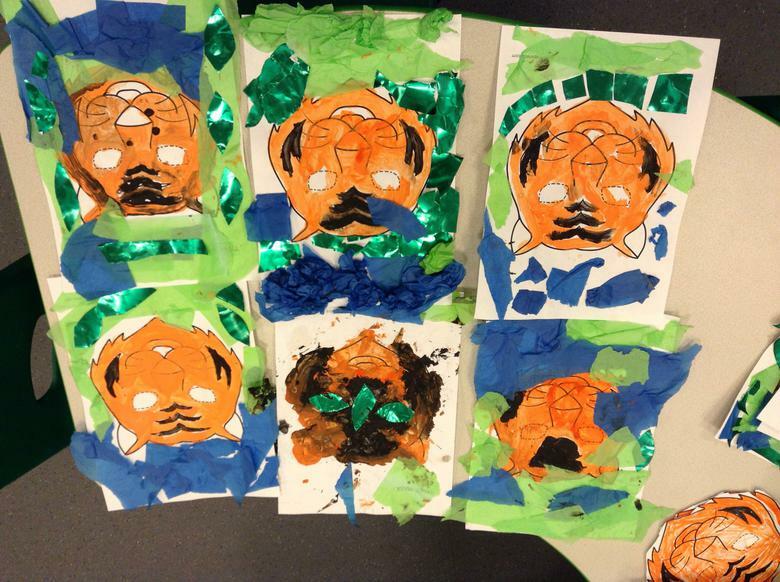 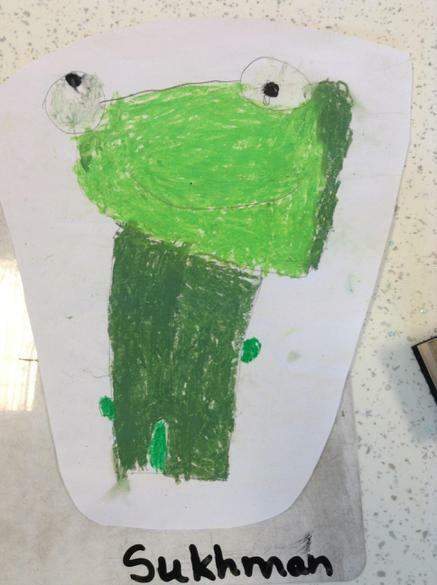 We also did some art work linked to our book for the week, Cinnamon by Neil Gaiman. 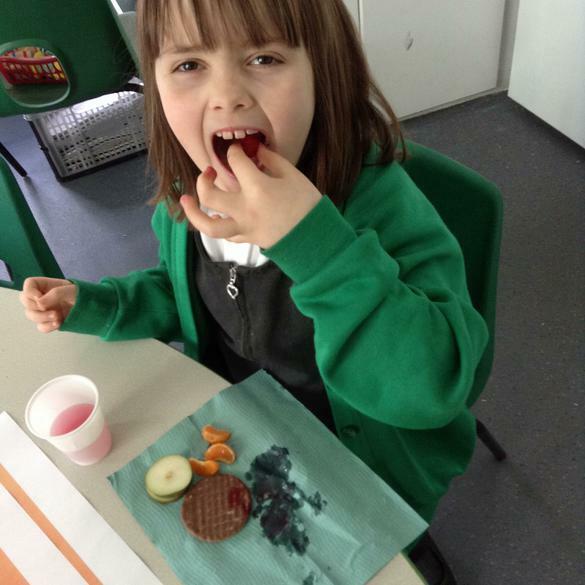 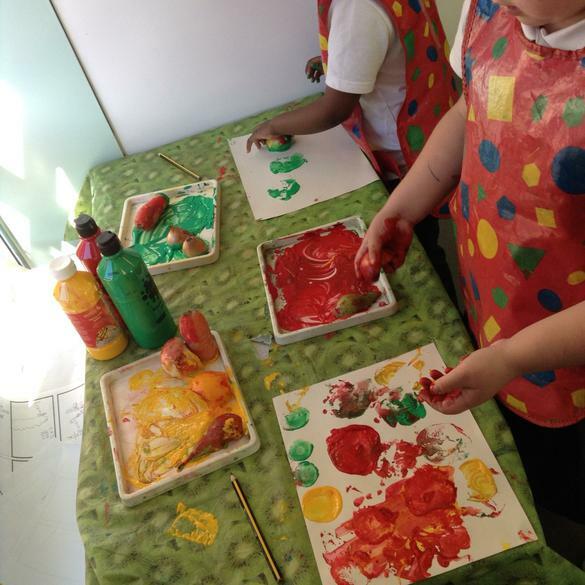 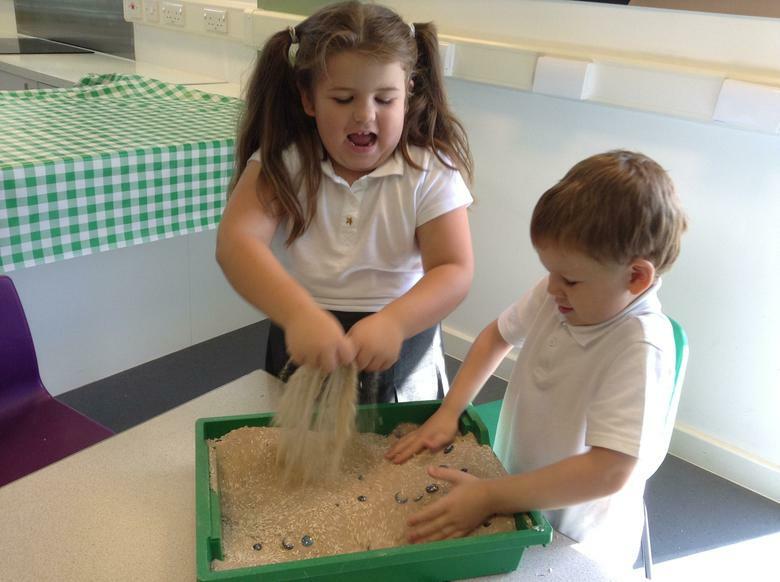 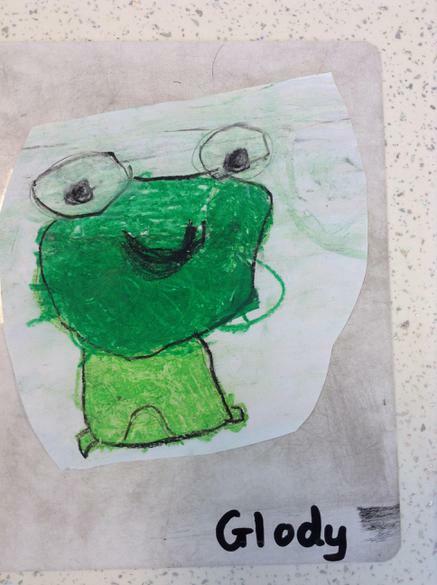 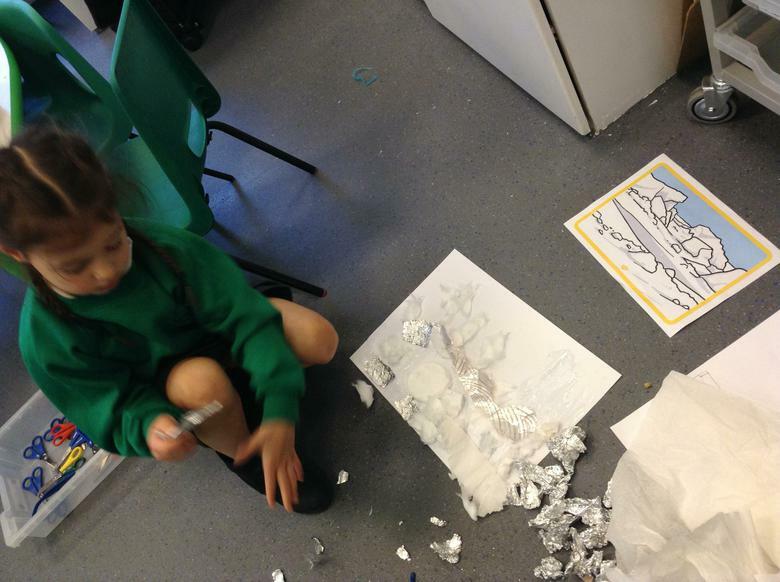 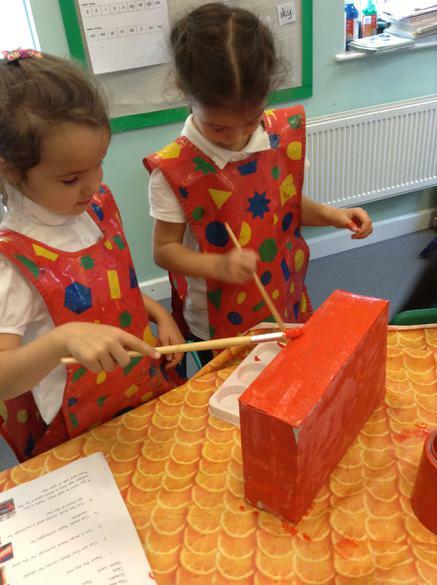 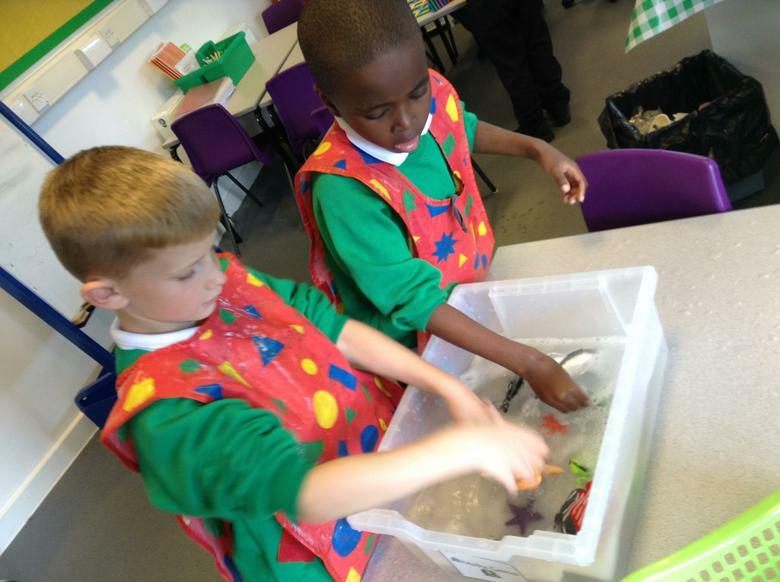 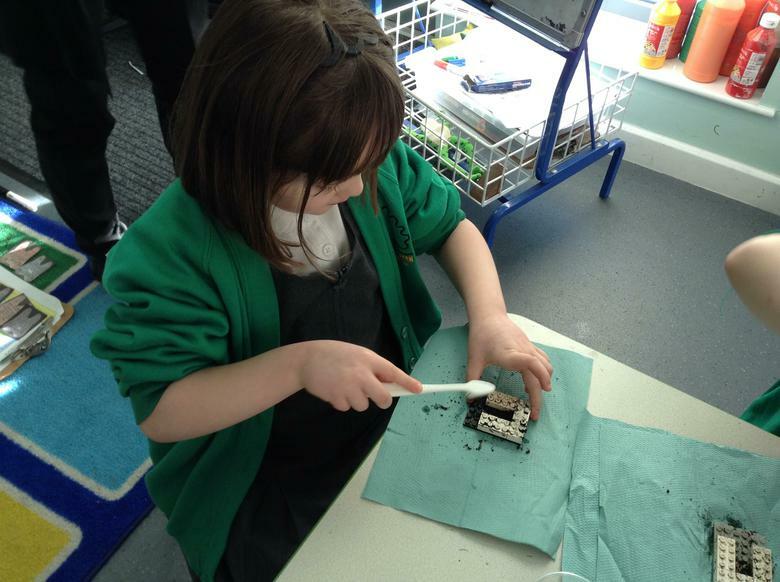 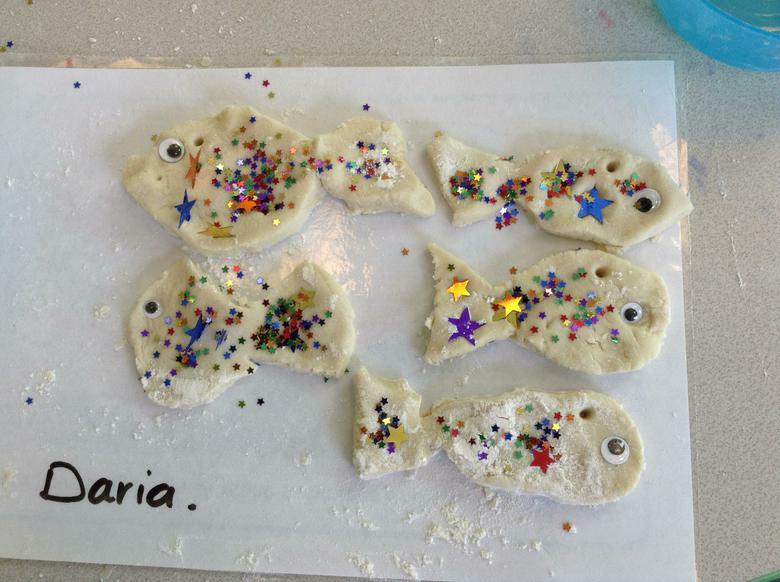 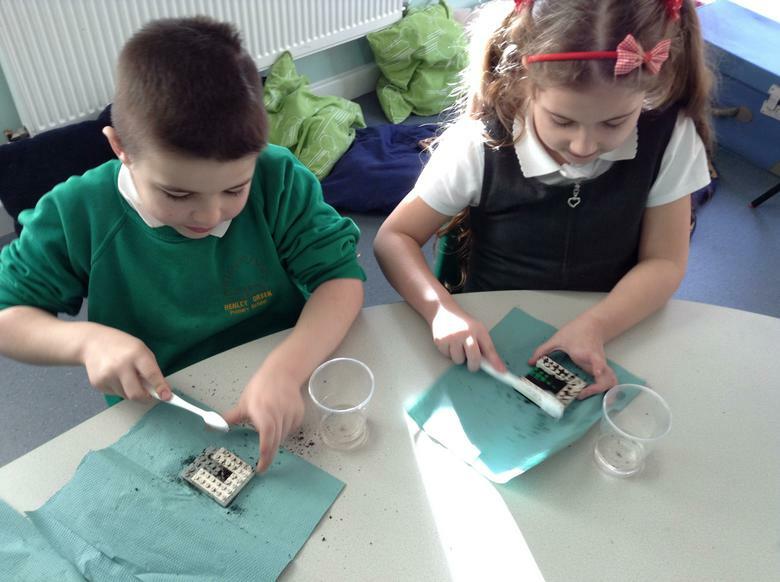 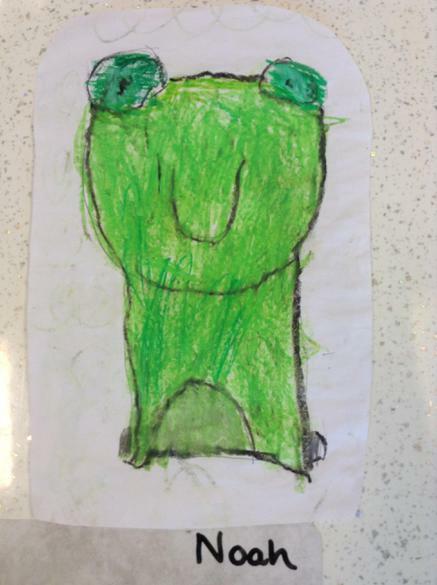 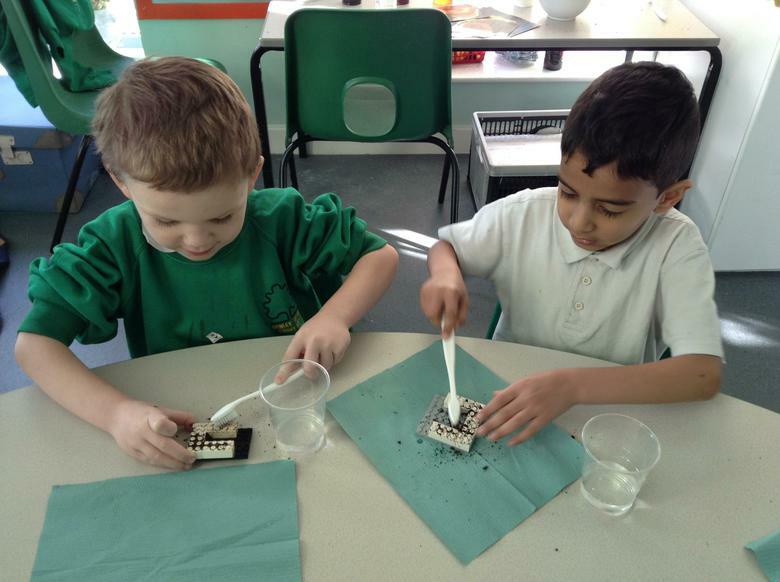 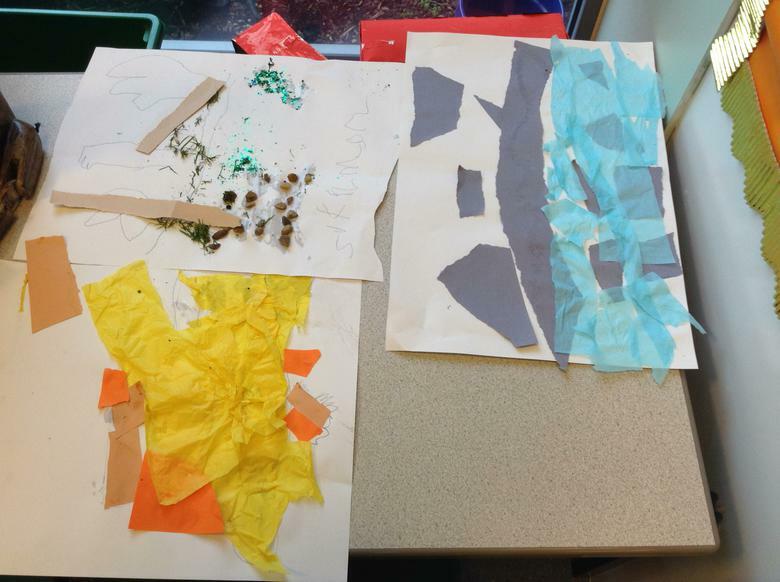 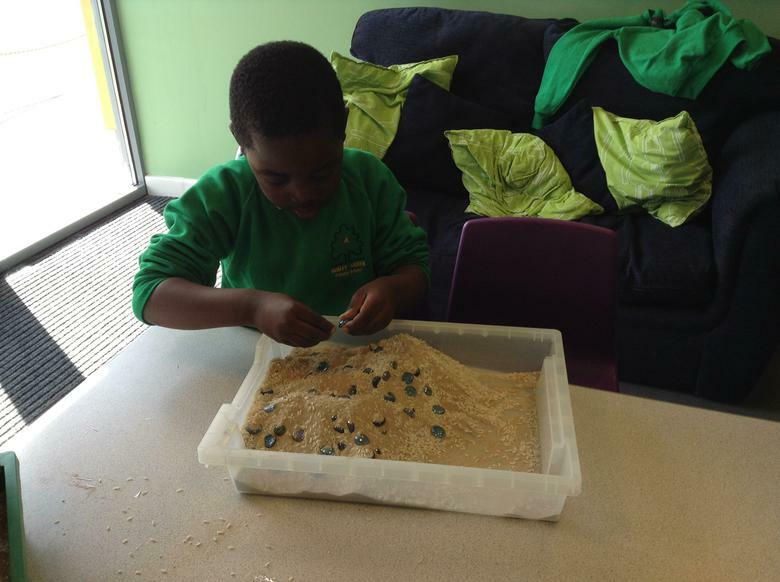 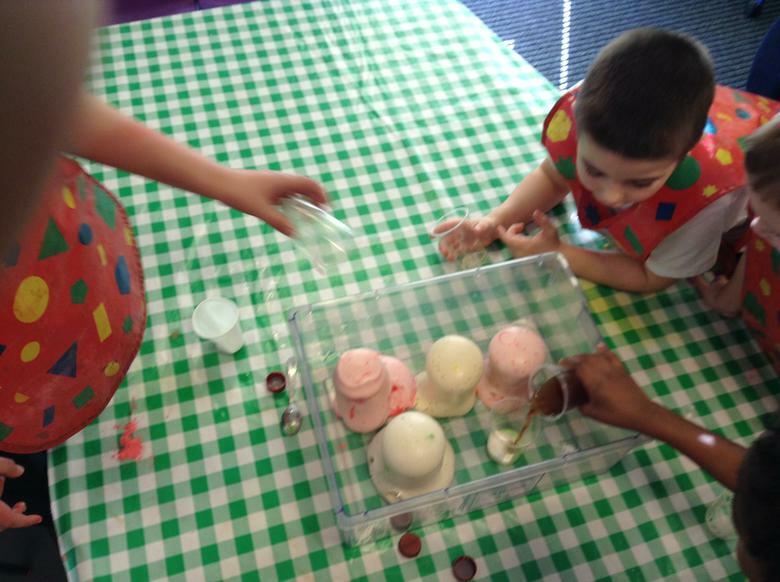 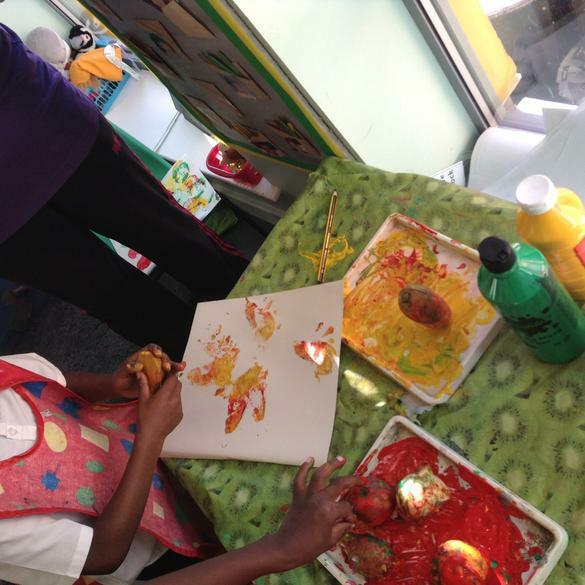 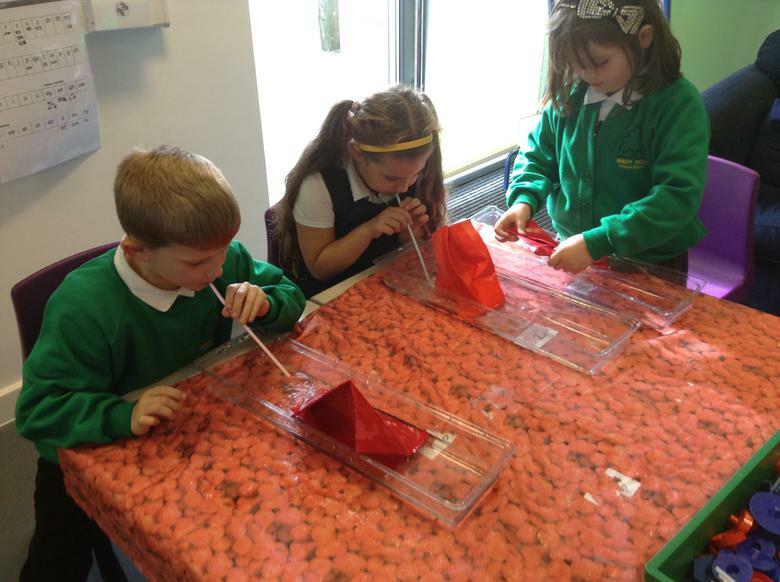 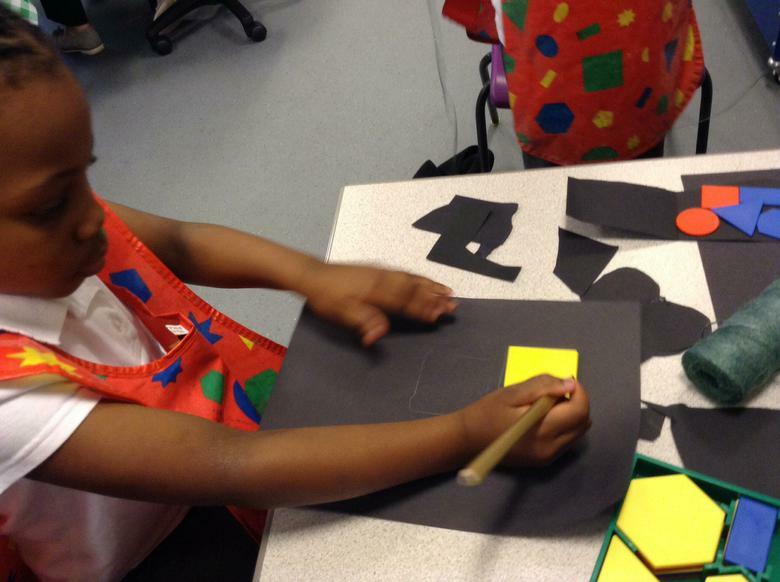 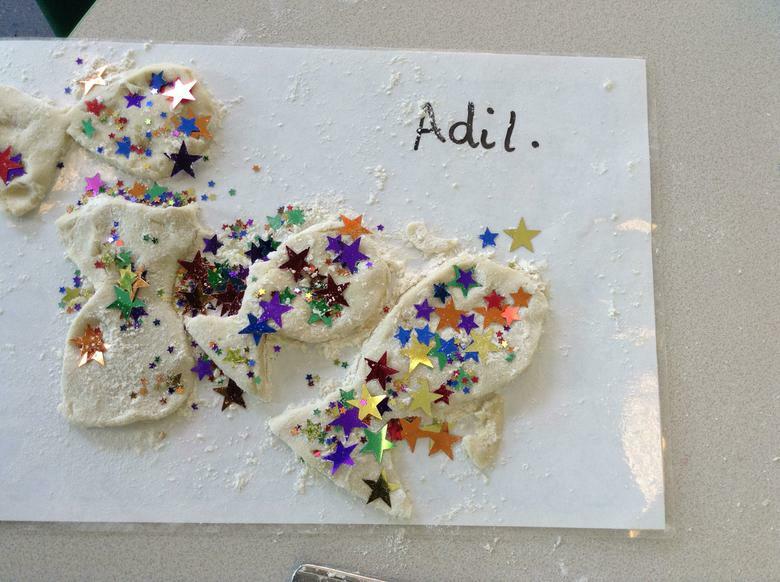 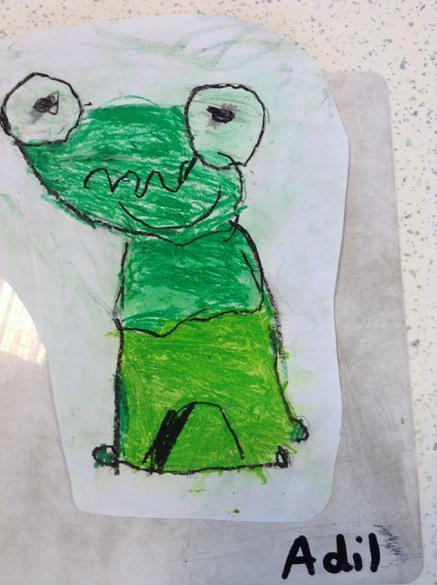 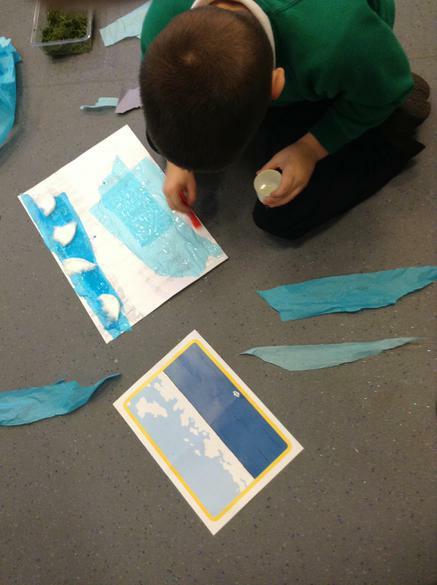 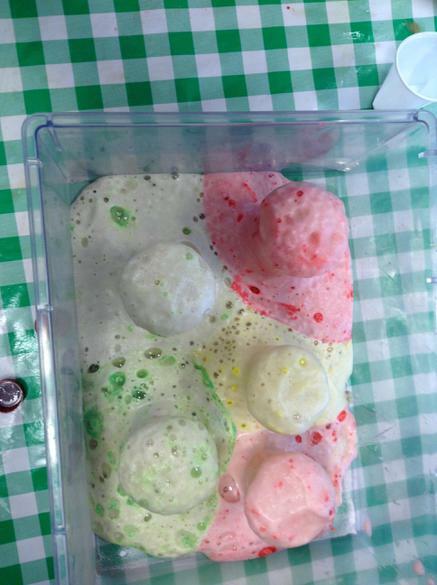 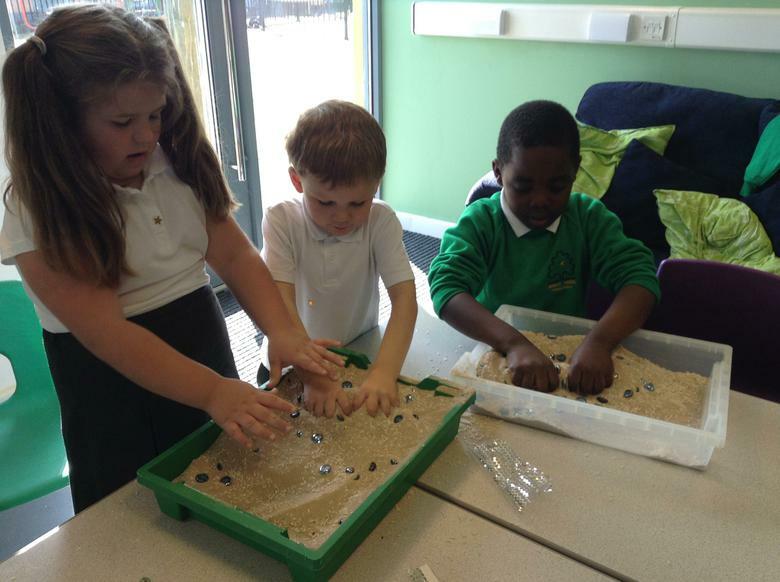 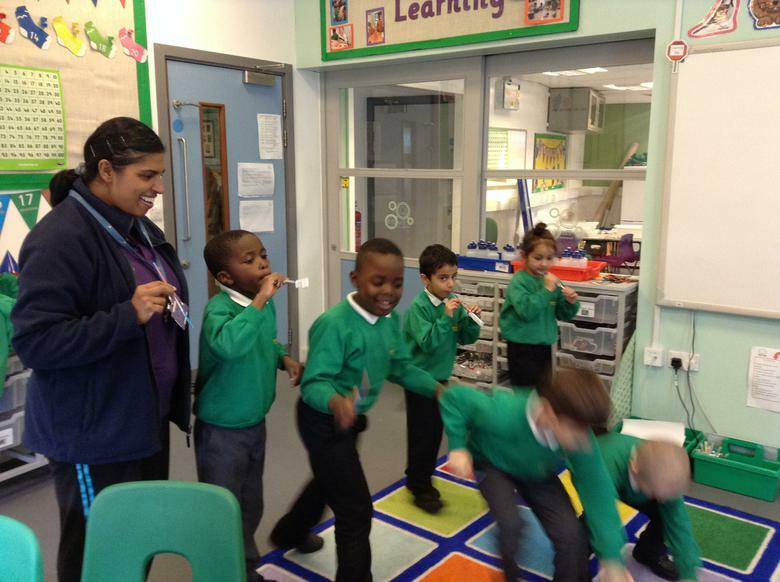 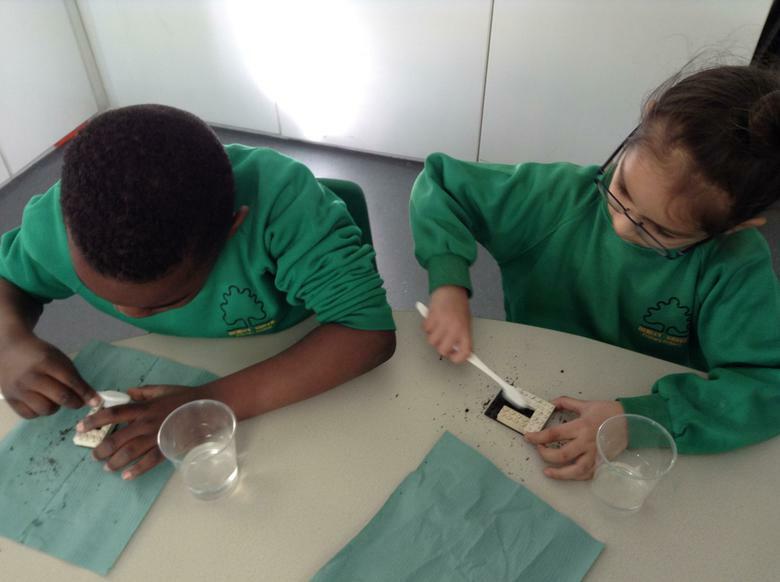 Spring 1 Week 4: We learnt all about how to keep our teeth healthy, explored different textures and made explosions. 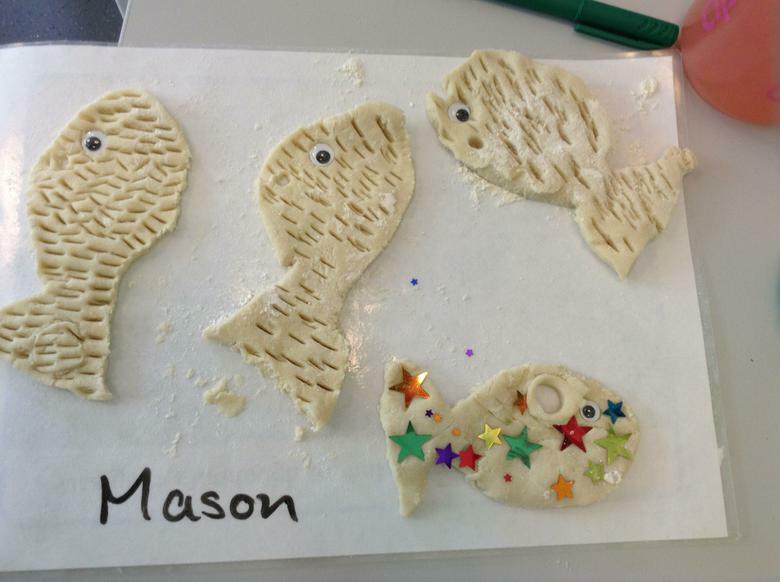 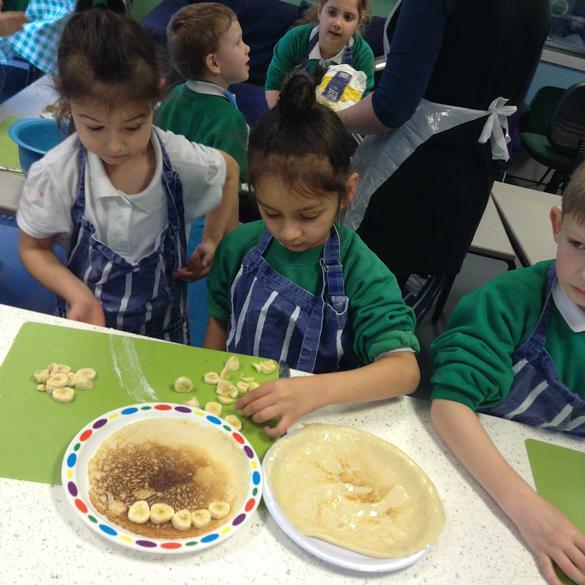 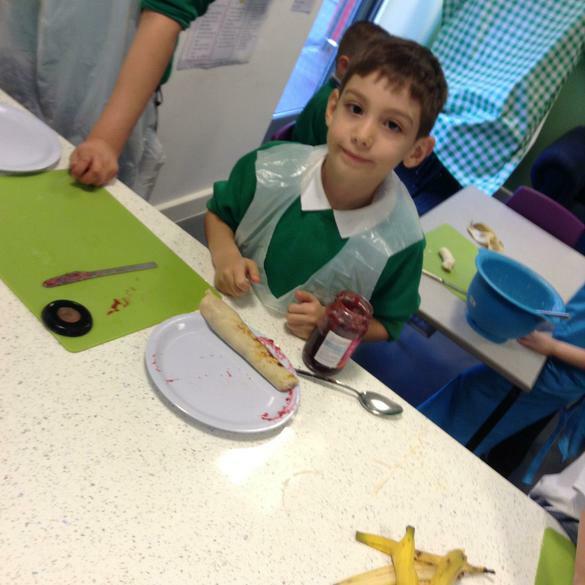 Spring 1 week 5: For Pancake day as a group we all made pancakes and tasted them all together. 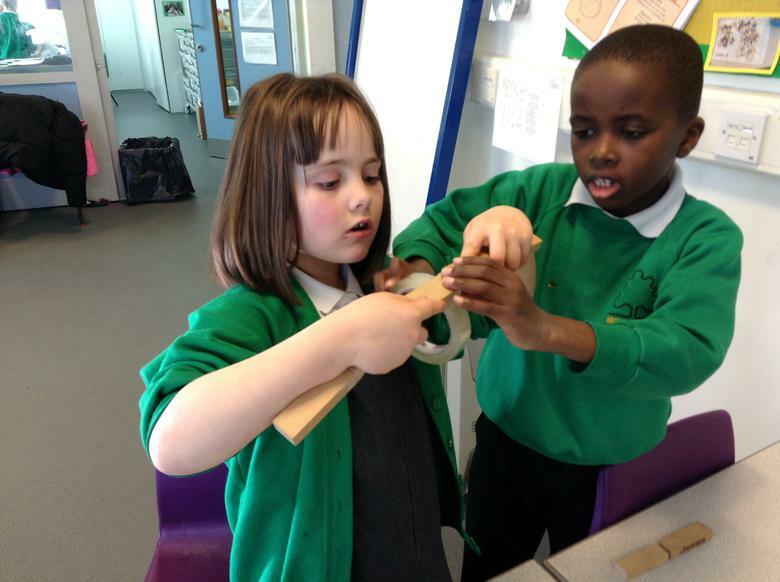 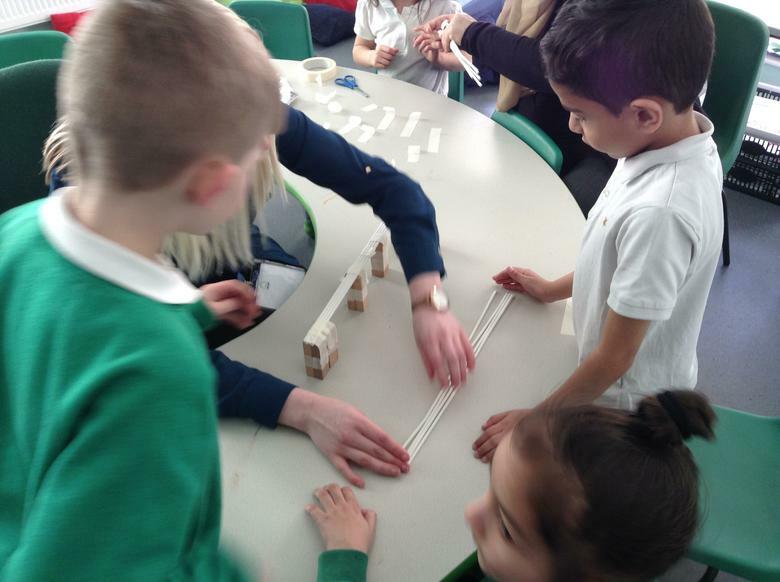 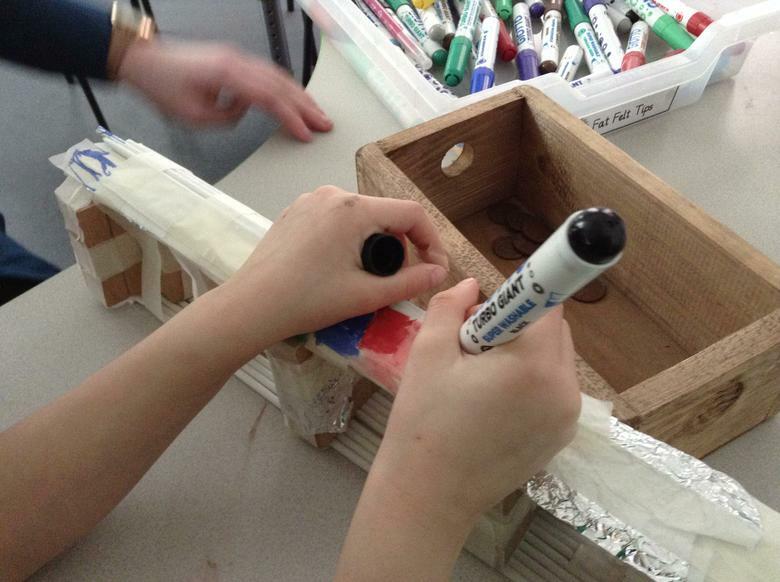 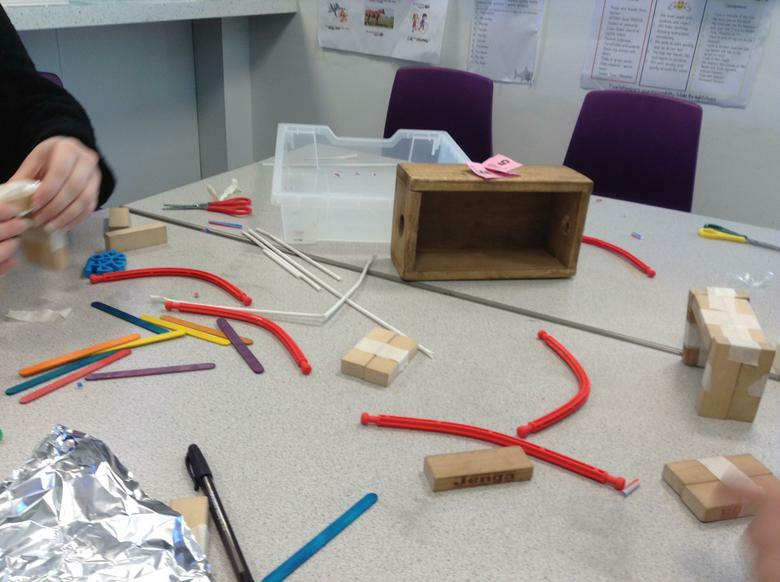 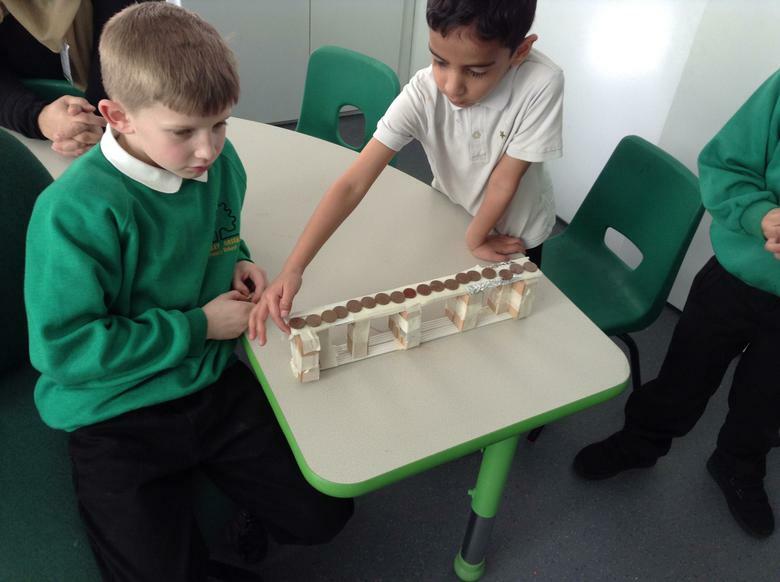 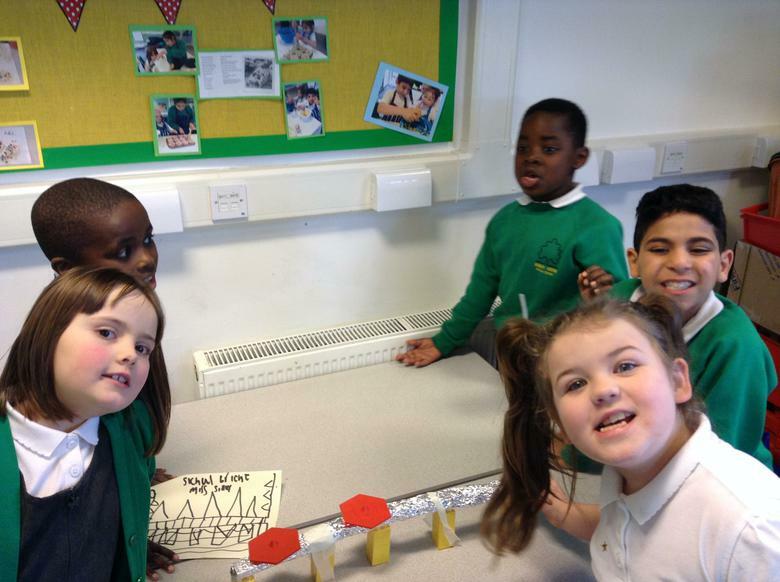 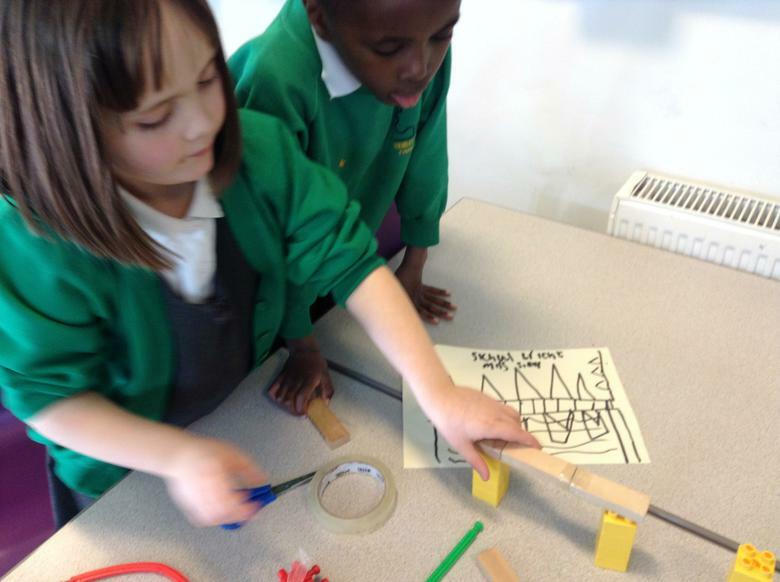 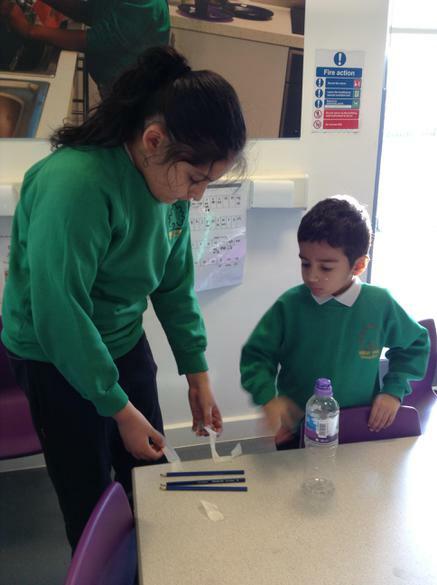 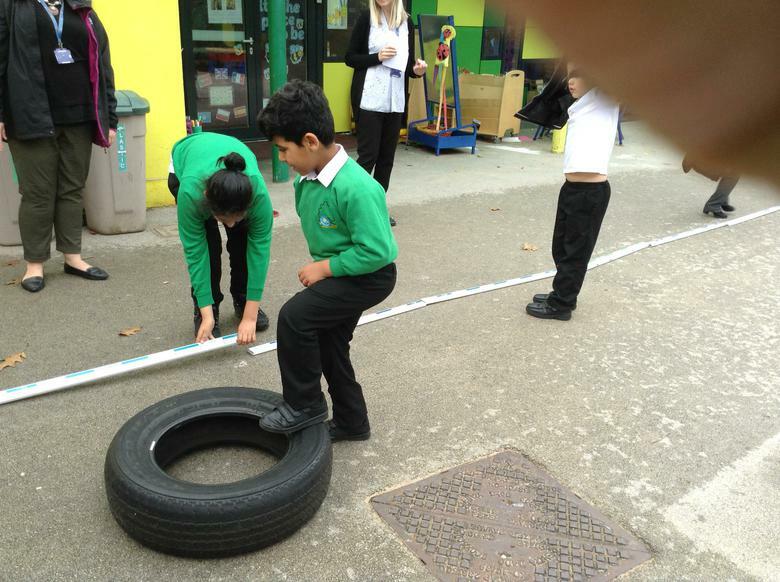 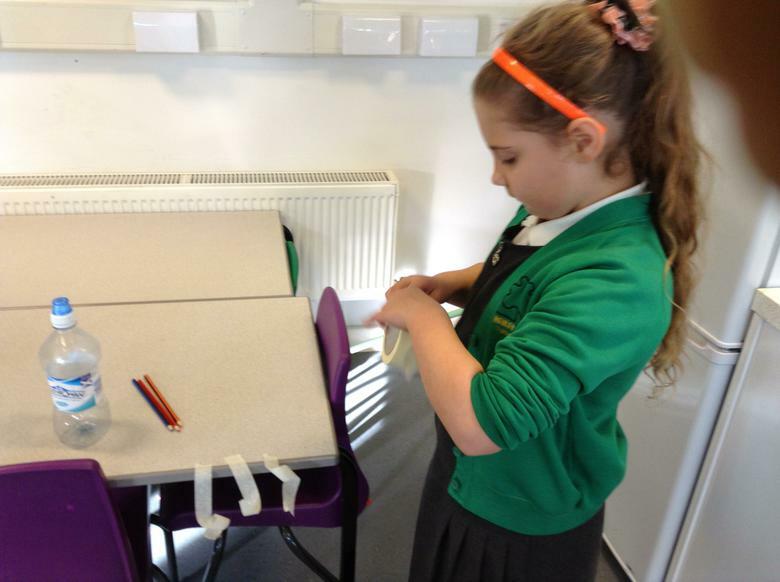 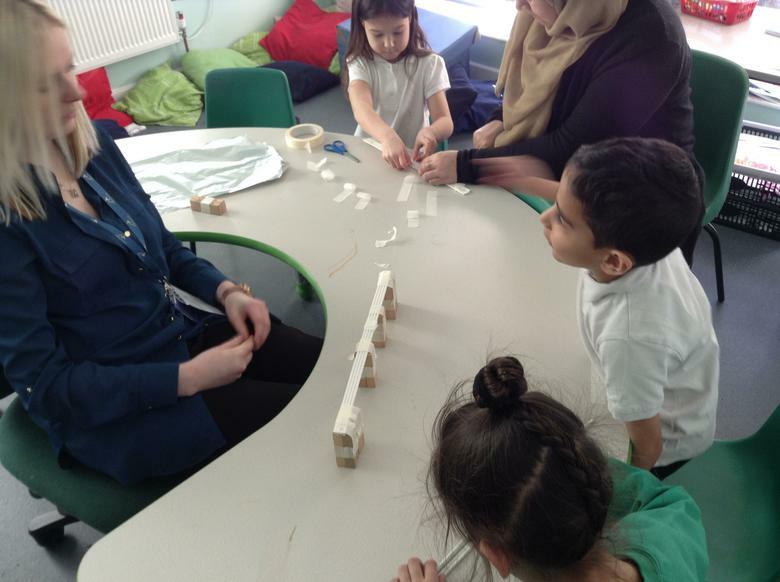 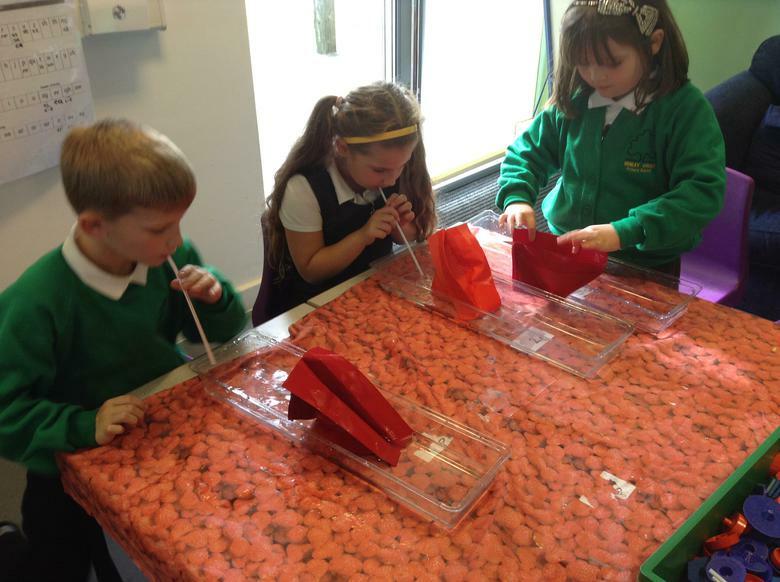 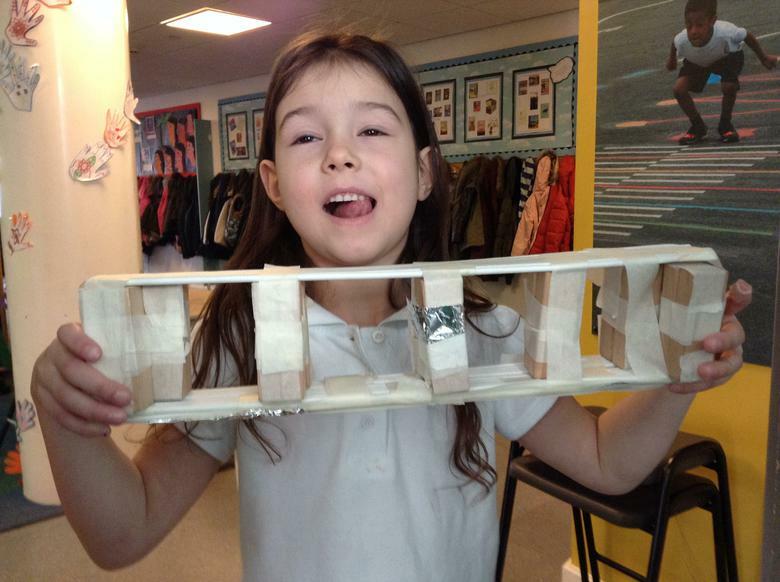 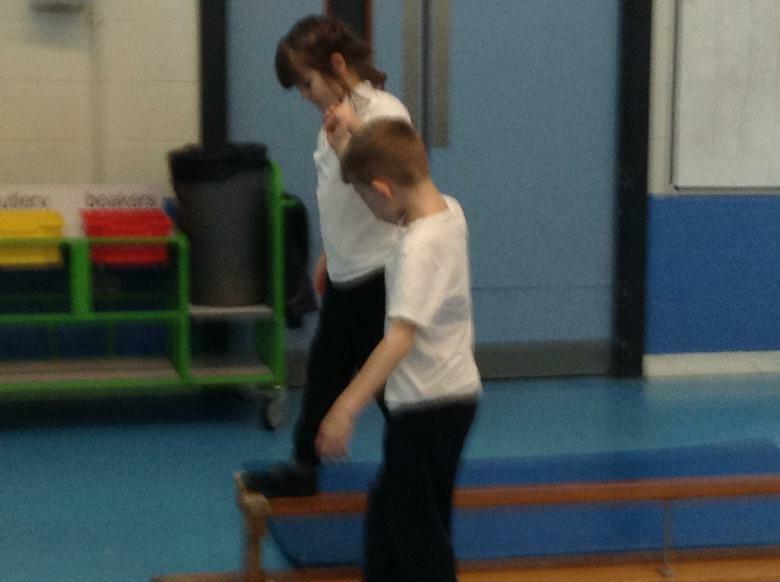 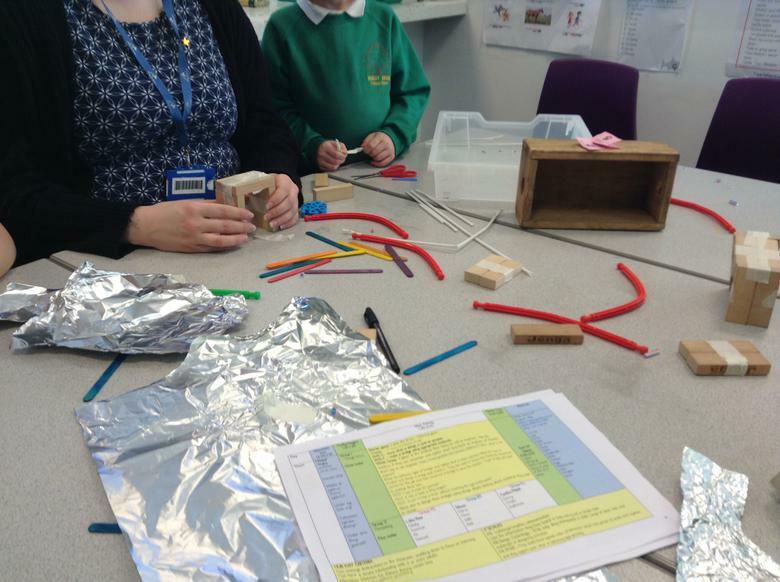 Spring 1 week 6: We worked together as part of a team to make bridges using differing materials, we then tested them to see how strong they were. 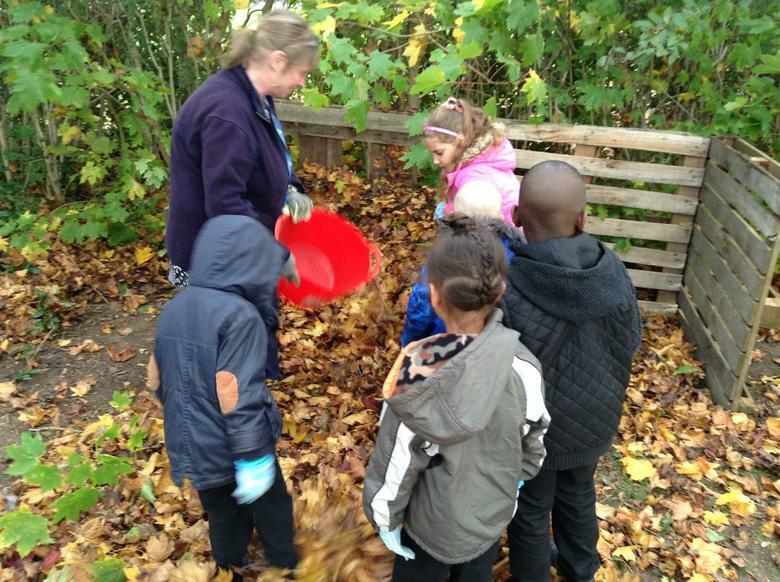 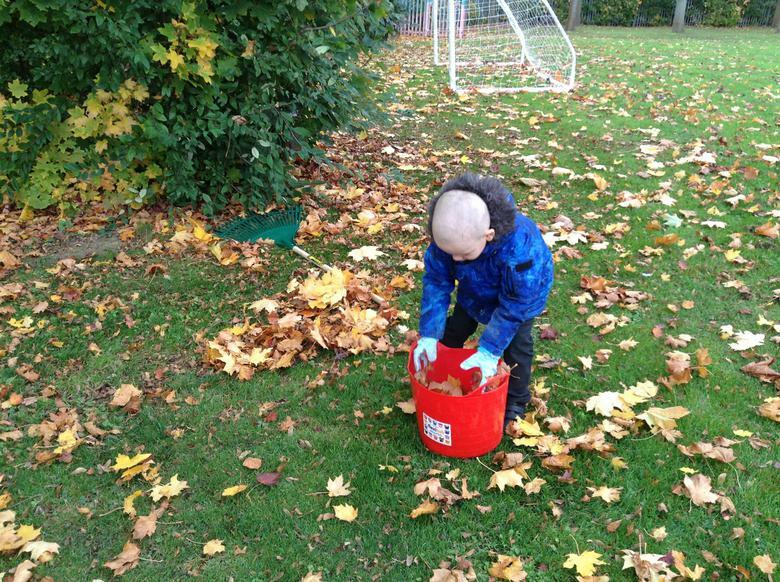 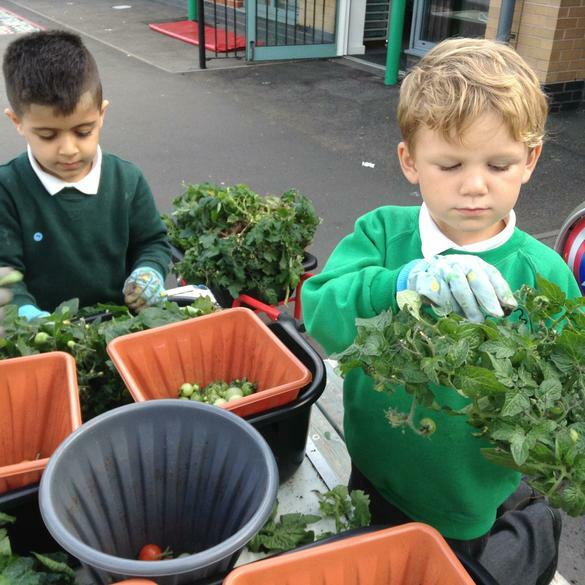 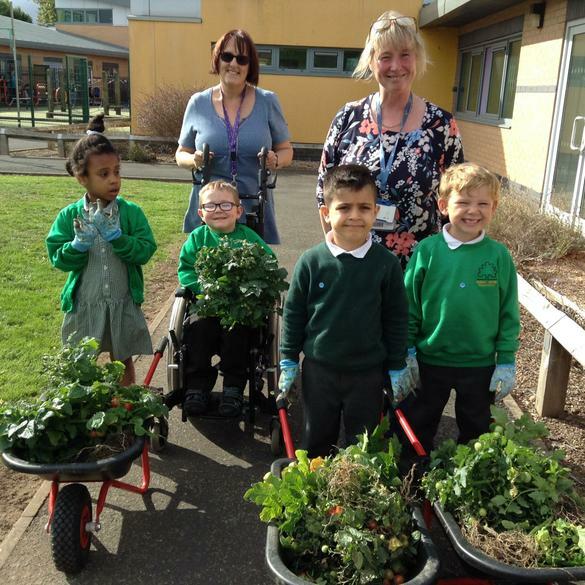 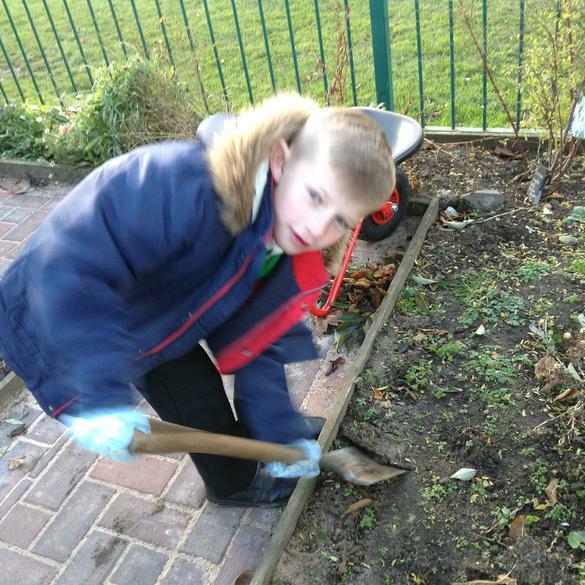 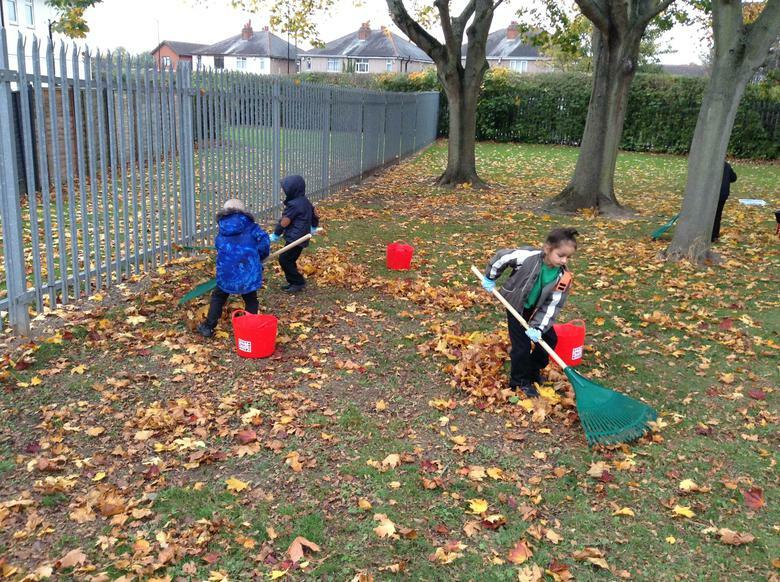 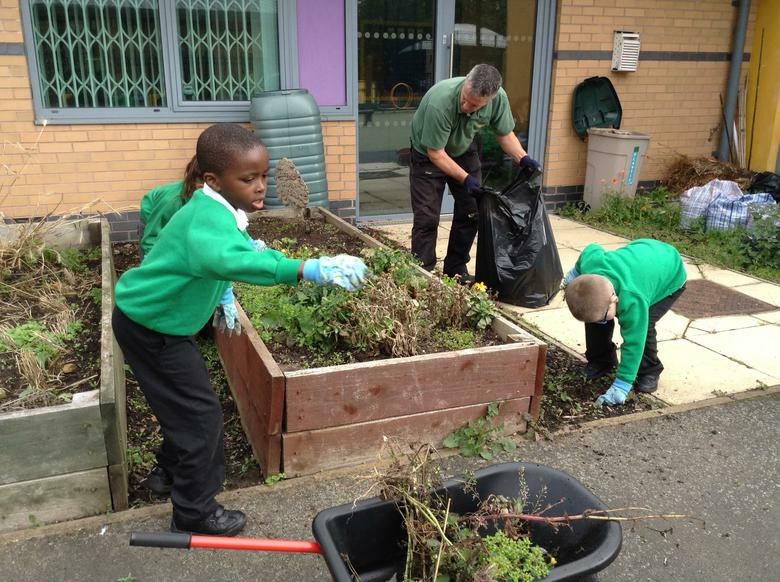 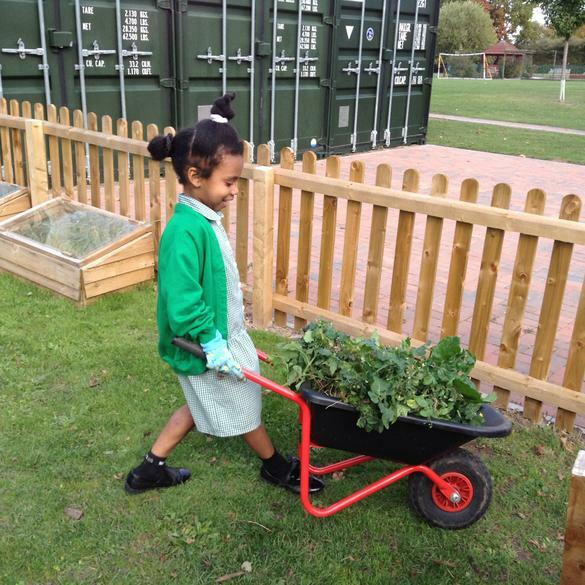 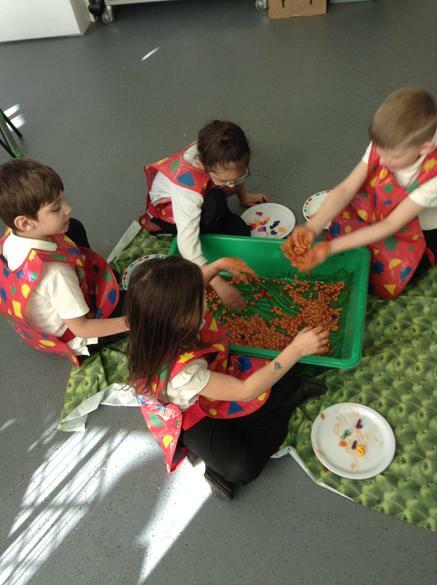 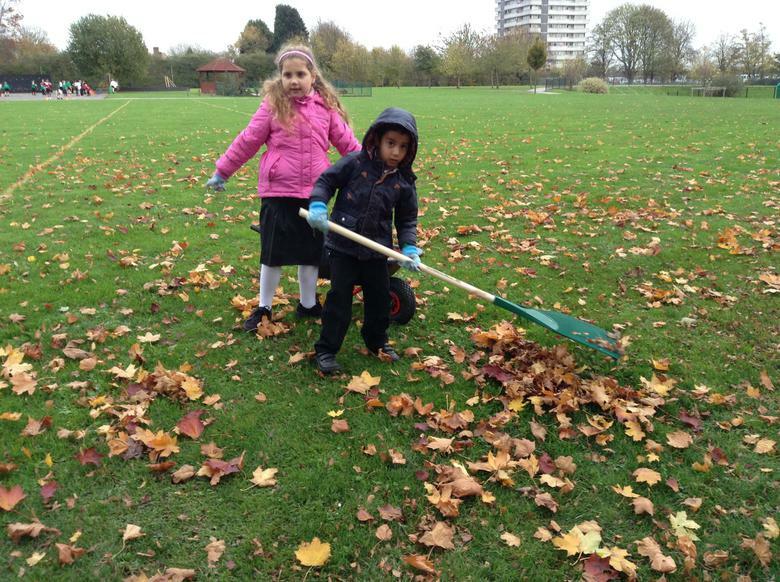 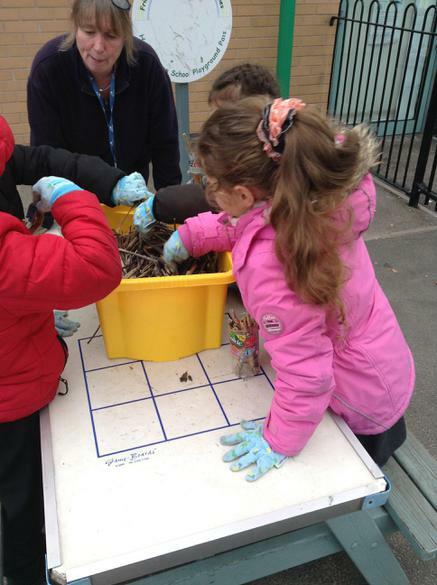 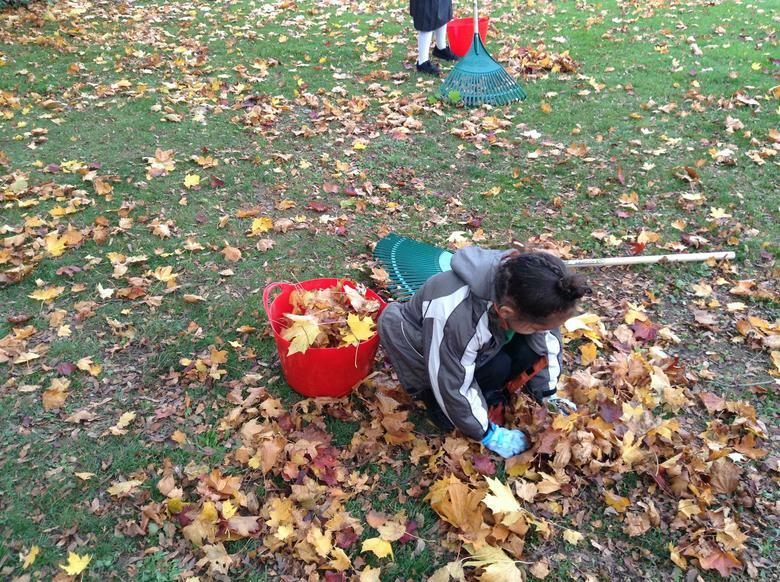 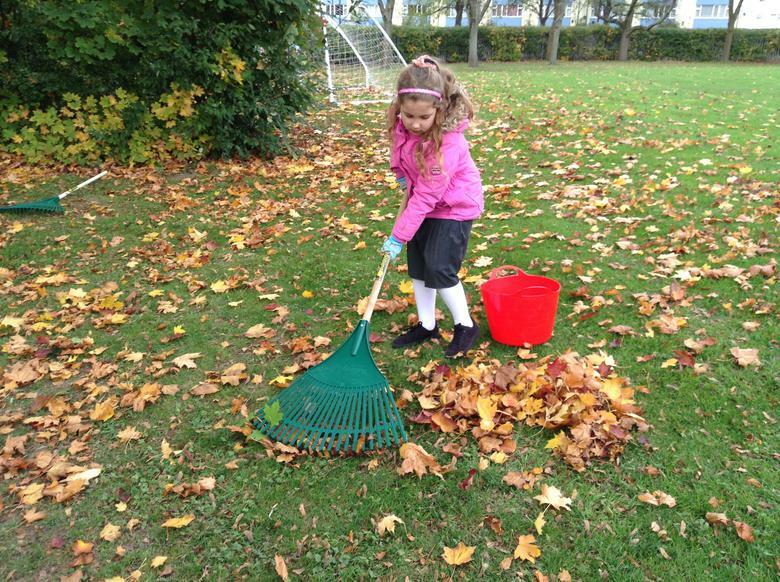 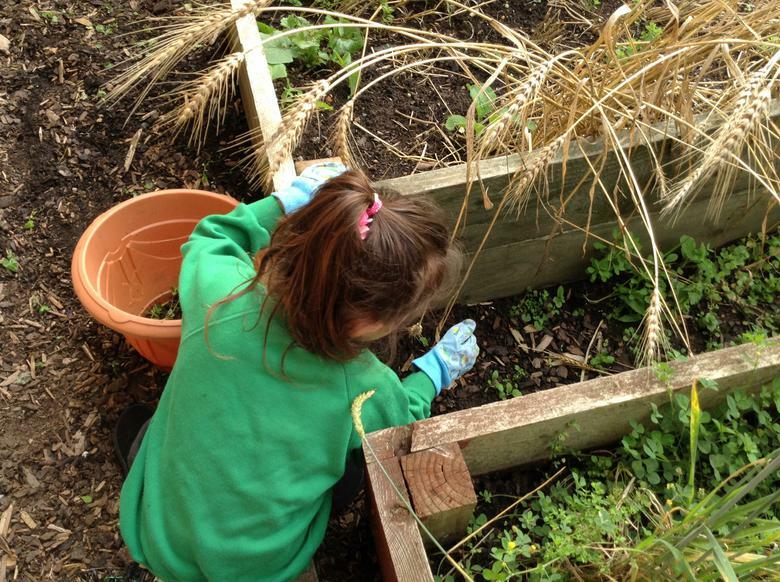 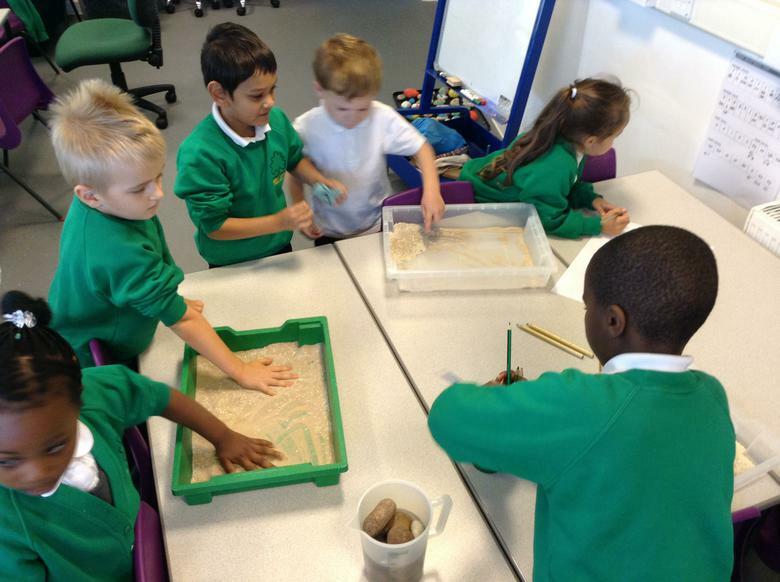 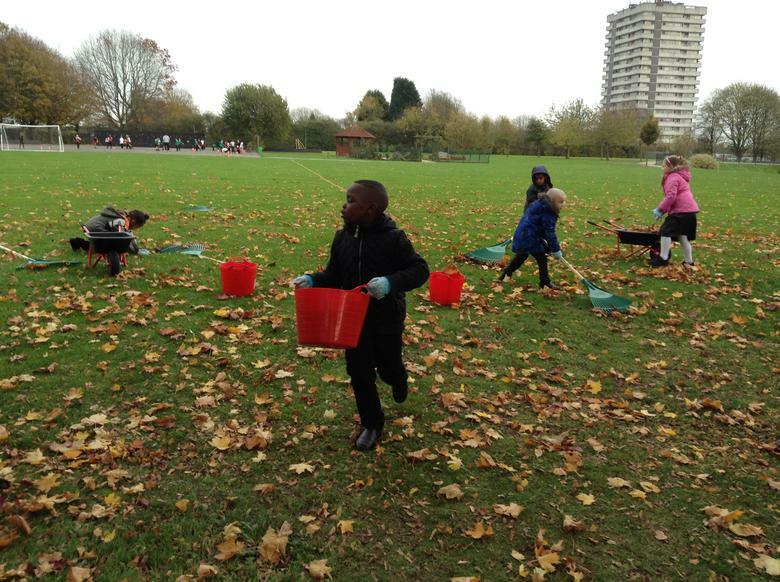 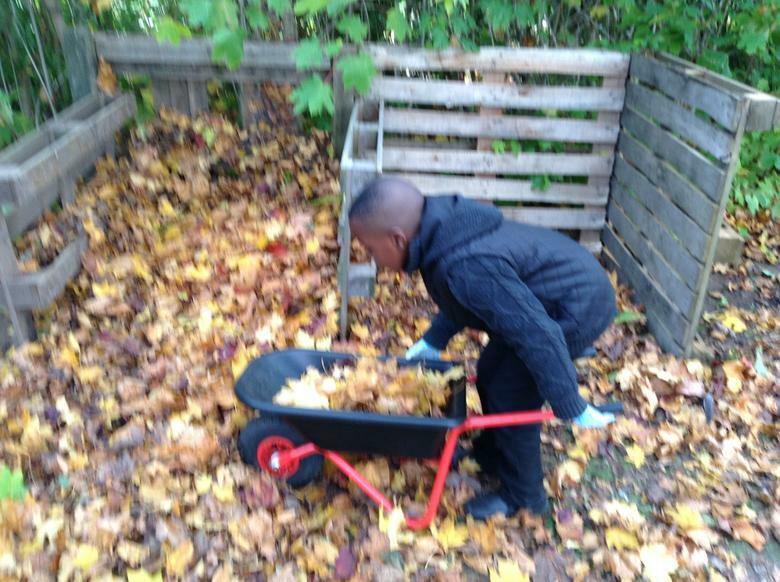 Autumn 2 Week 1: With Mrs Gardener we raked leaves to make a compost bin. 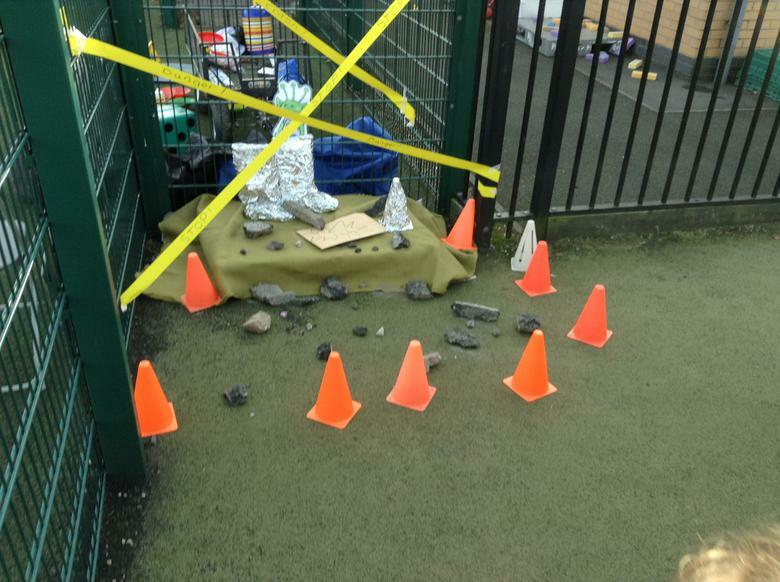 We also had Sporkle crash land in our playground and visit the Hub for the week. 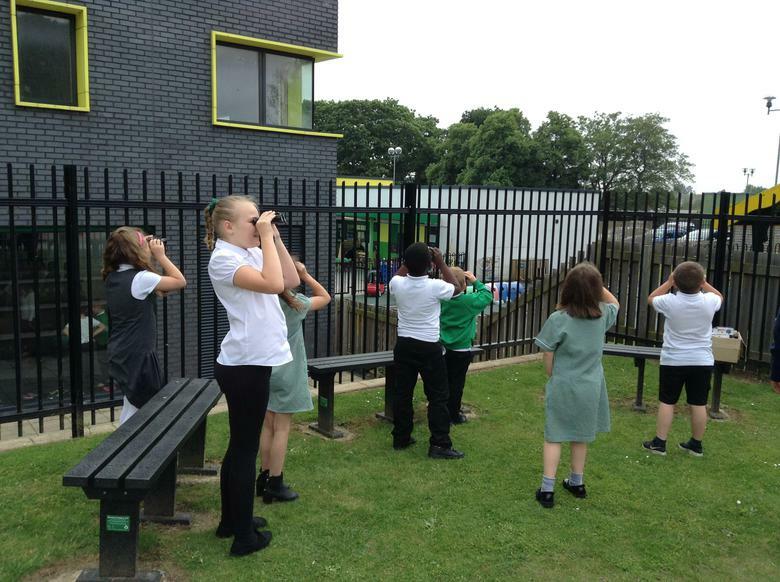 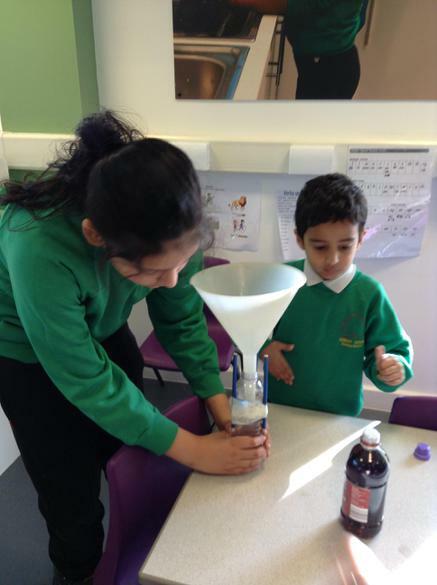 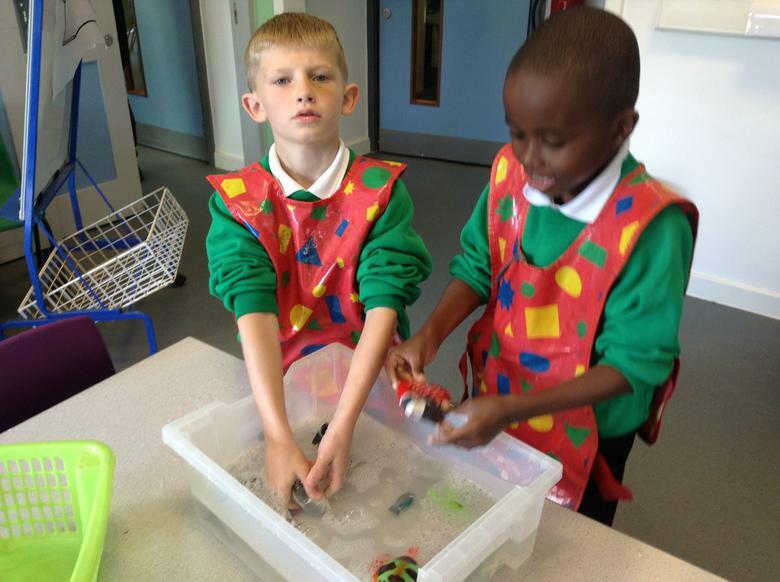 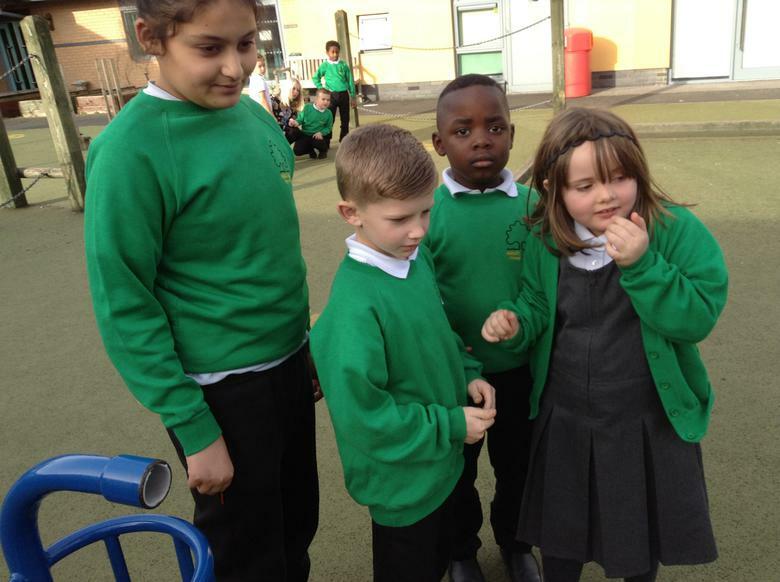 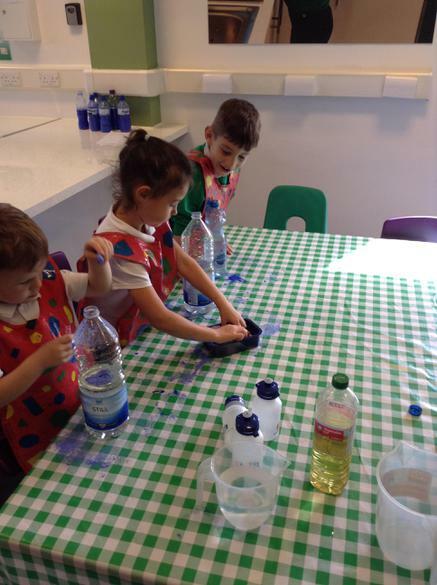 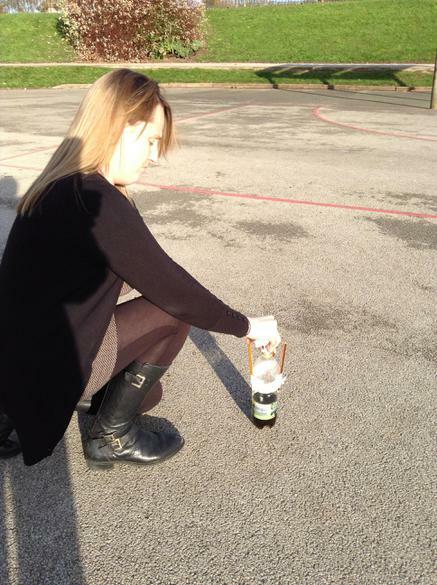 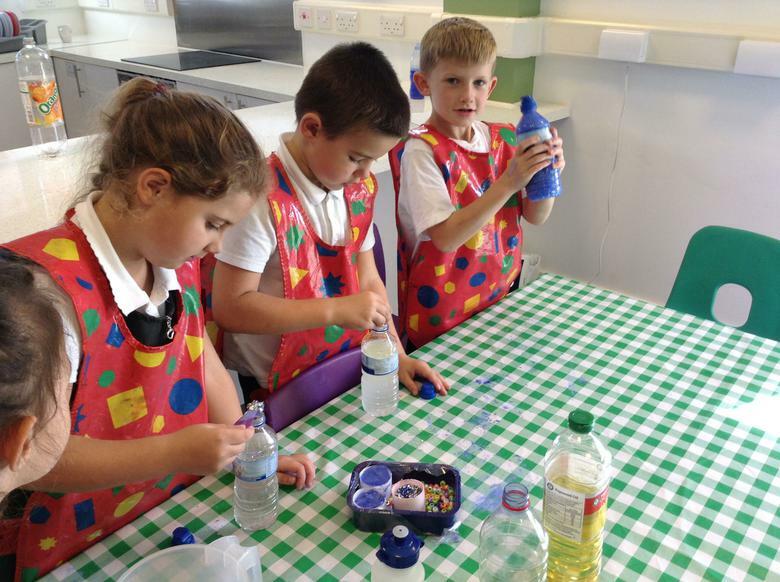 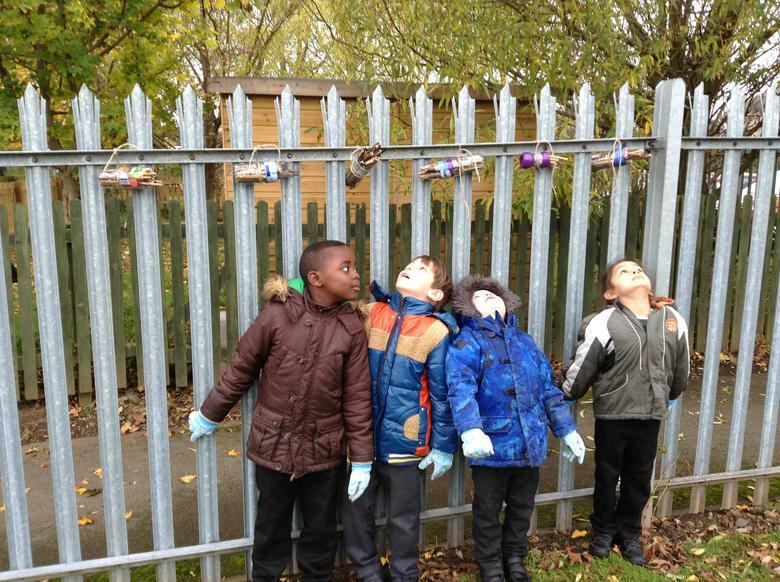 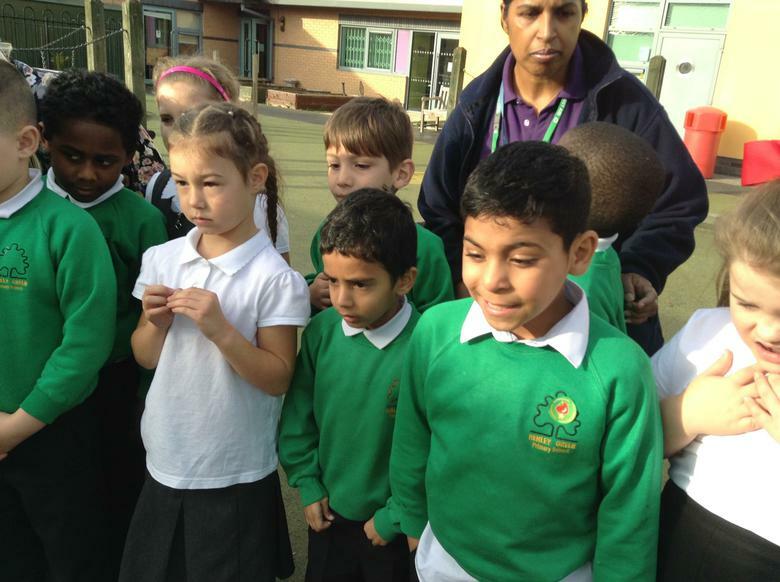 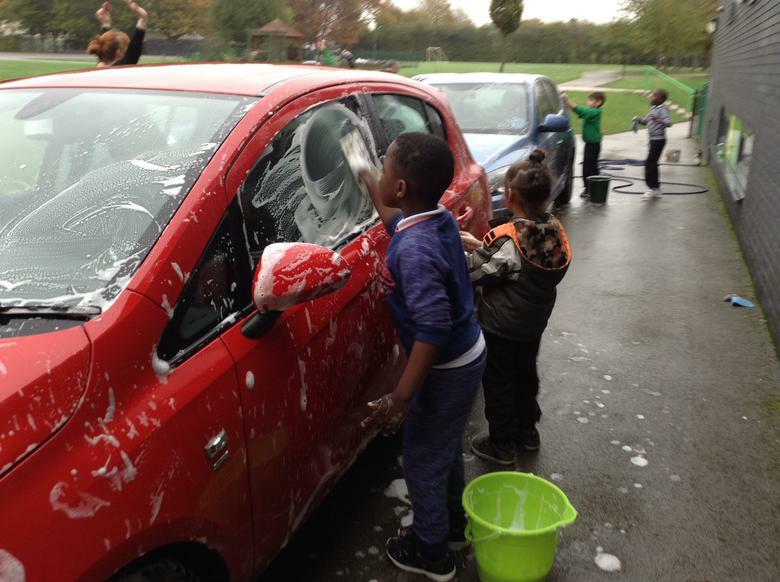 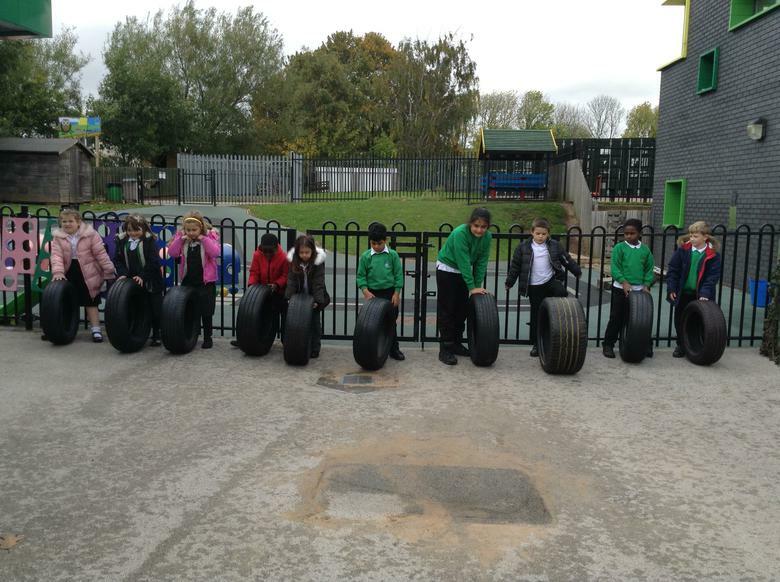 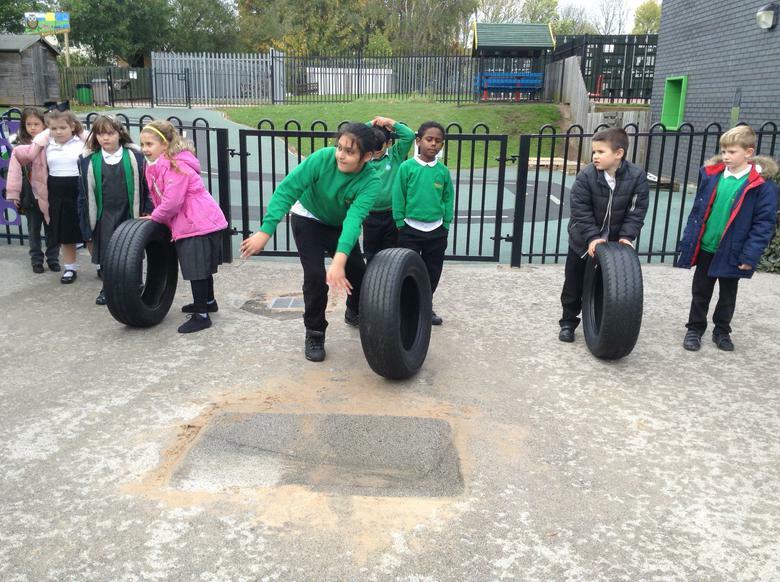 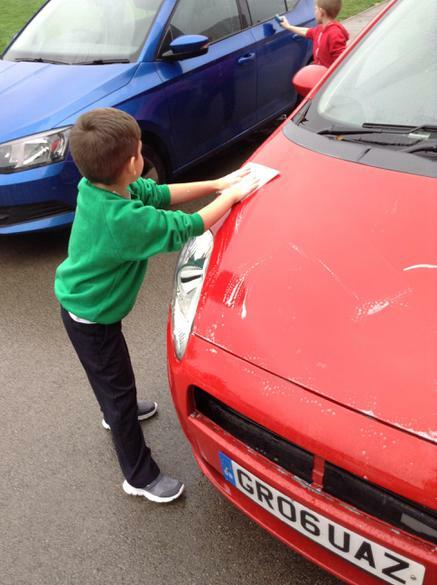 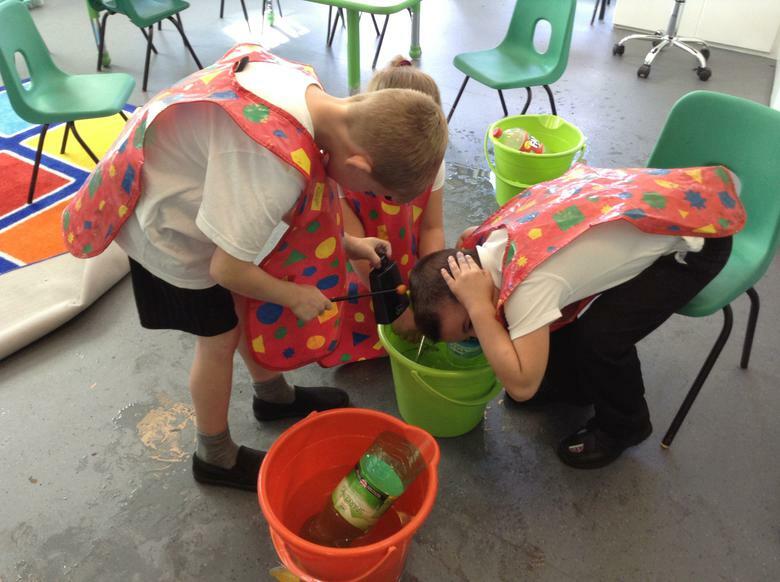 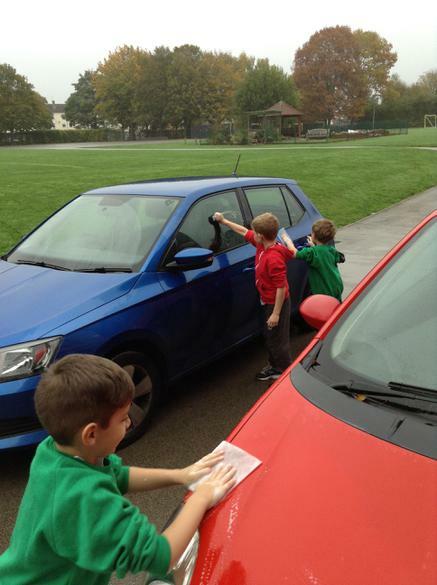 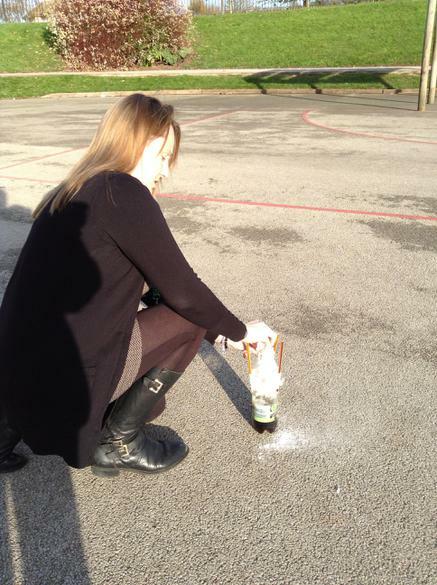 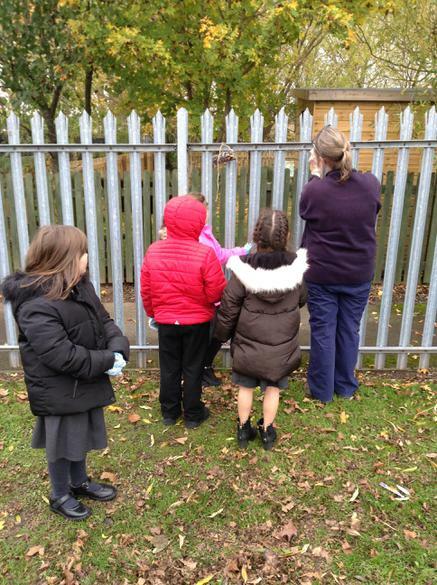 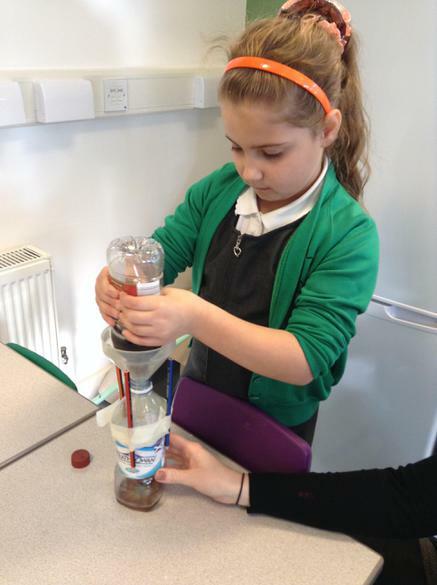 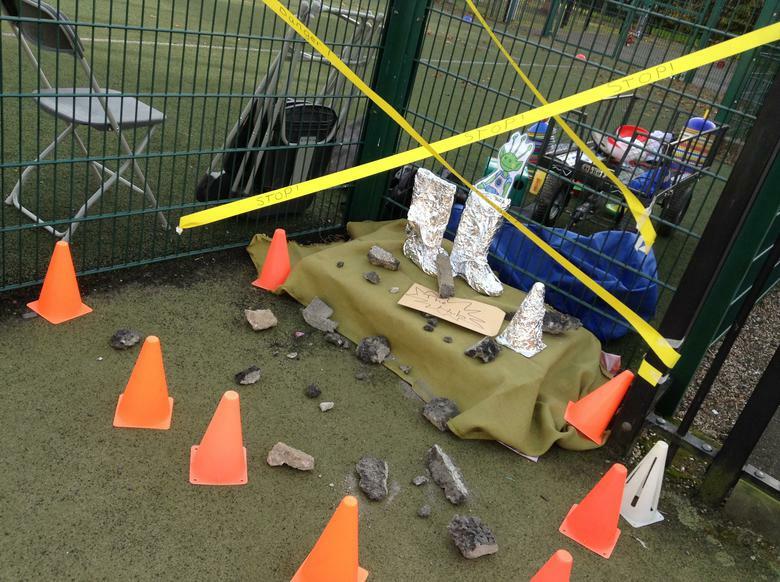 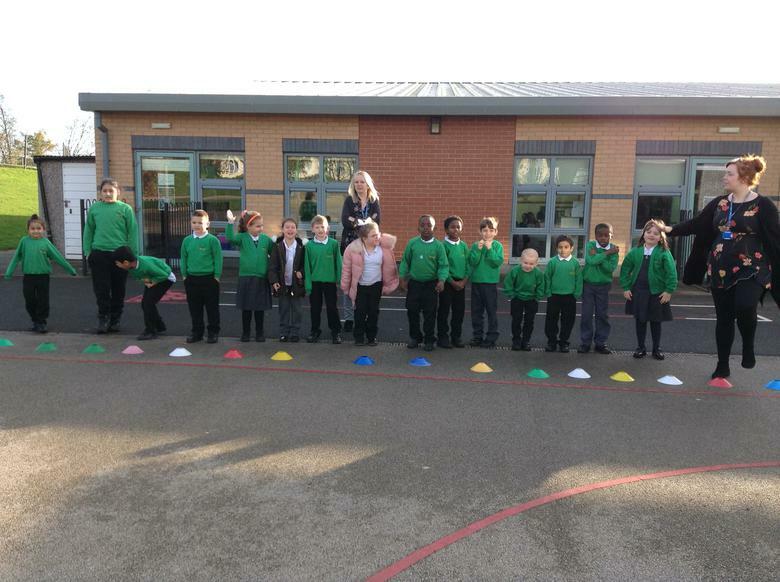 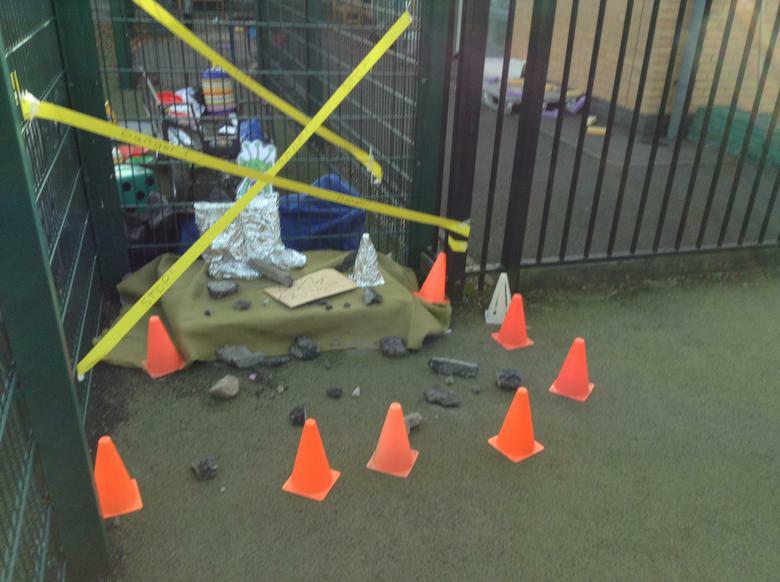 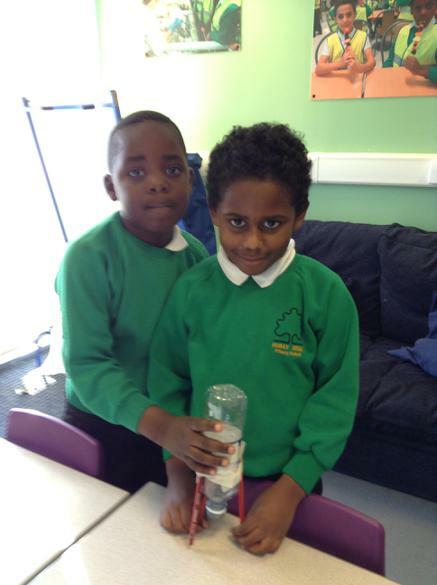 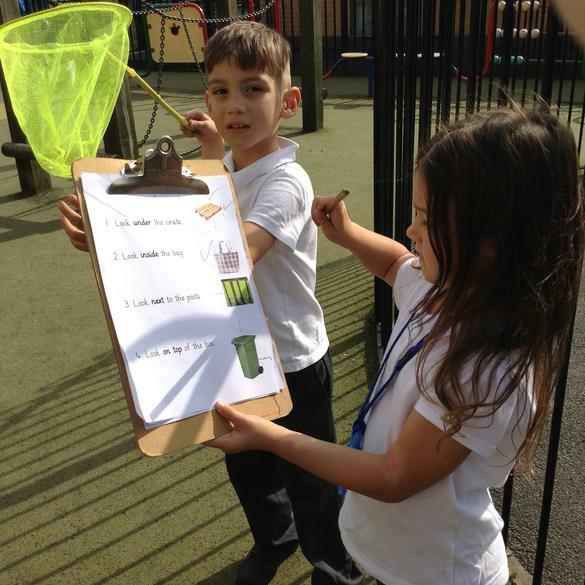 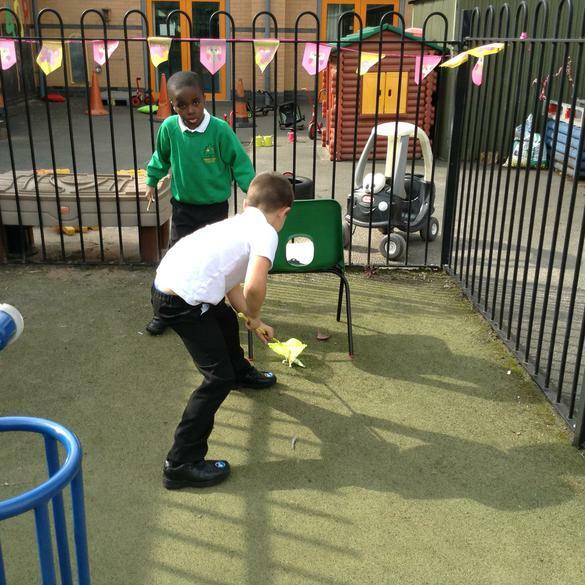 Autumn 2 Week 2: As scientists we made vinegar and baking soda rockets and released them on the playground. 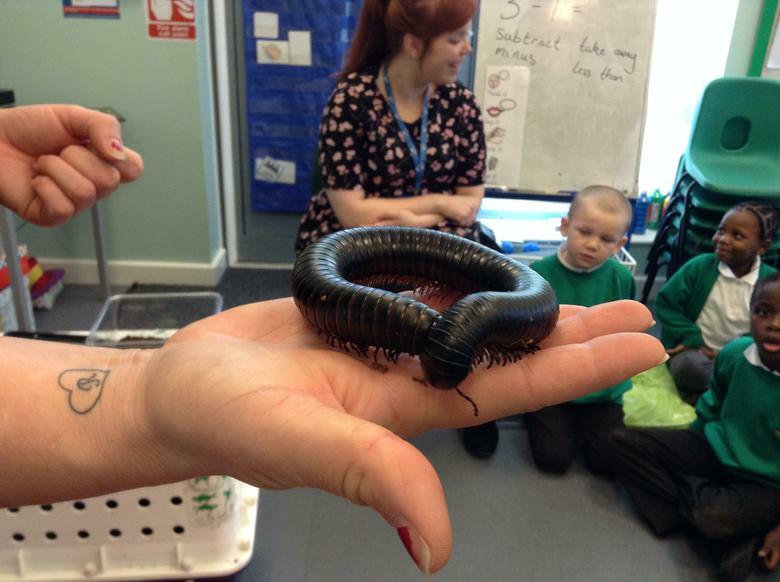 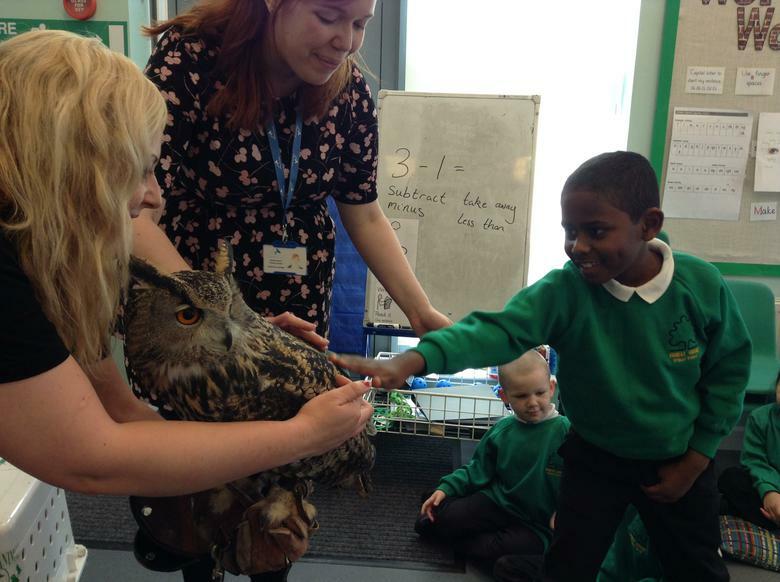 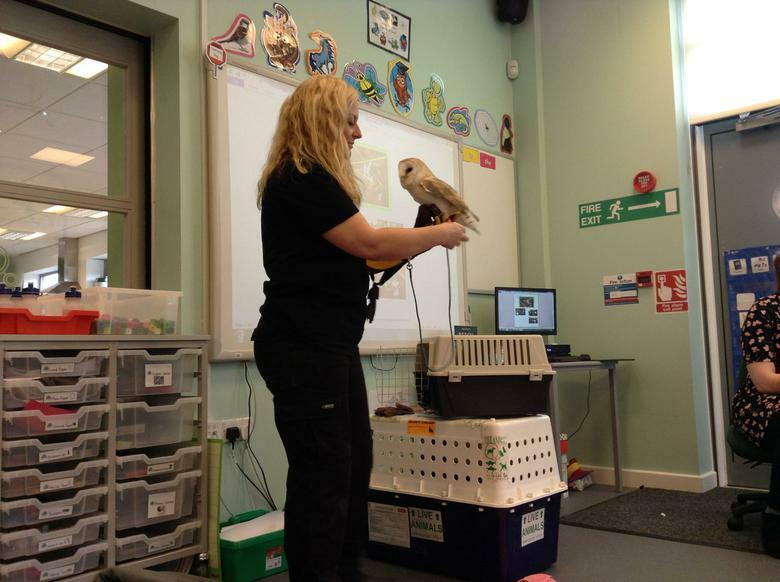 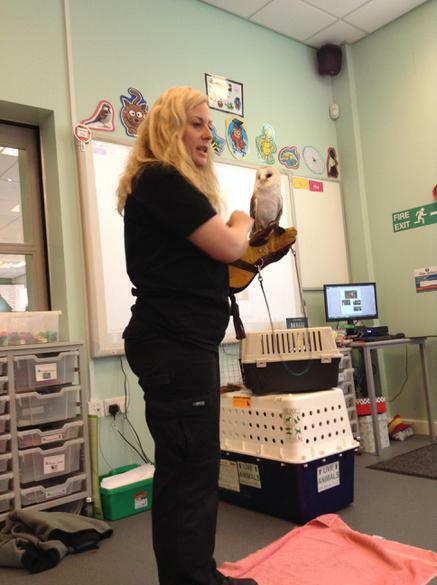 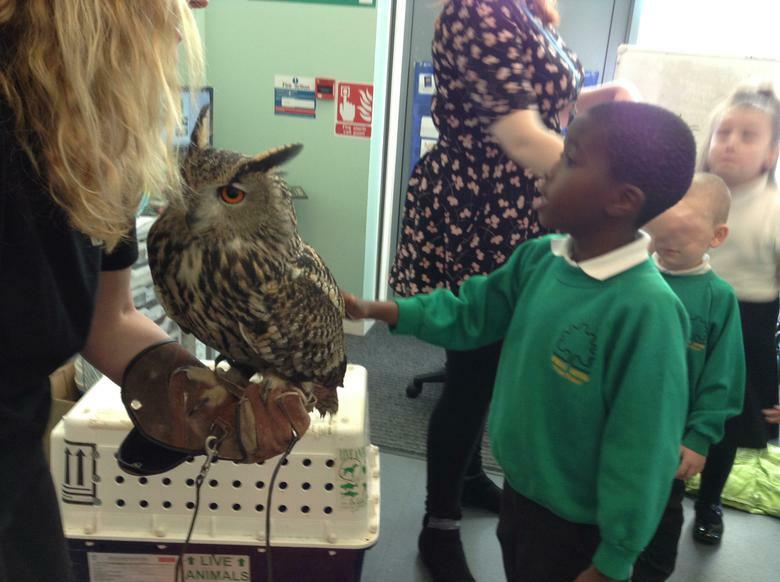 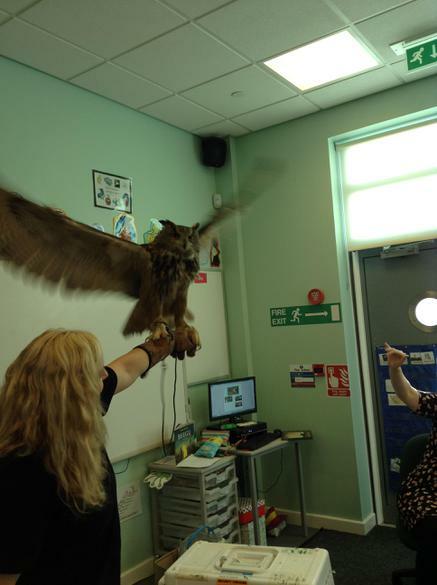 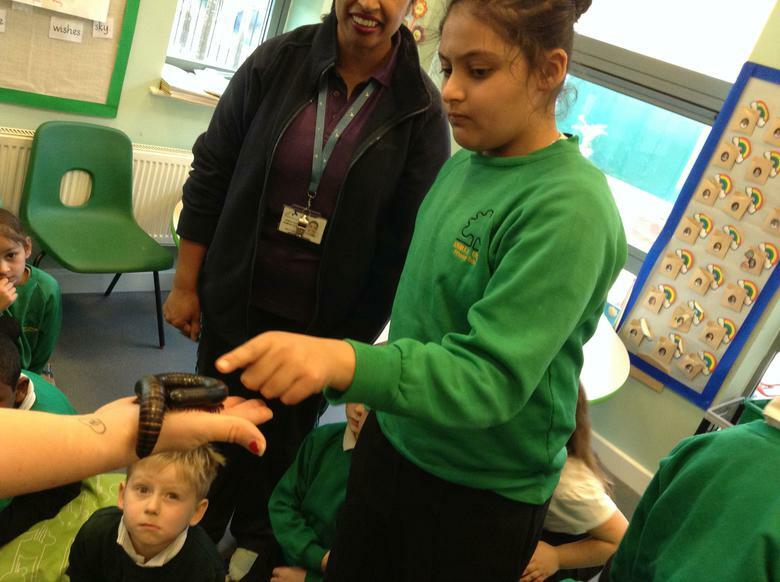 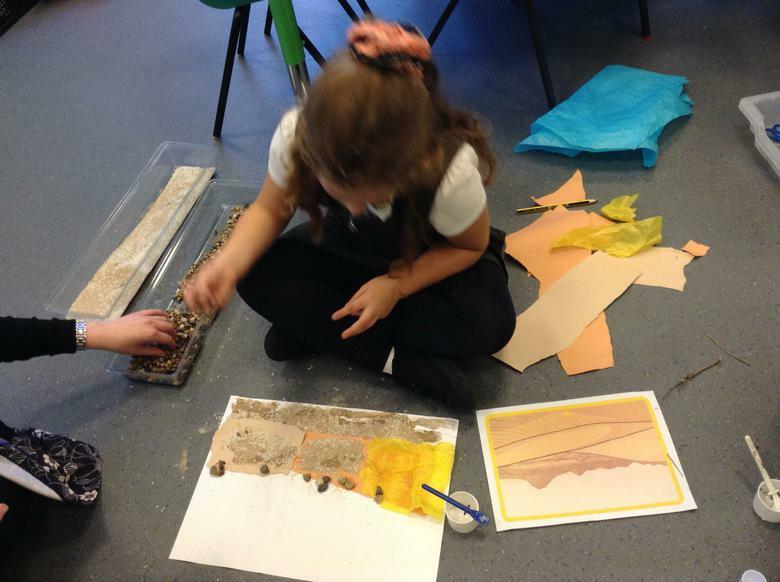 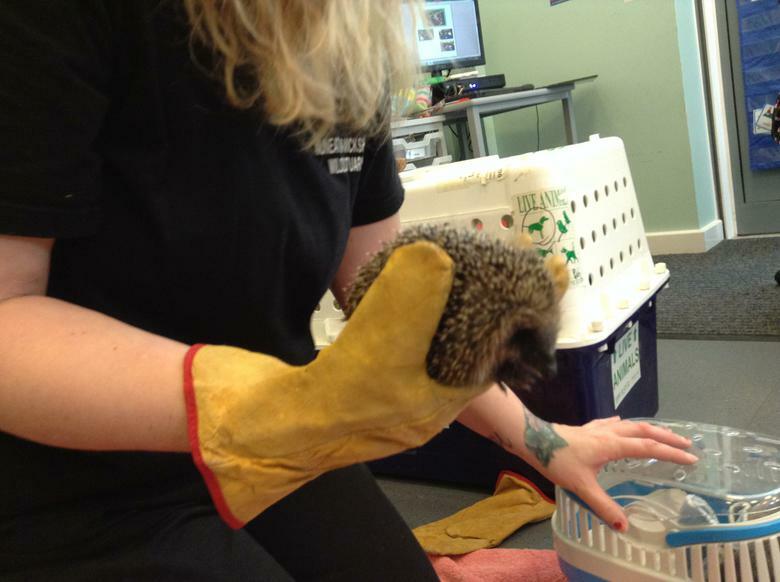 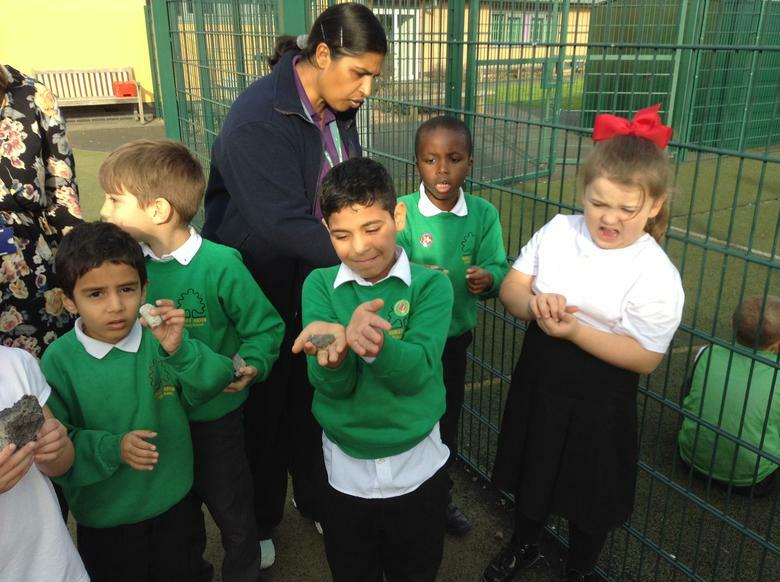 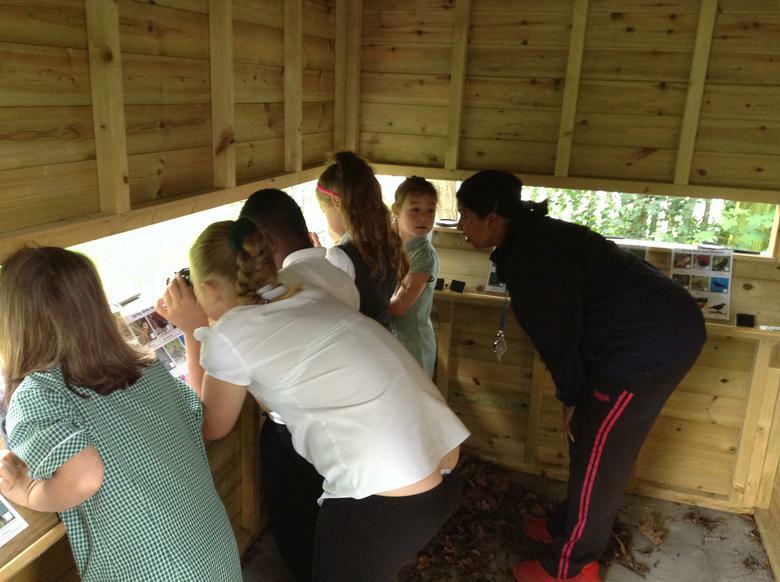 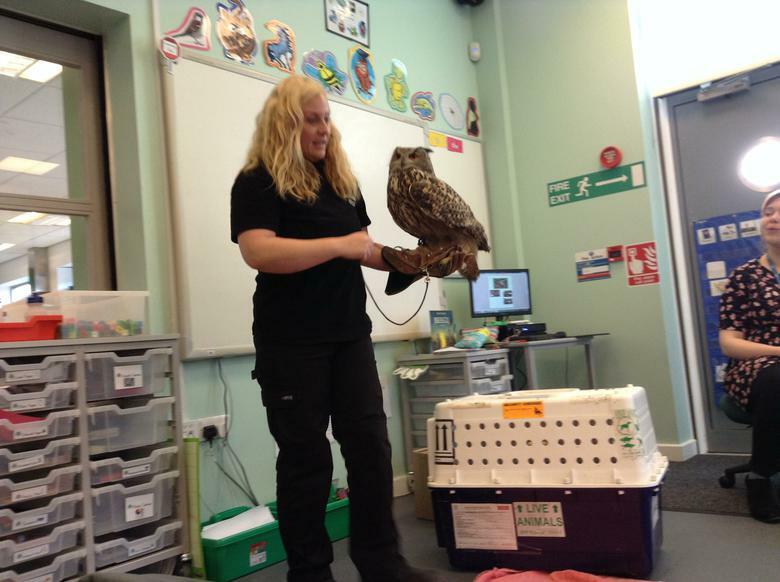 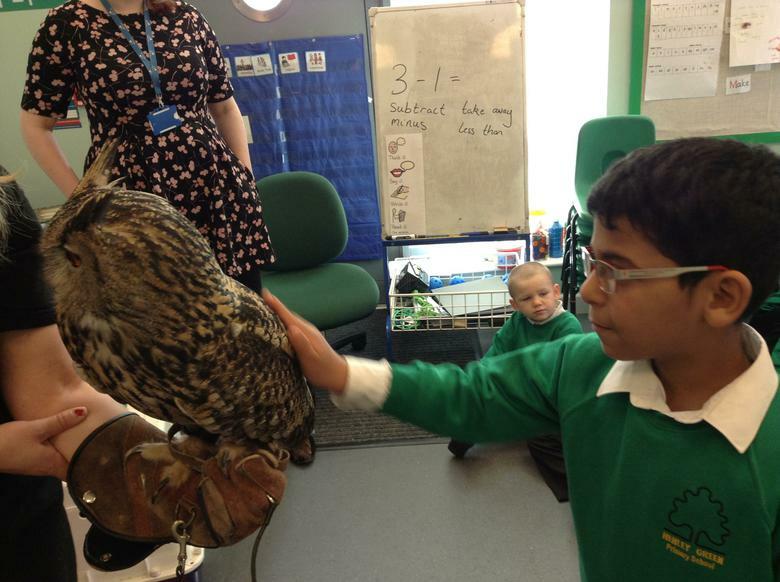 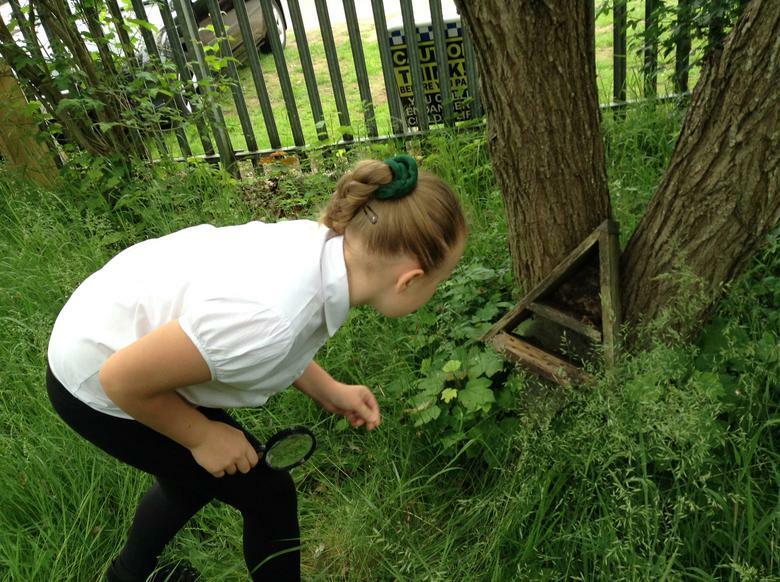 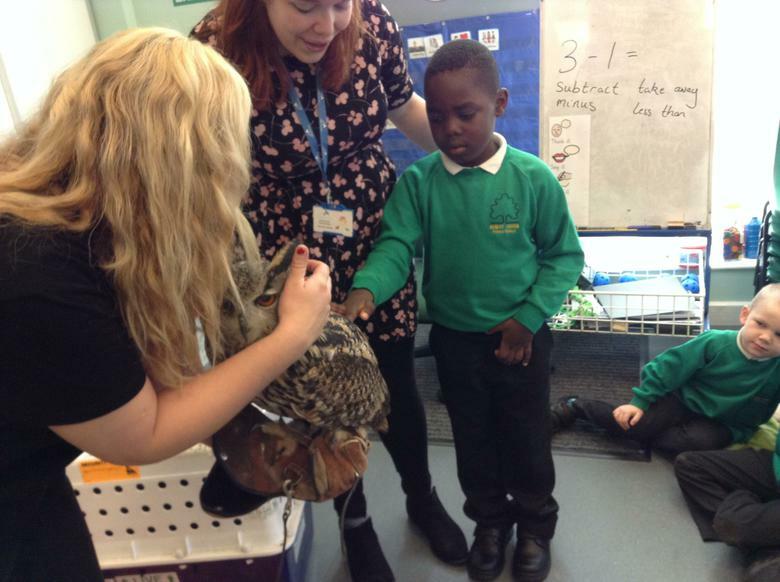 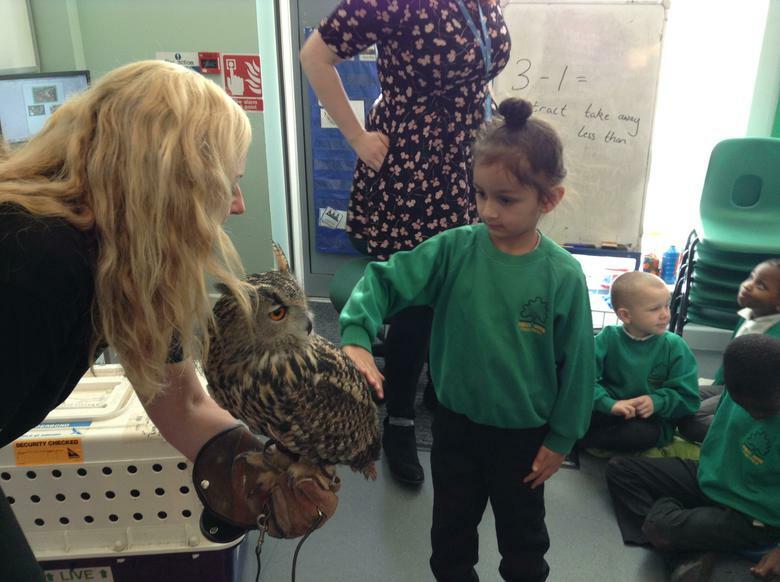 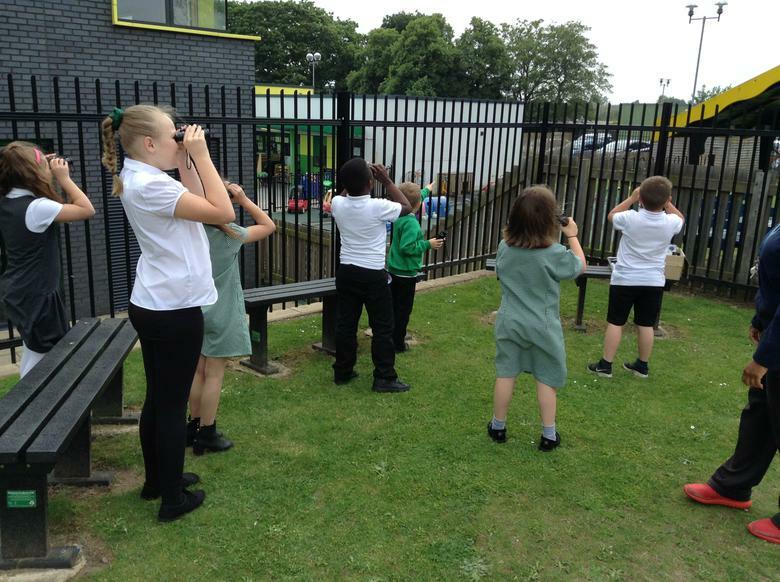 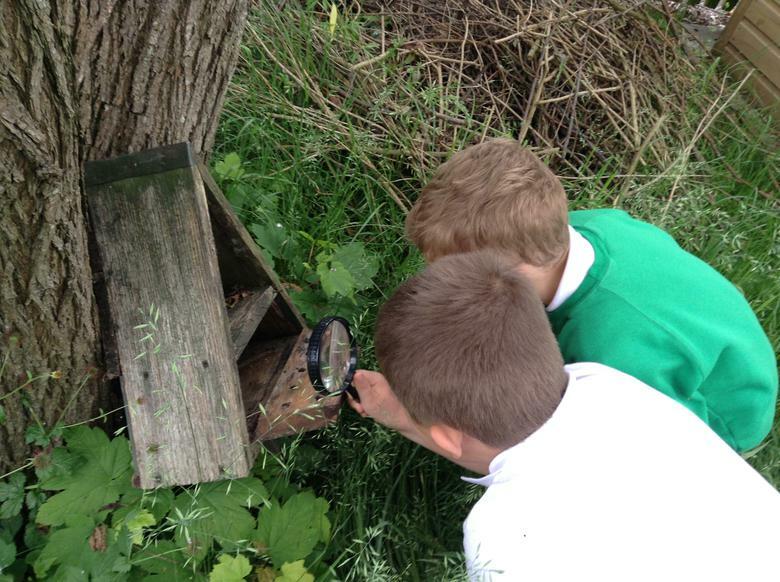 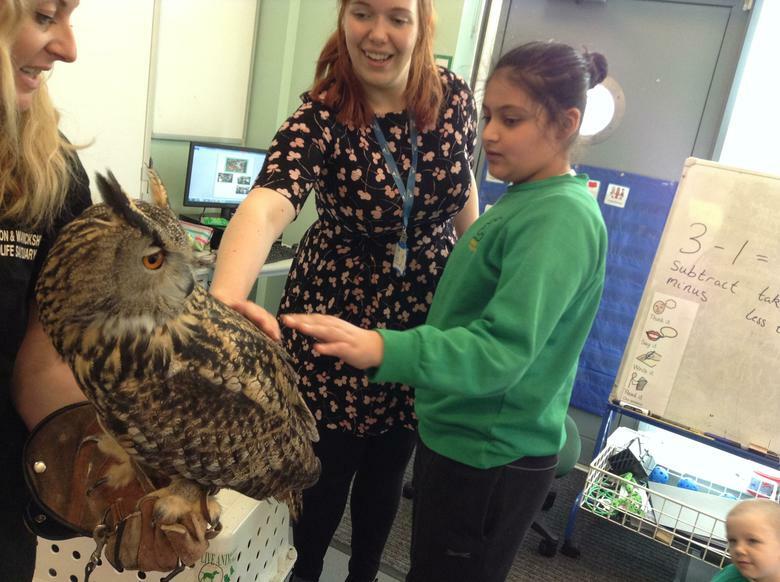 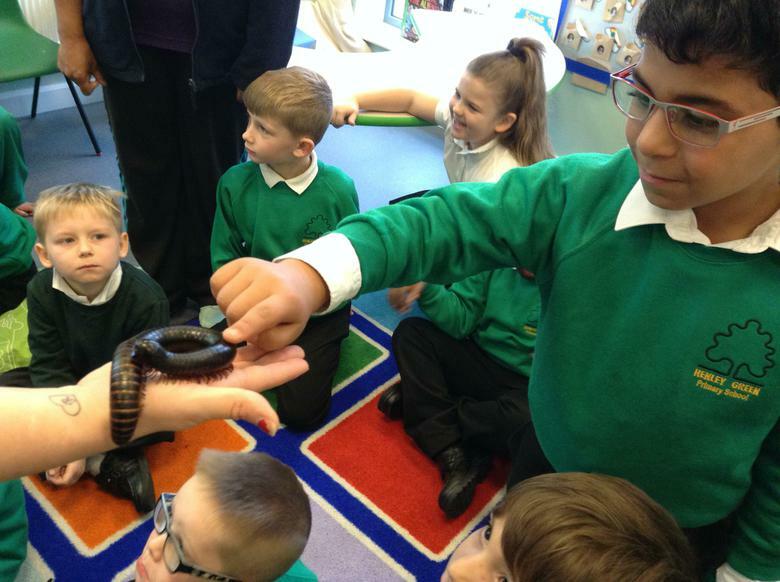 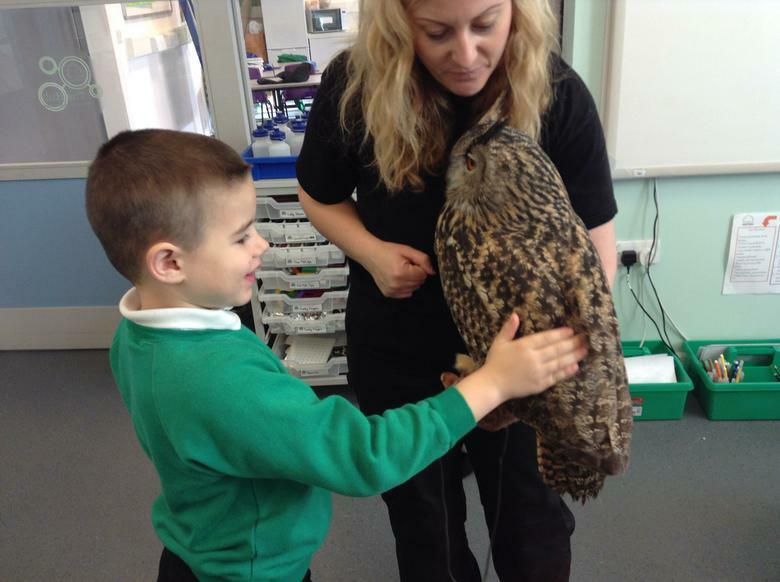 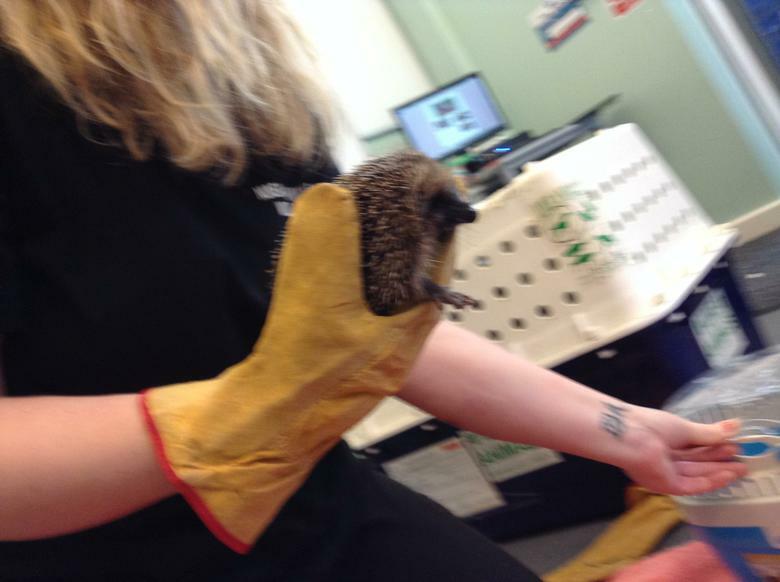 Autumn 2 Week 3: As part of the Educational visit from the Nuneaton Wildlife Sanctuary we had a hedgehog, millipede and an owl visit the Hub. 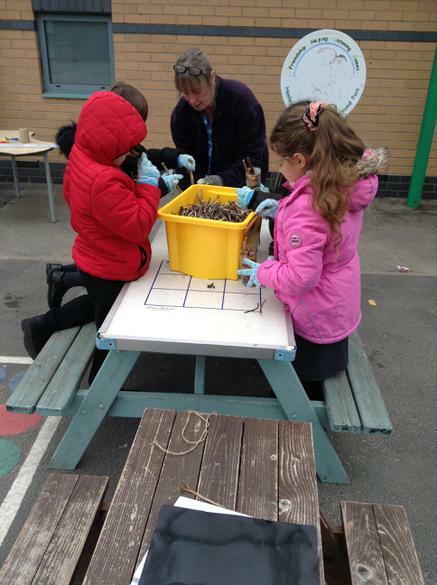 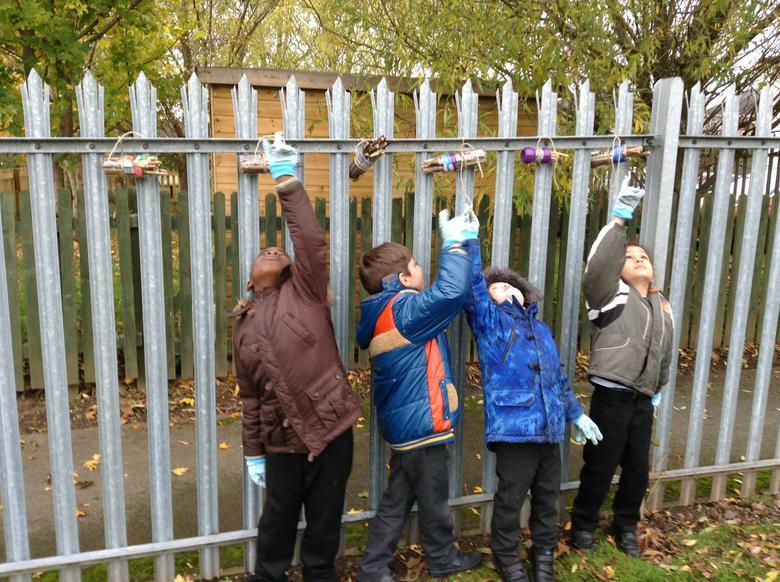 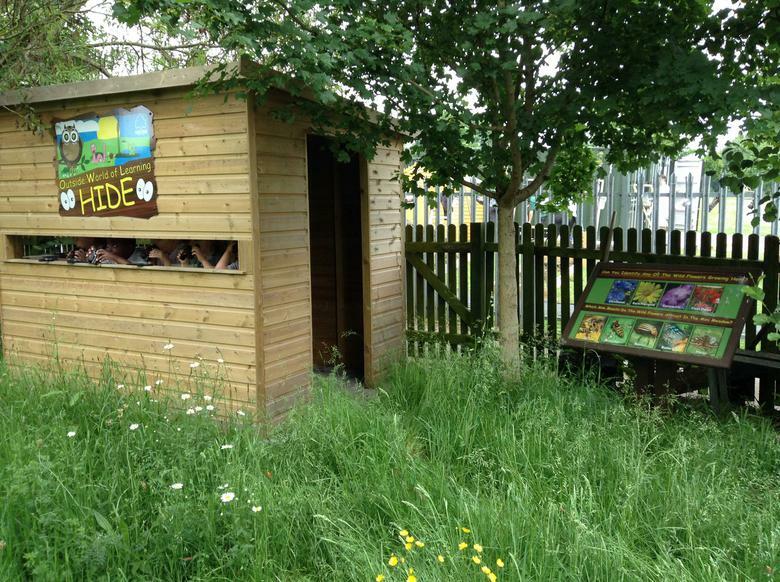 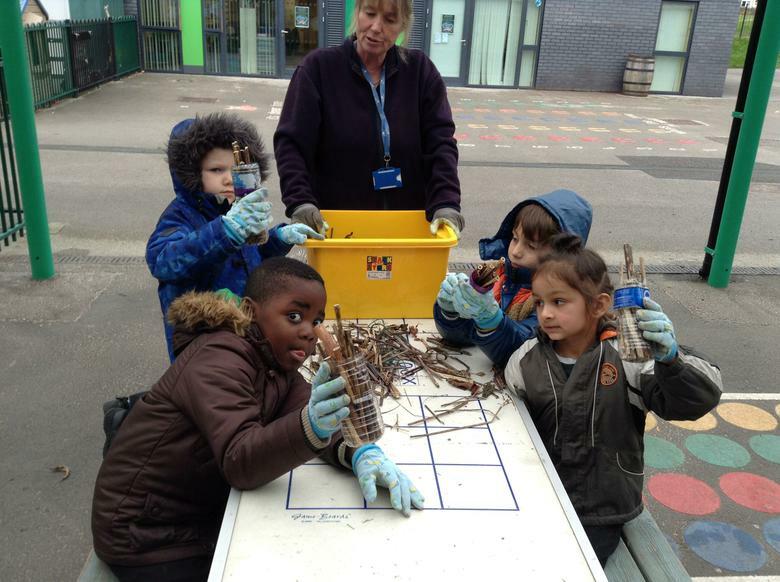 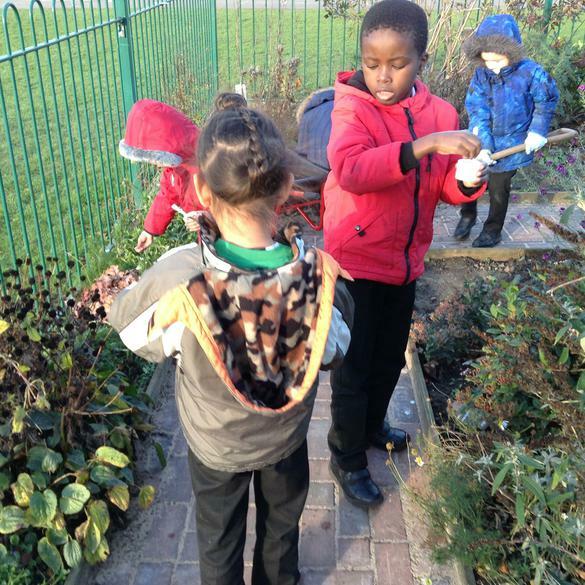 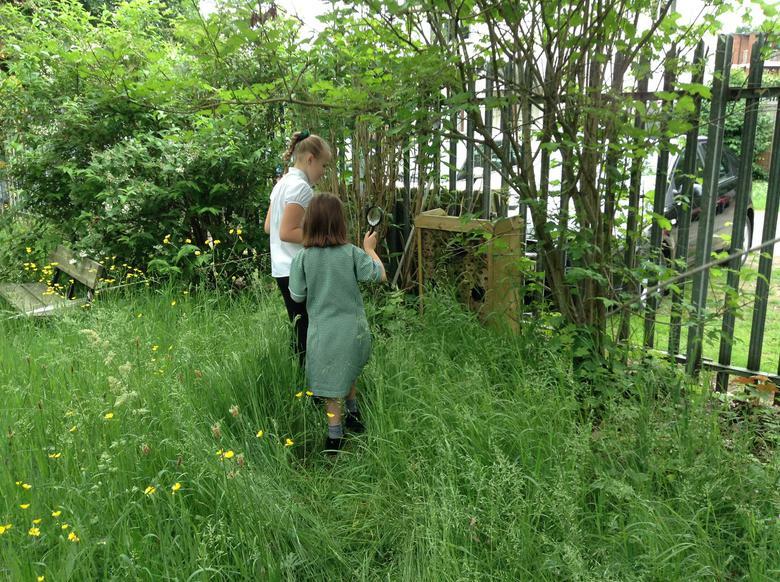 Autumn 2 Week 4: With Mrs Gardener we made bug hotels which we hung near the friendship garden. 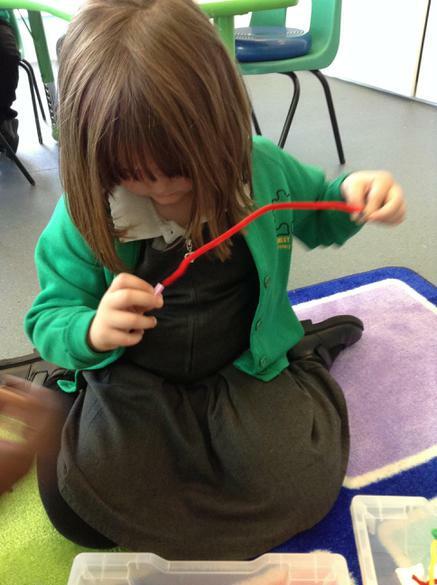 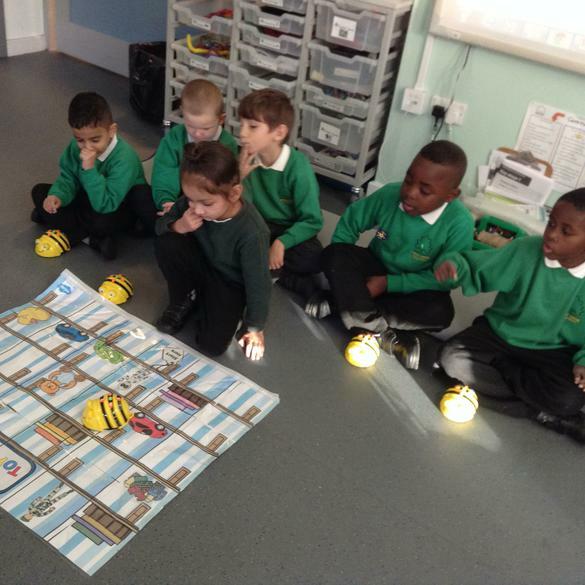 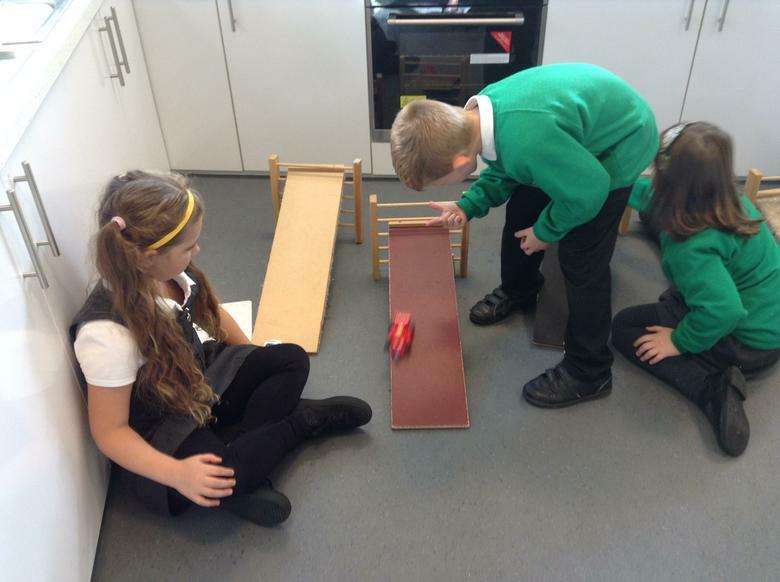 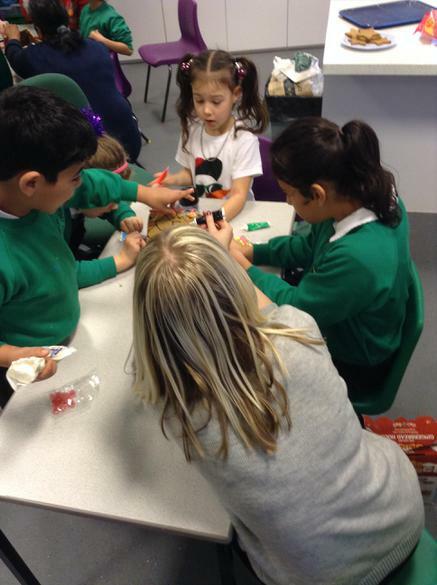 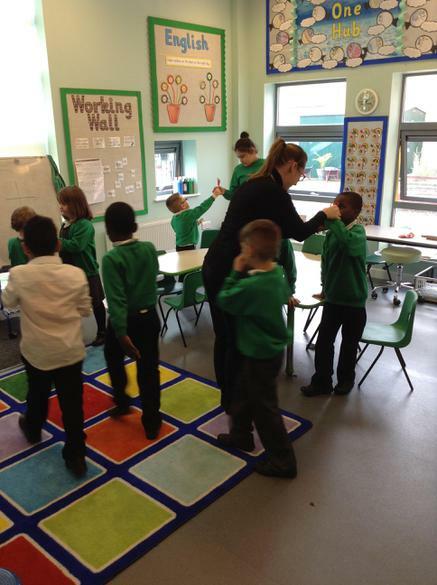 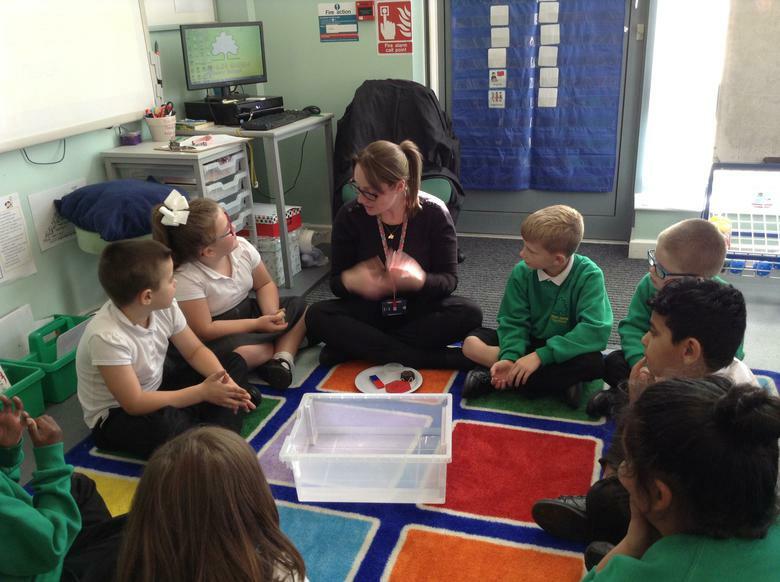 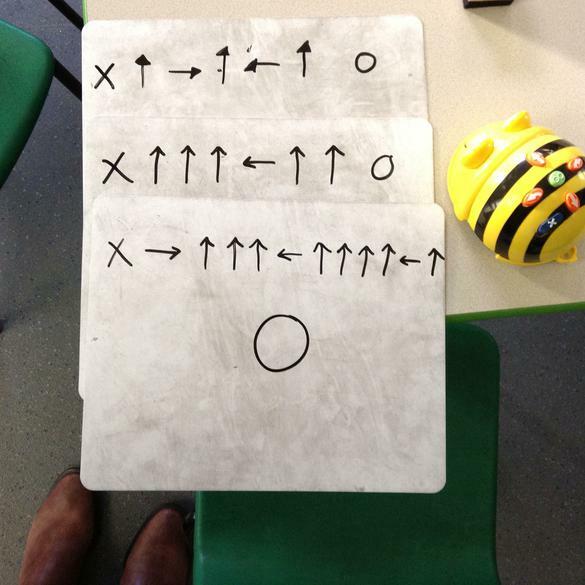 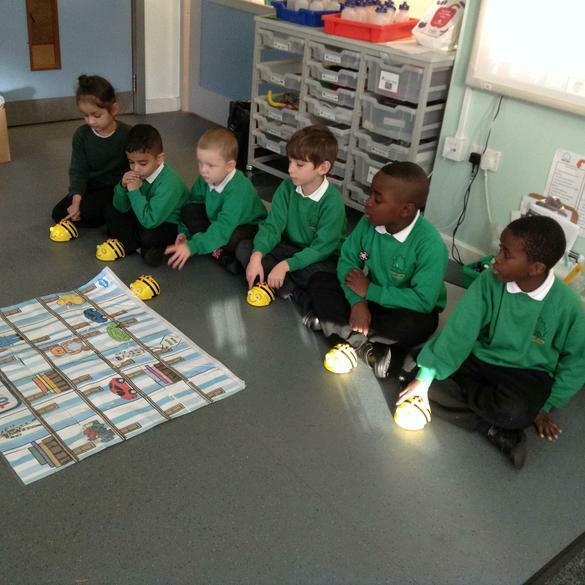 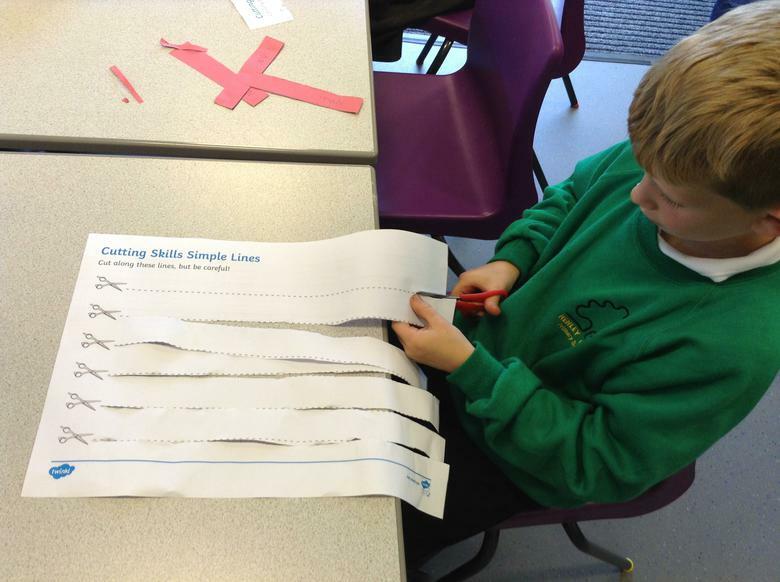 Autumn 2 Week 5: In computing we learnt how to use and program a Beet-Bot to direct it around the Beet-Bot mat. 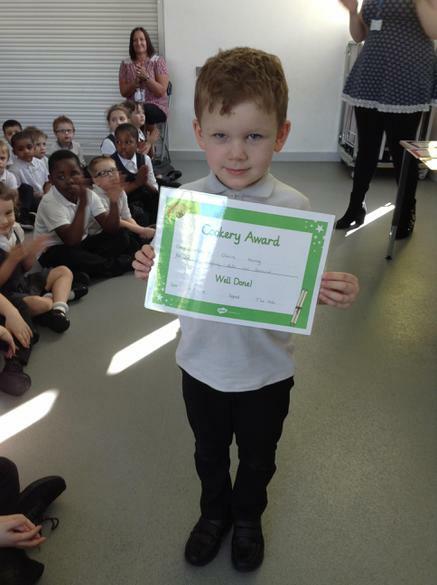 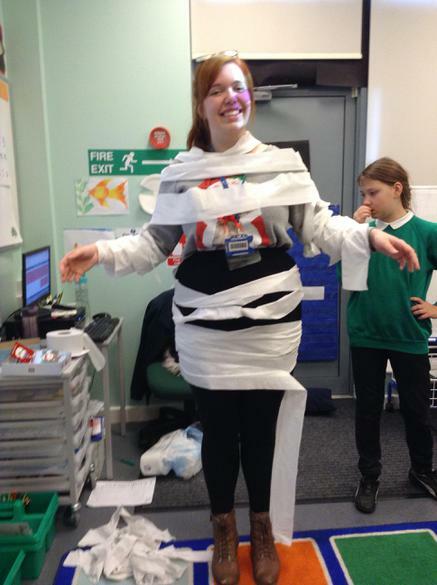 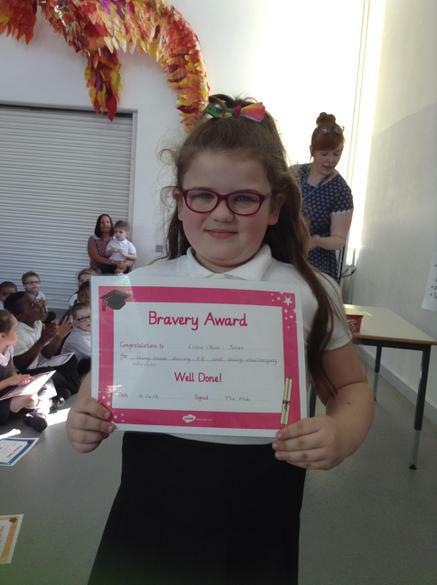 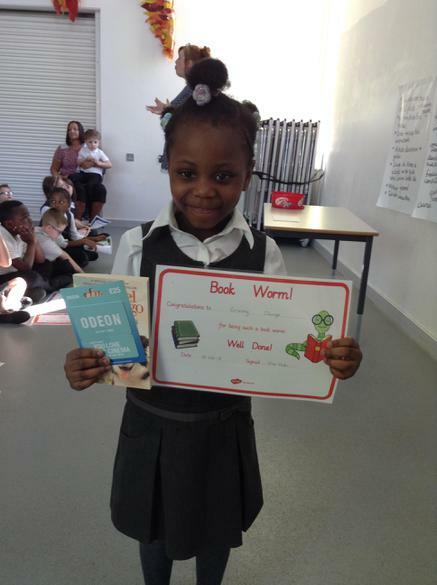 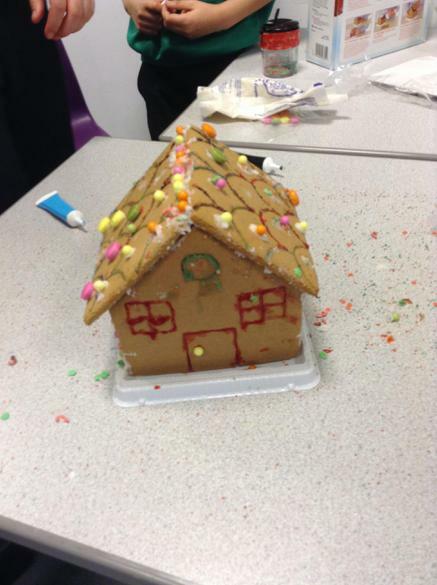 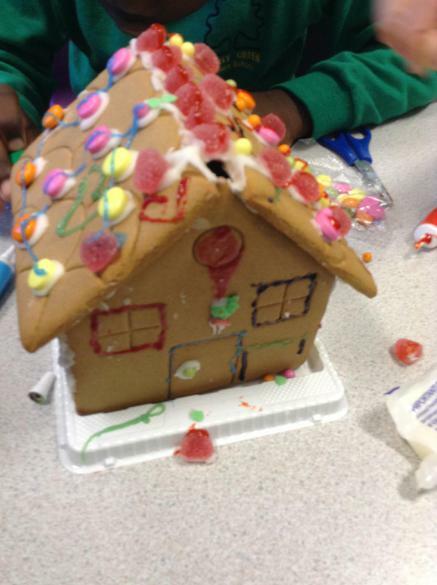 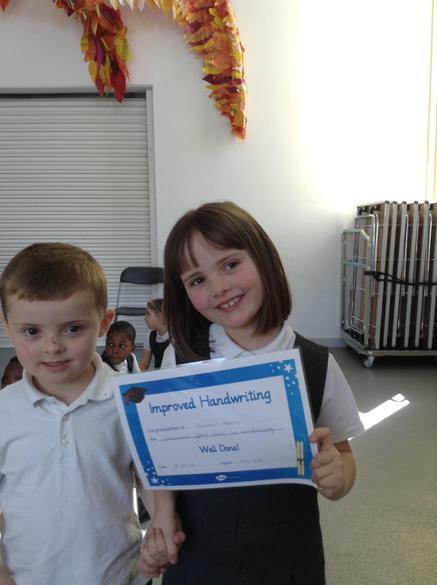 Autumn 2 Week 6: We invited all the Hub parents to our Hub party where we had awards and festive activities.